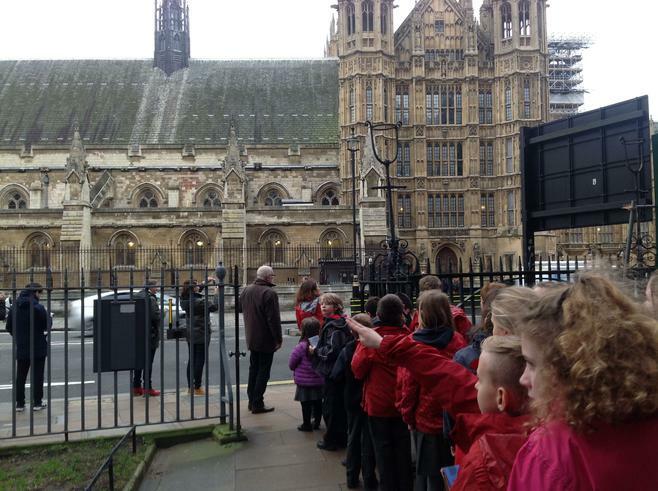 Welcome to the gallery. 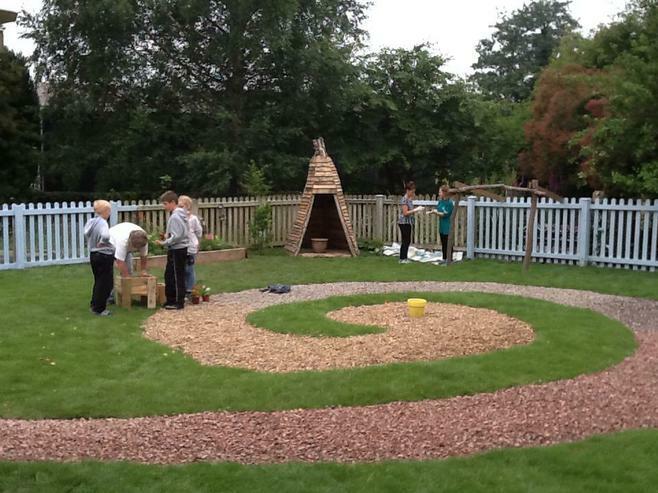 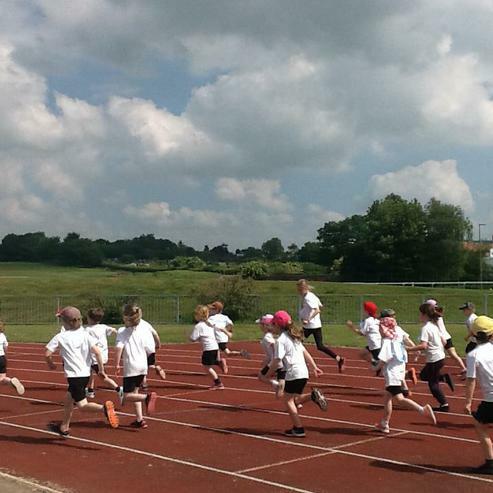 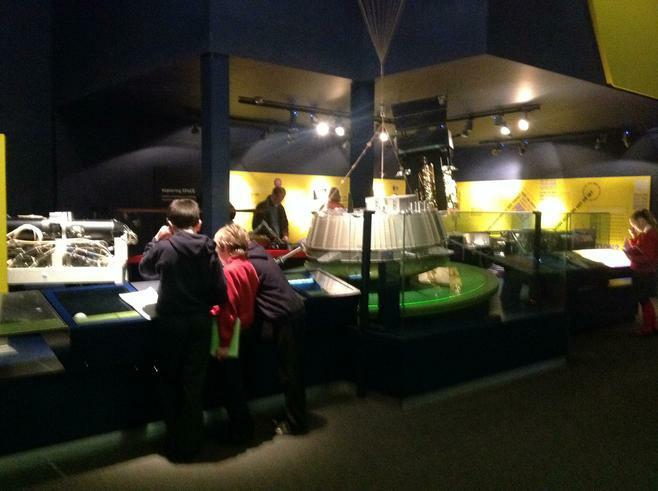 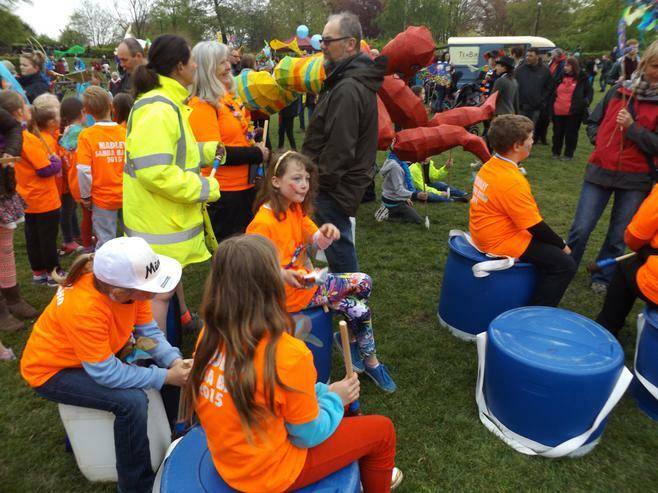 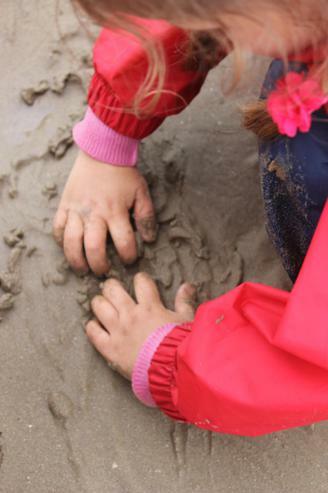 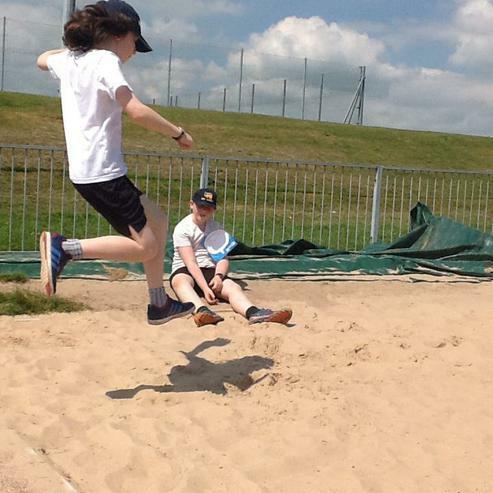 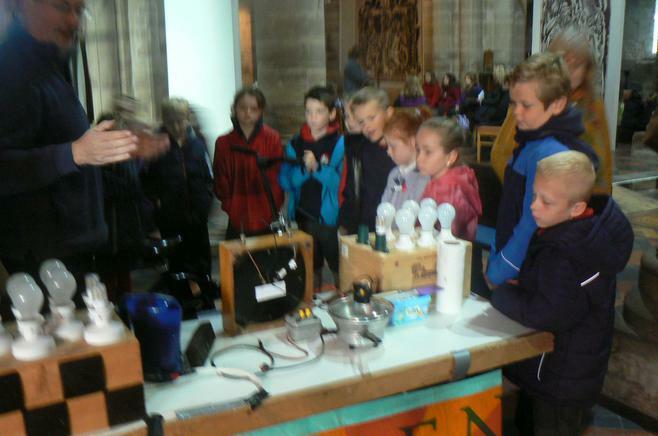 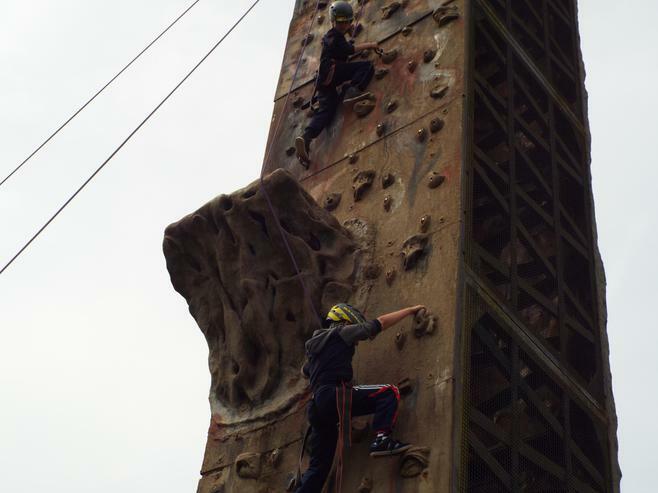 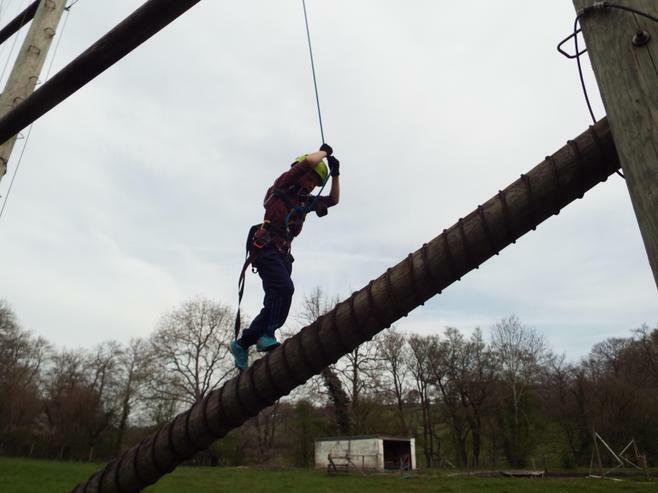 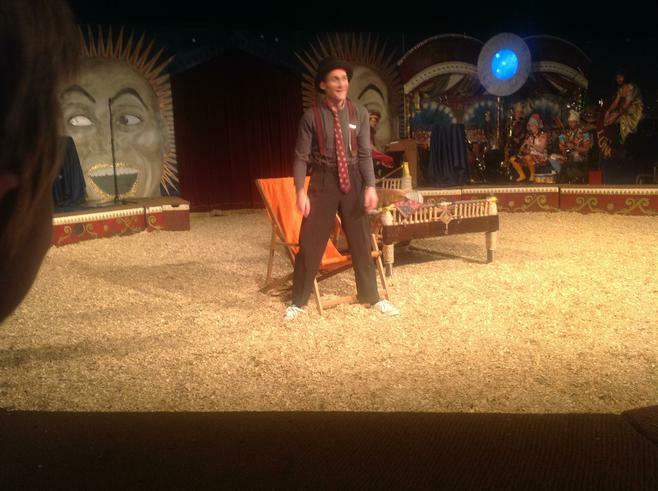 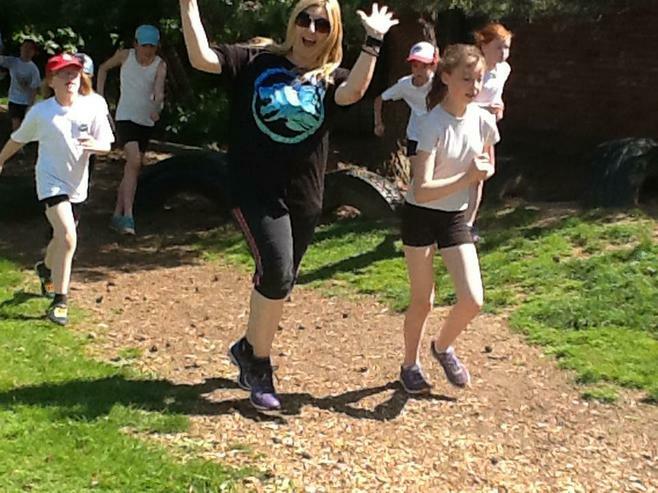 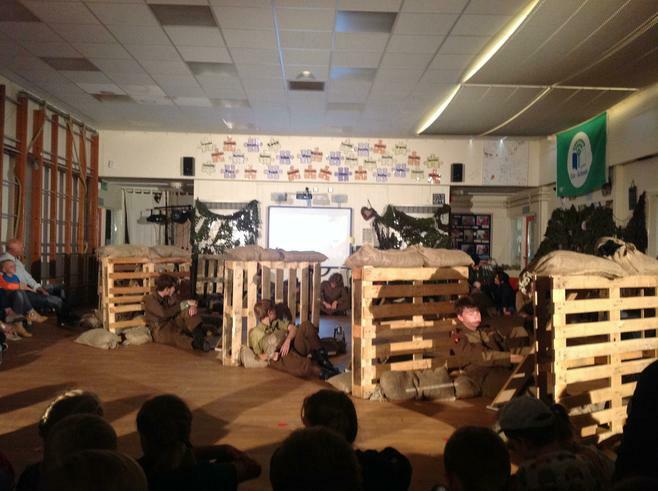 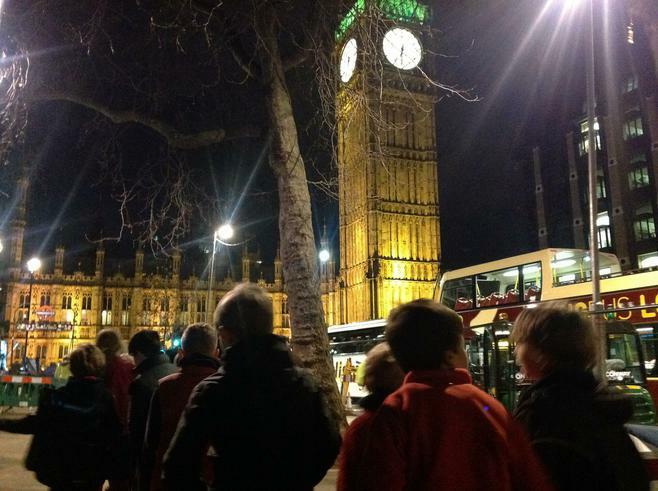 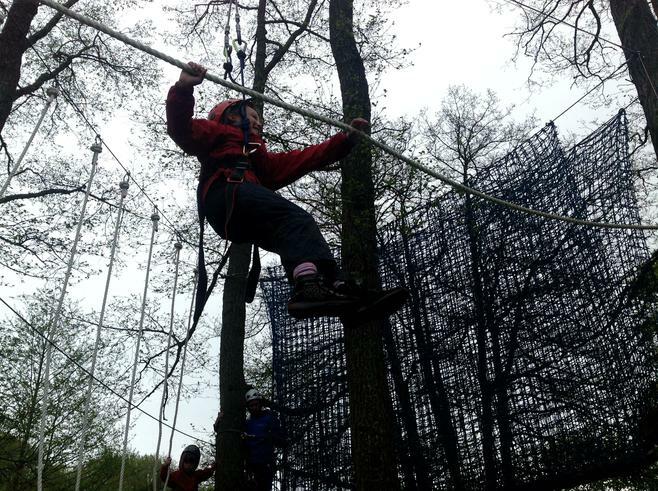 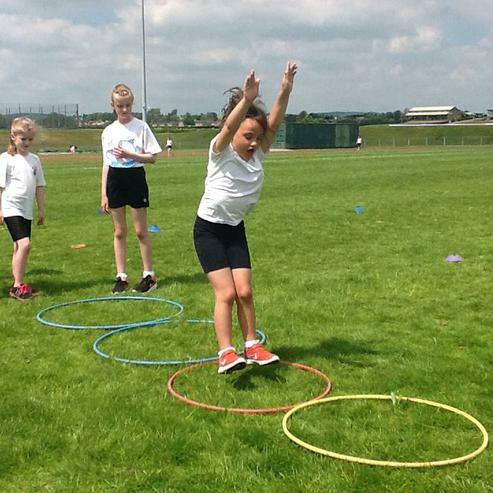 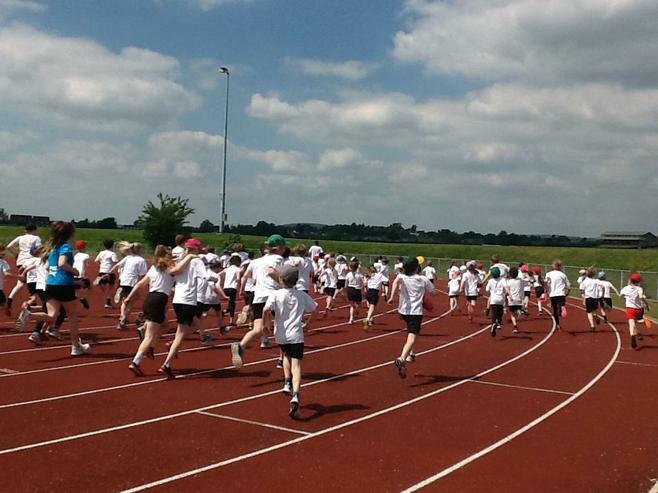 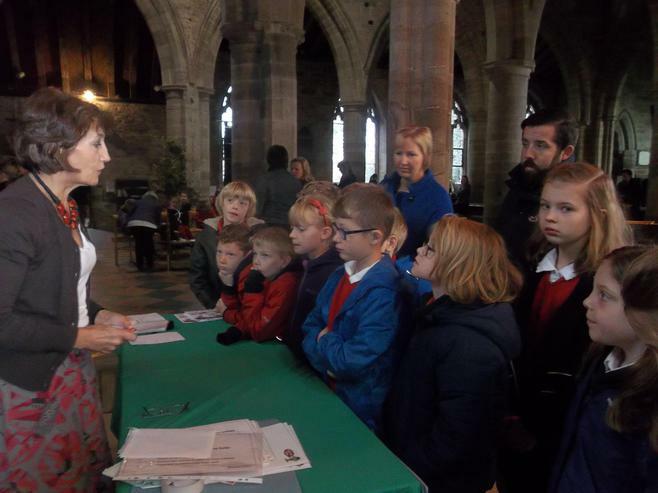 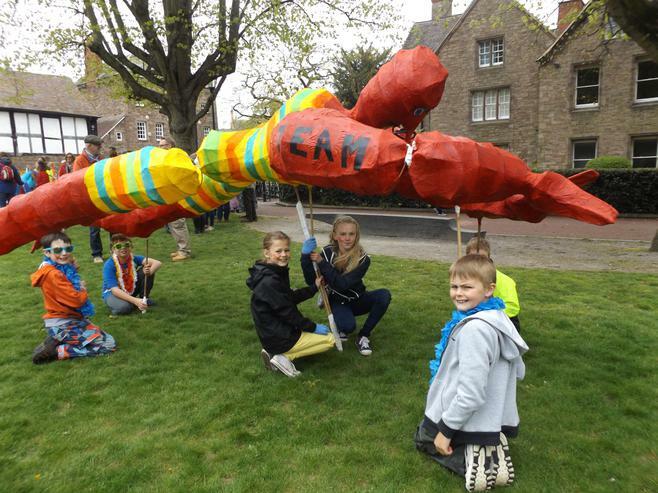 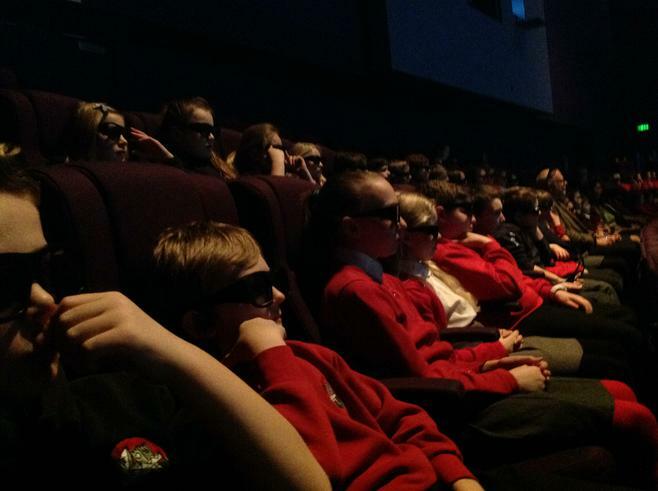 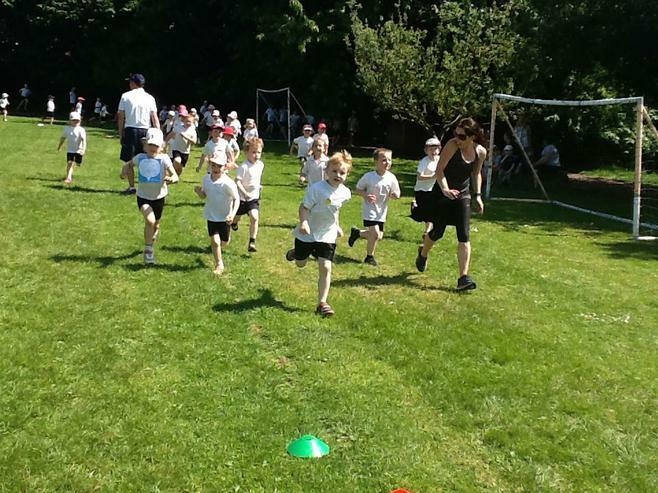 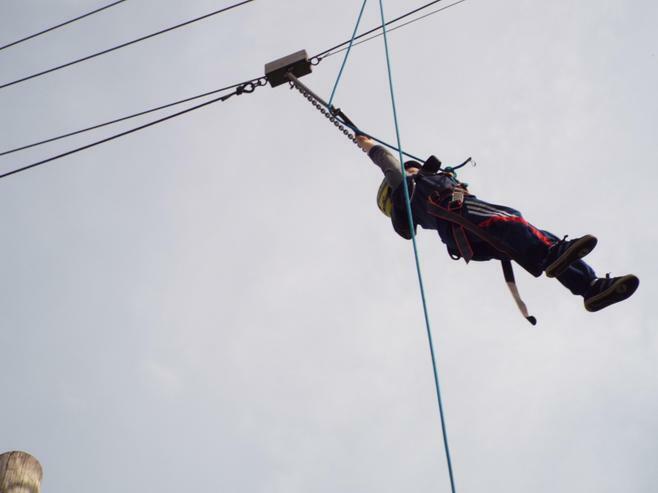 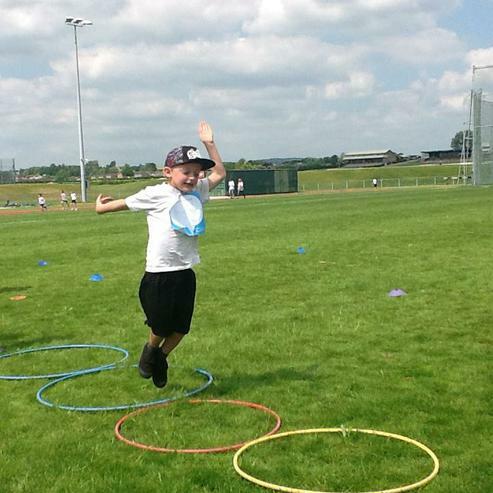 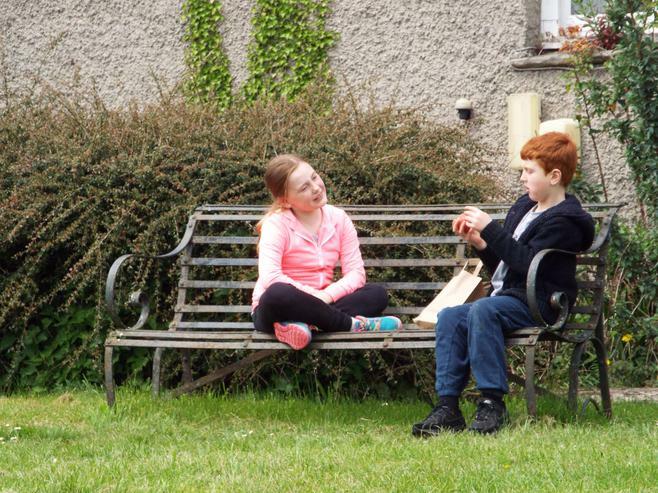 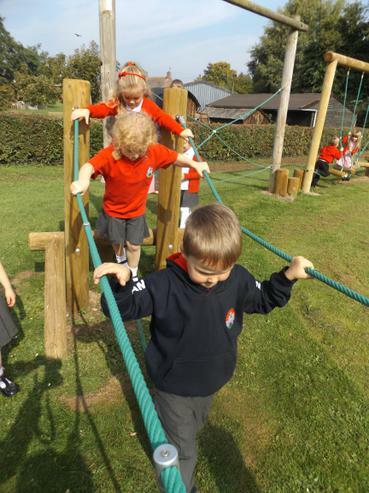 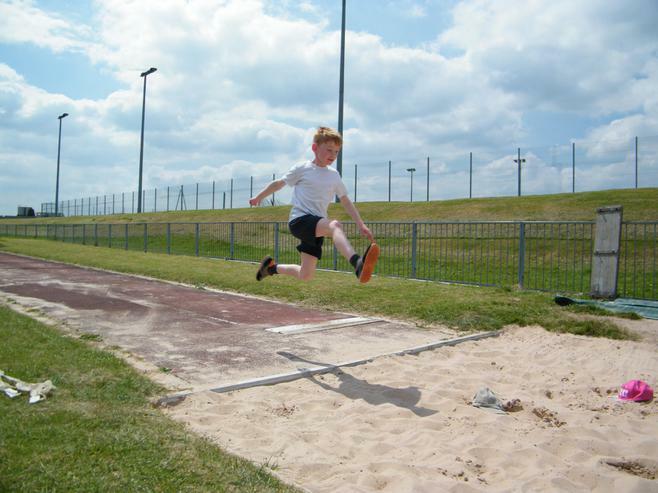 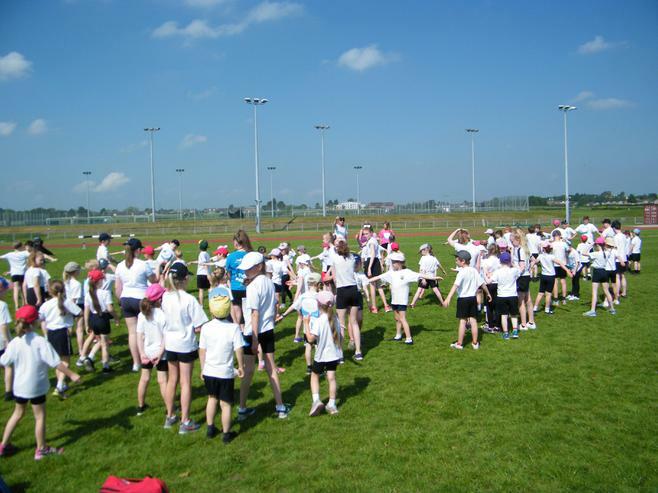 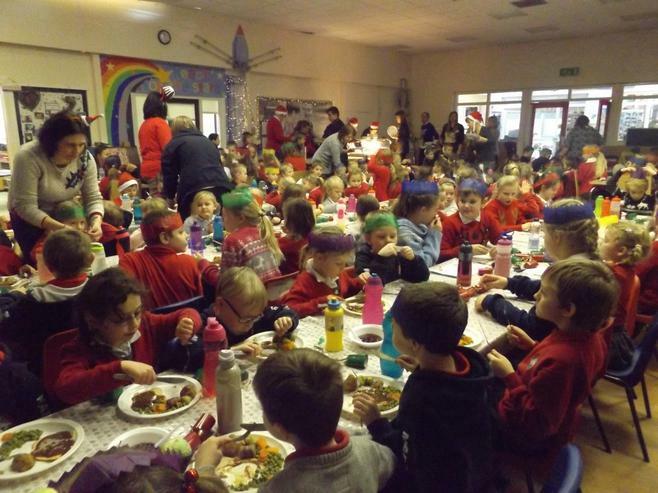 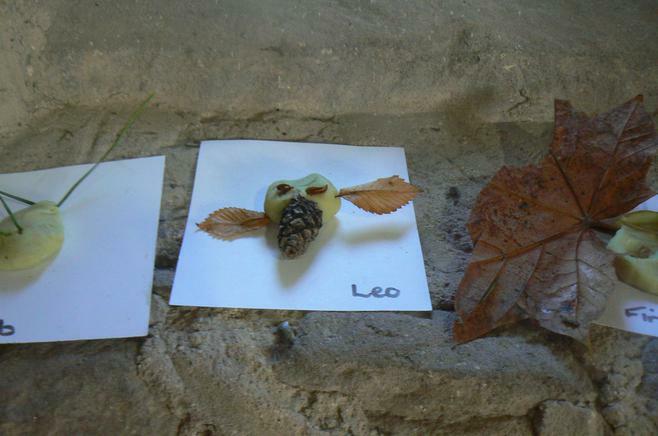 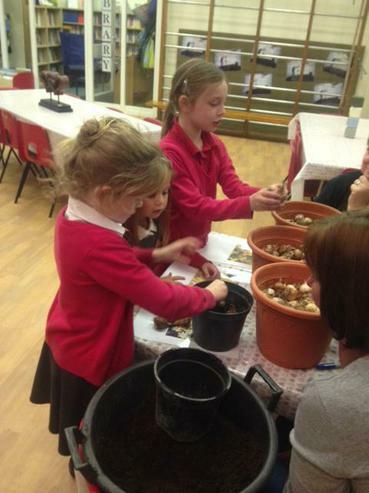 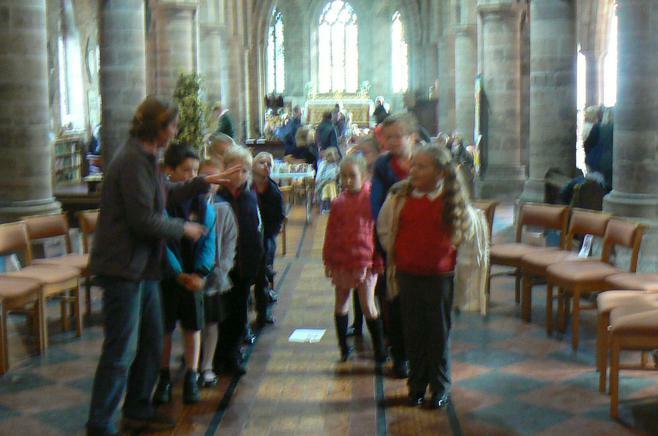 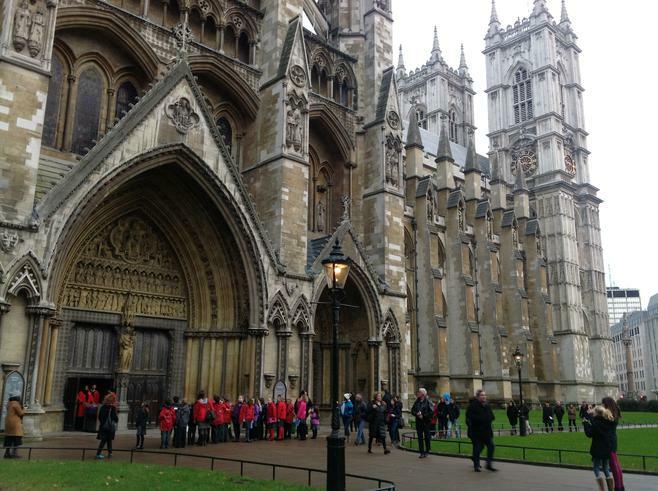 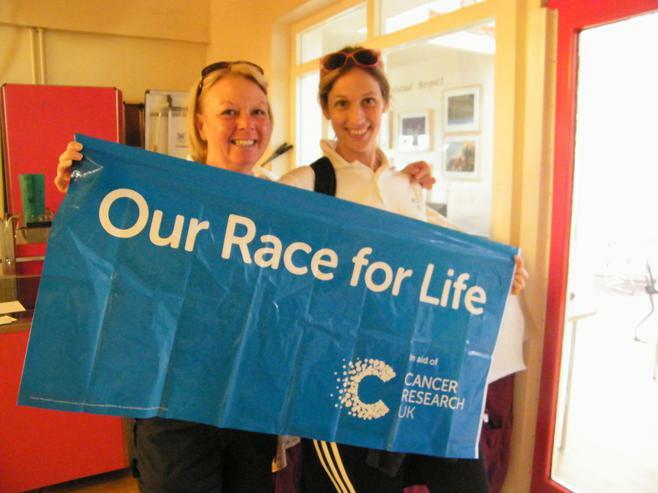 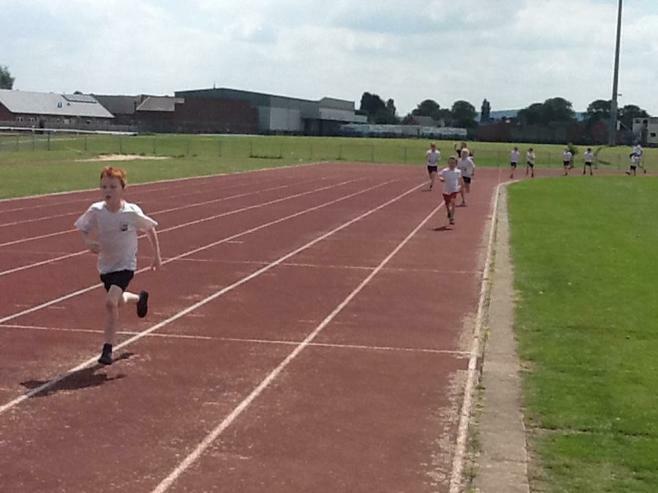 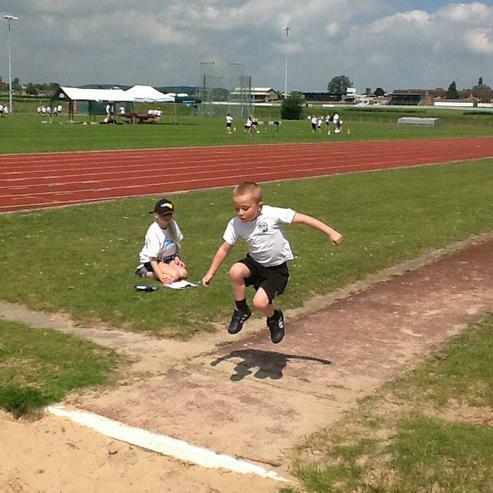 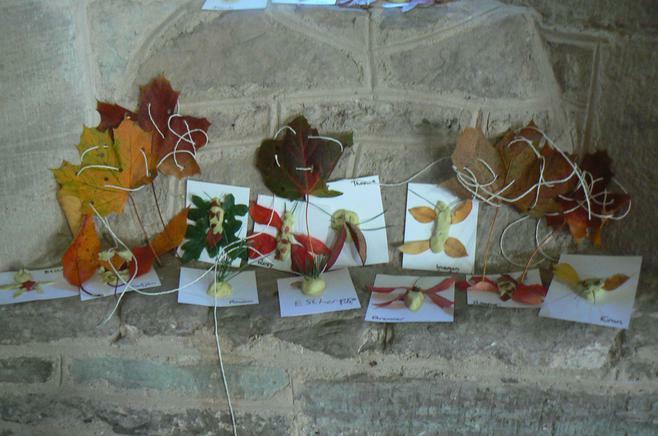 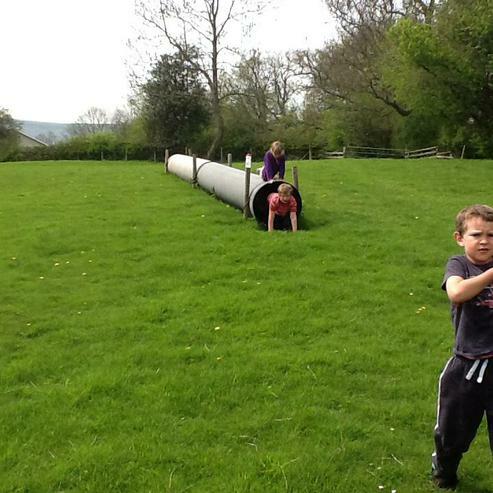 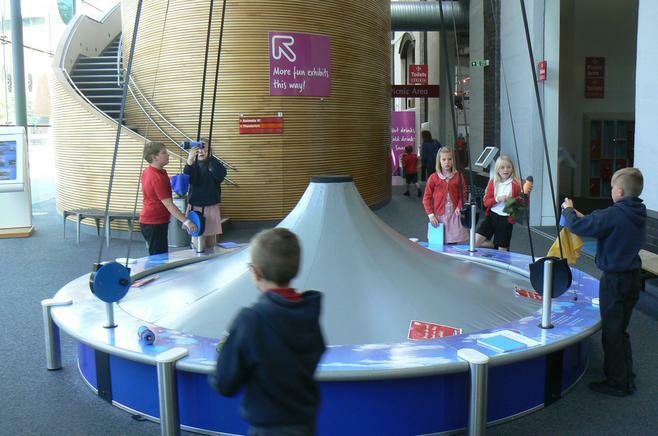 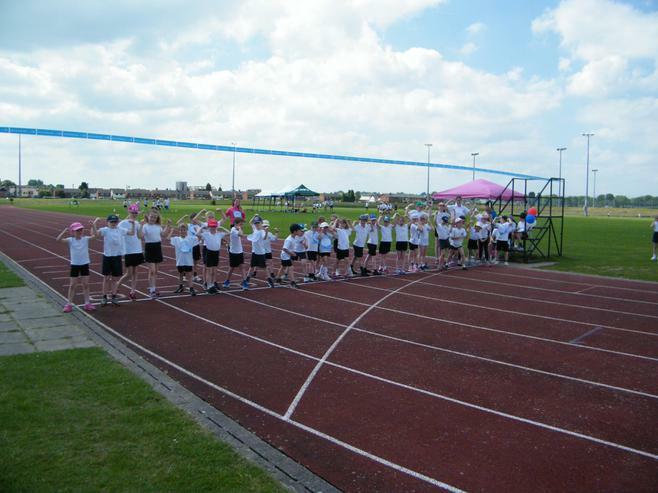 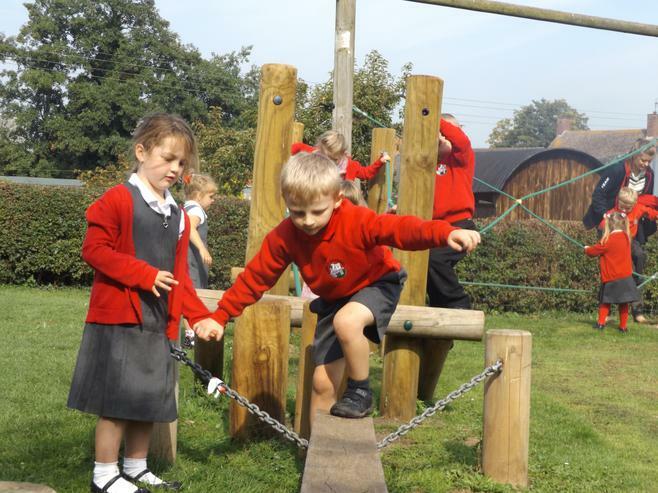 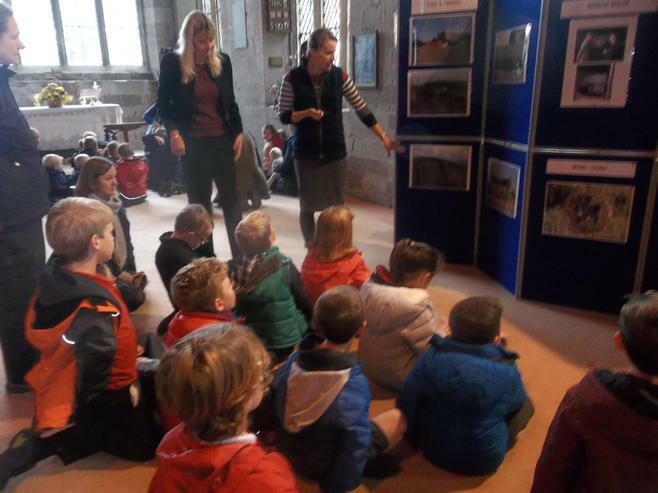 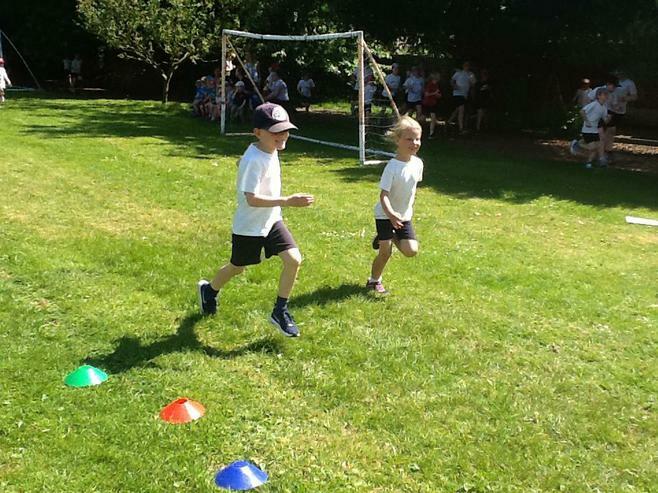 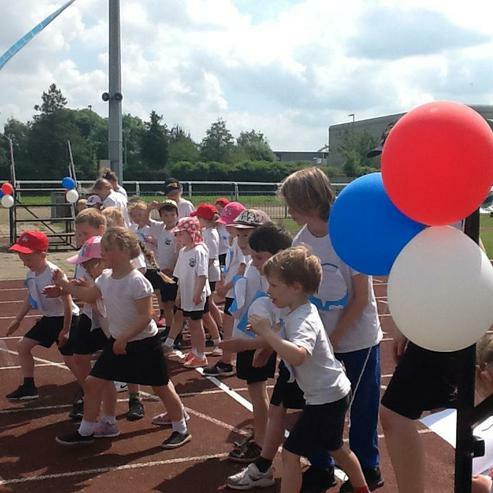 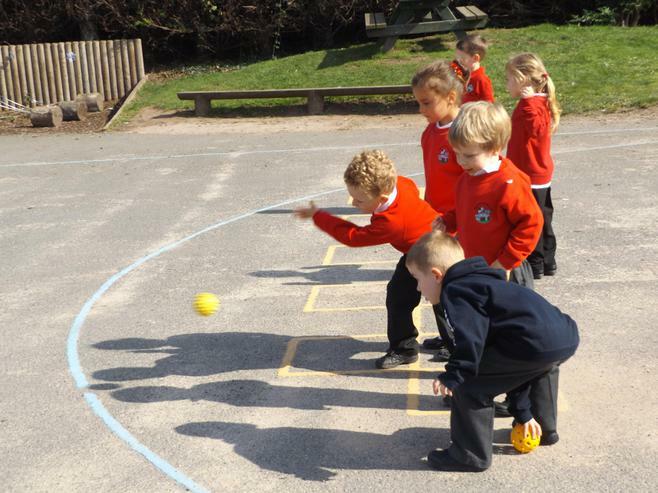 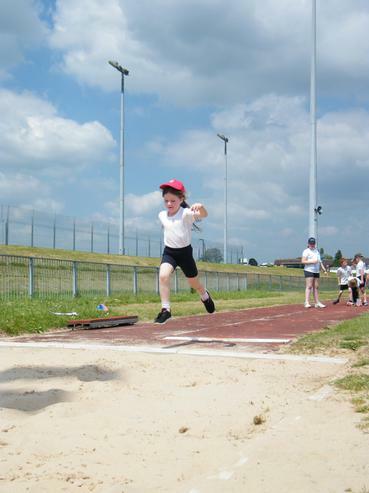 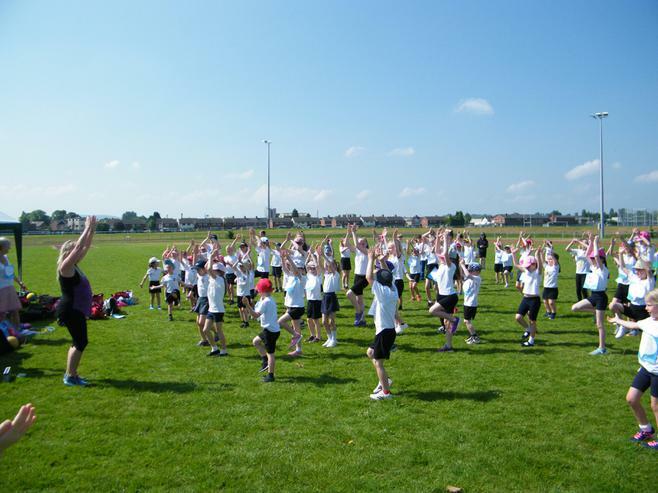 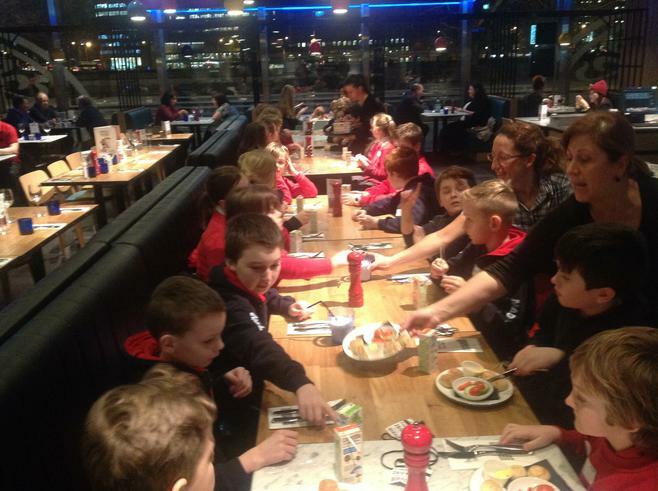 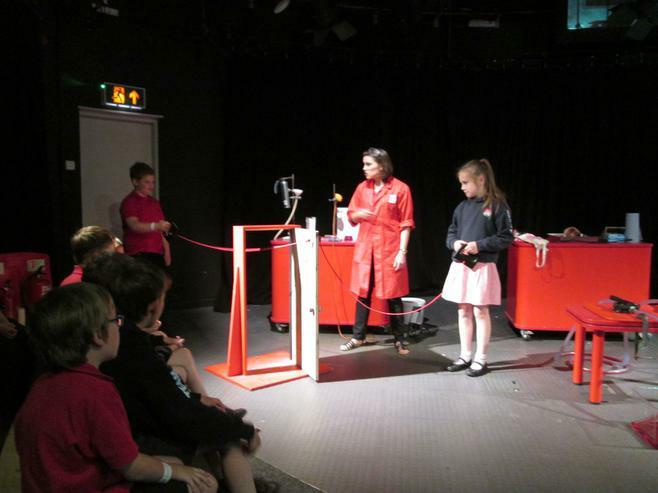 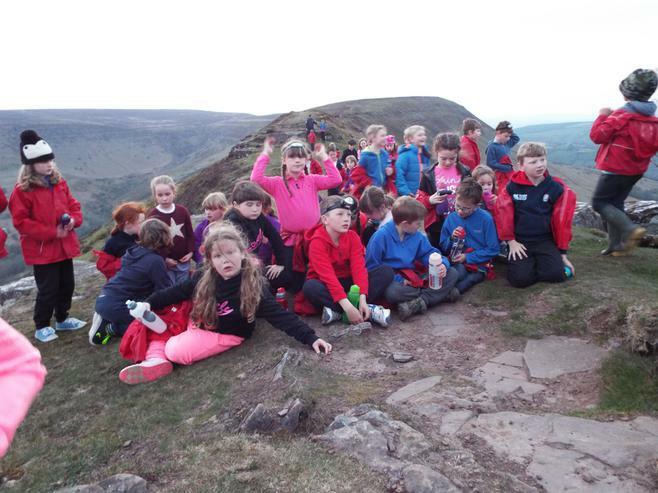 Have a look at the class pages for more photographs and video clips! 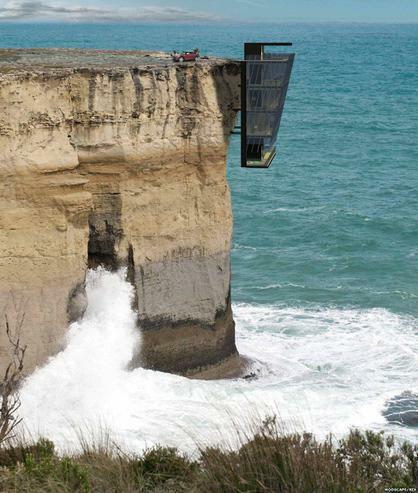 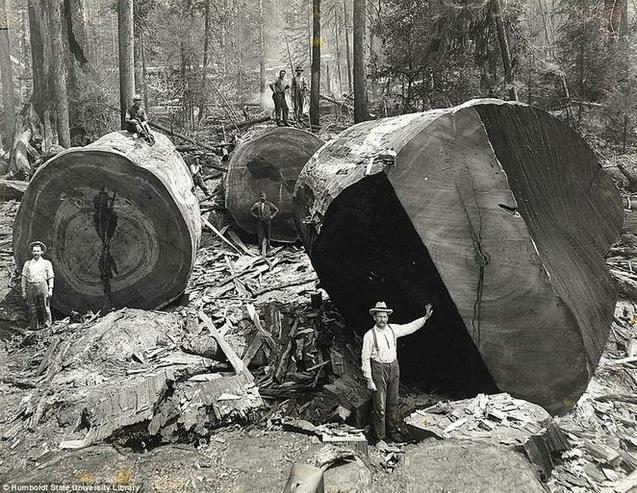 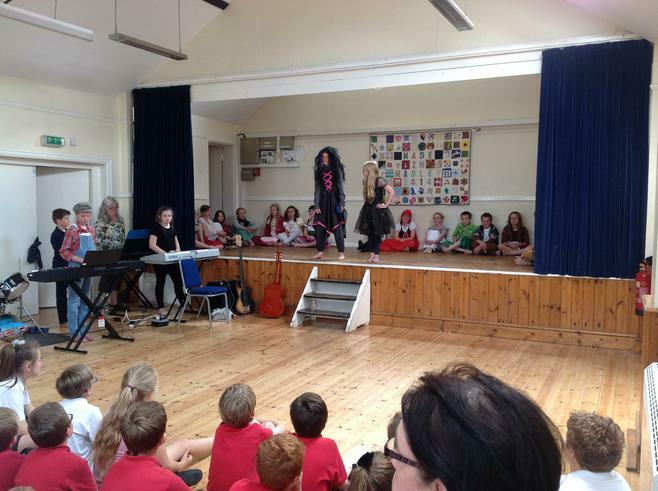 Uploaded by Mark Sanderson on 2016-06-15. 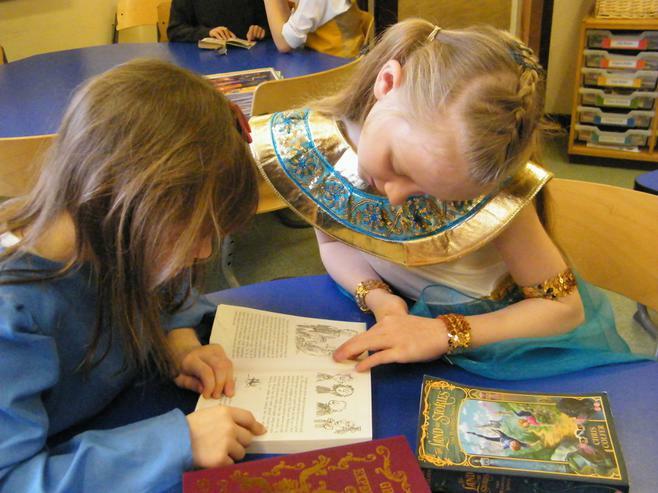 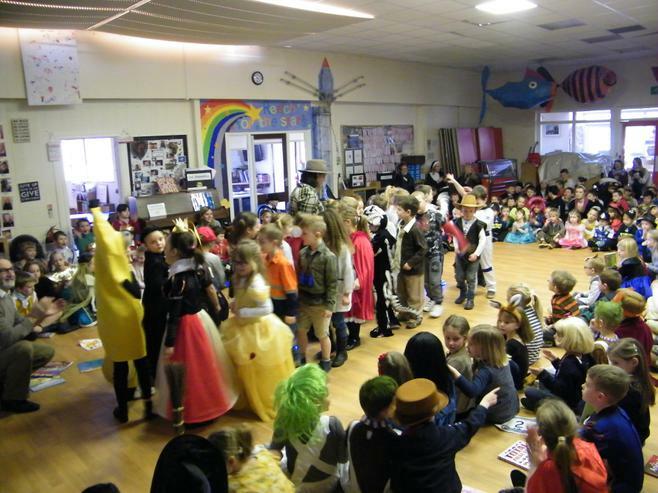 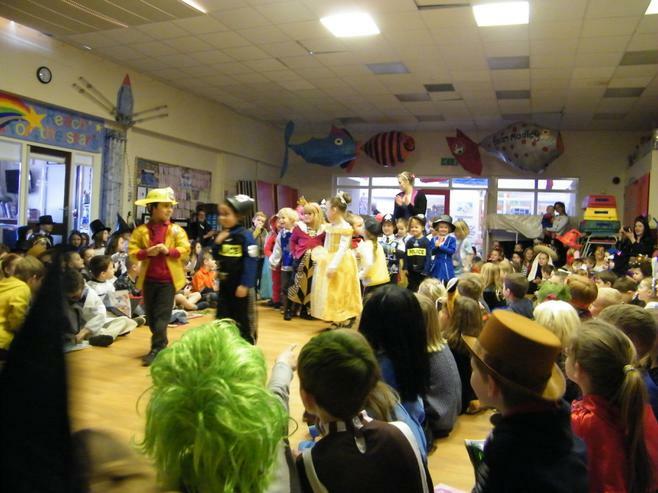 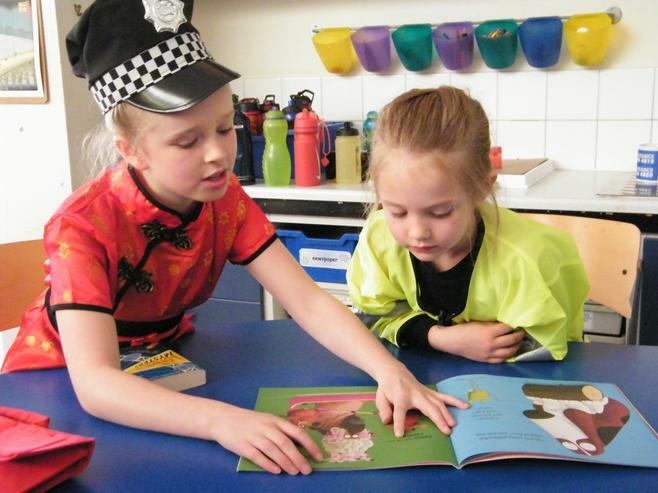 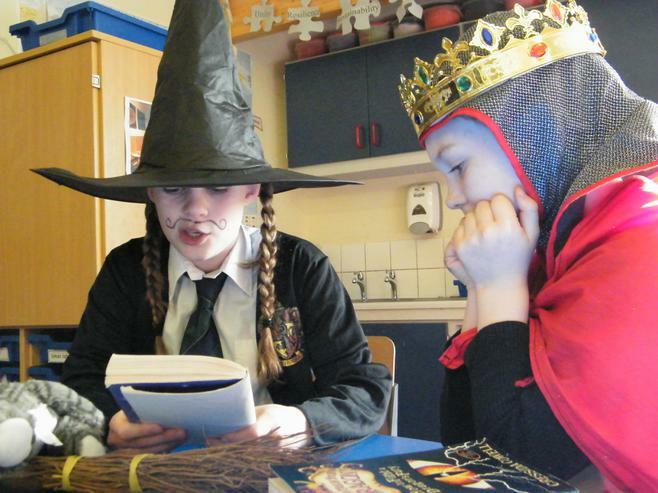 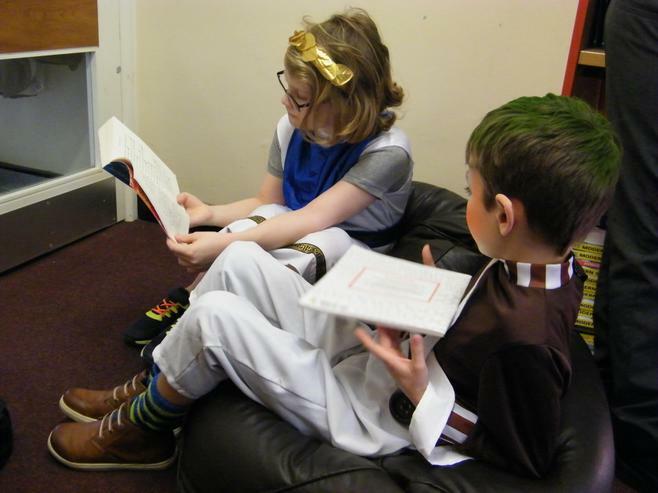 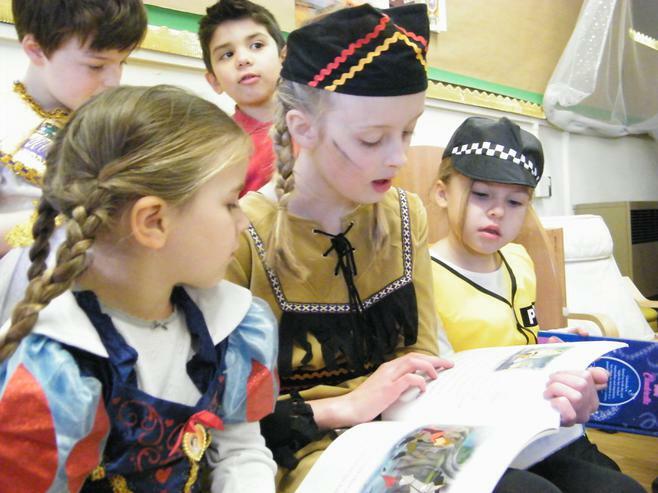 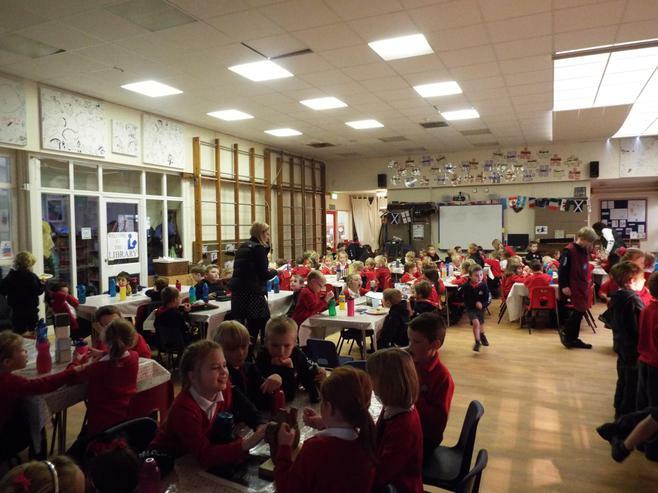 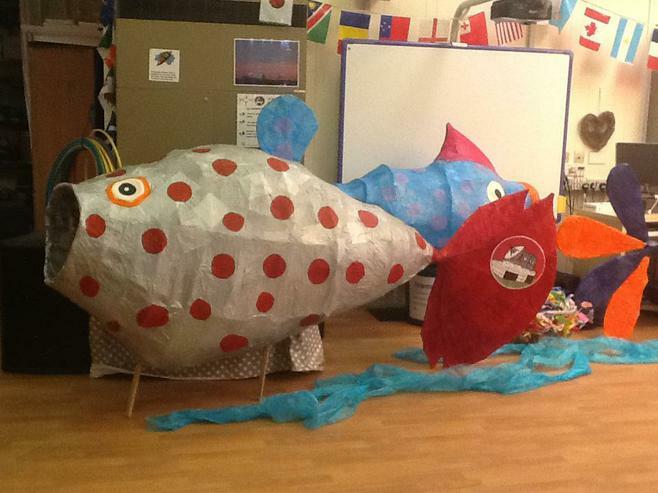 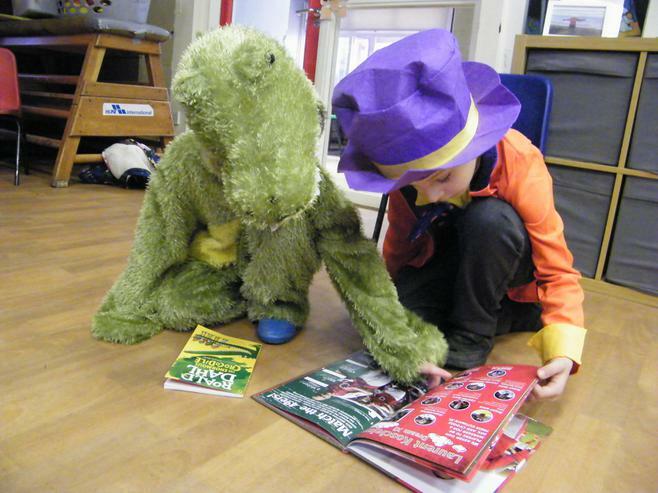 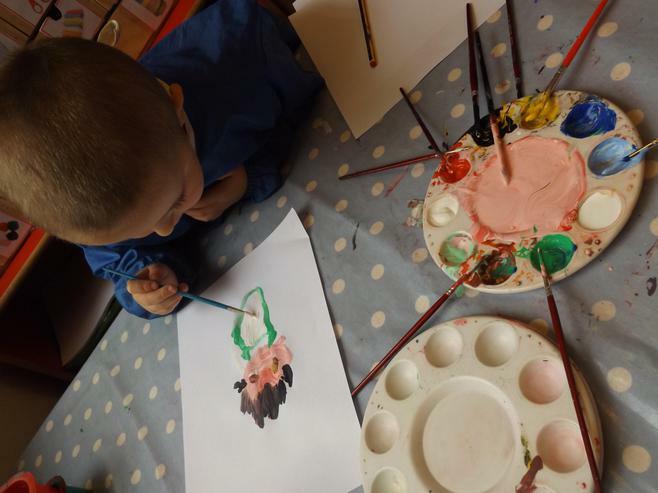 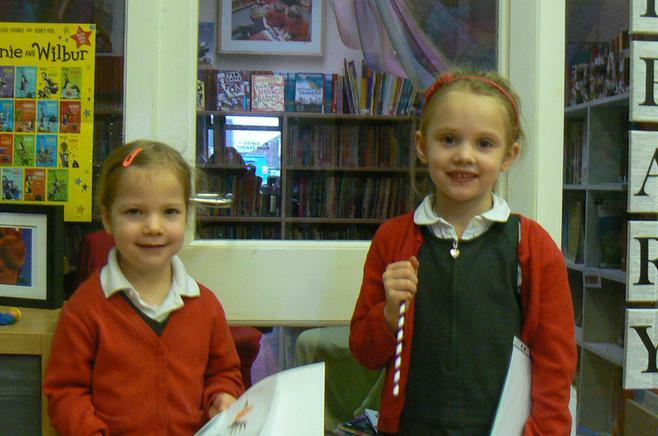 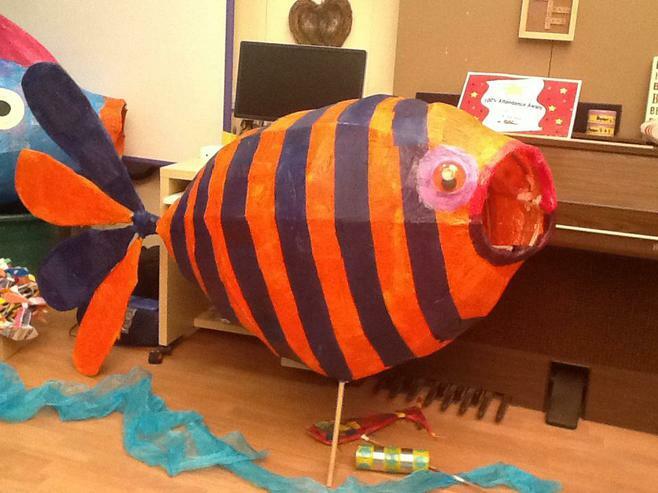 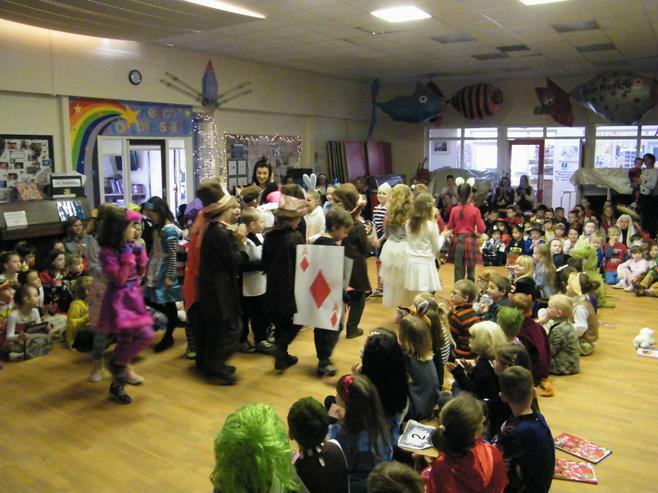 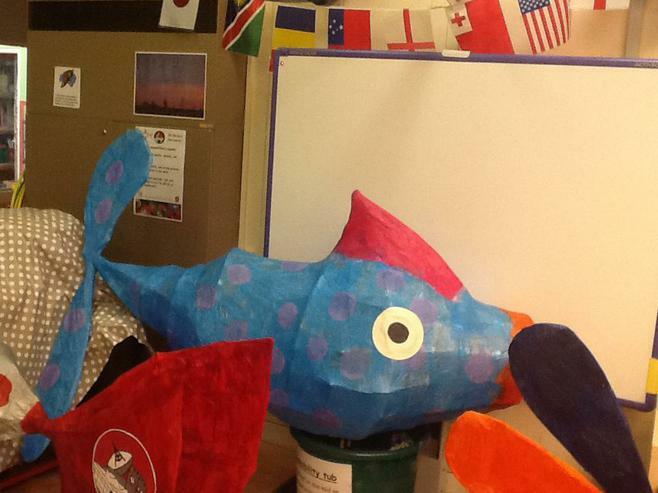 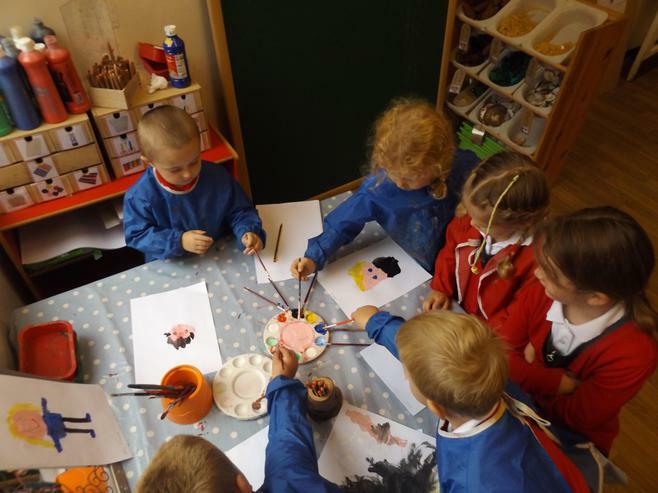 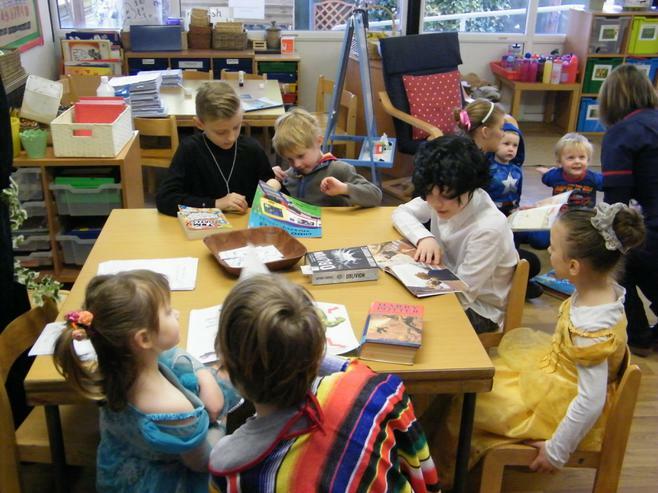 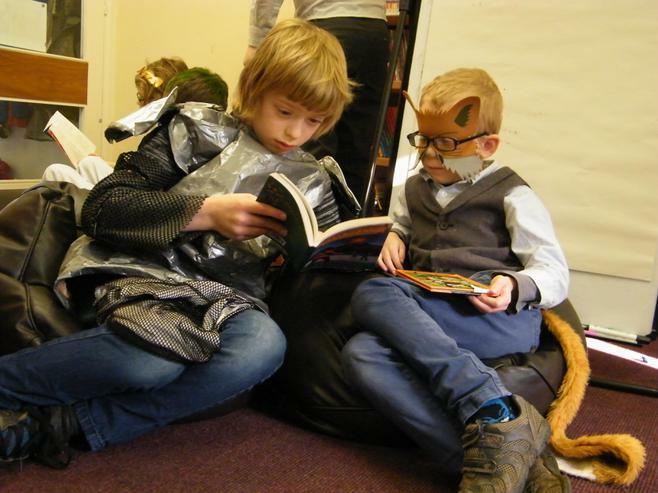 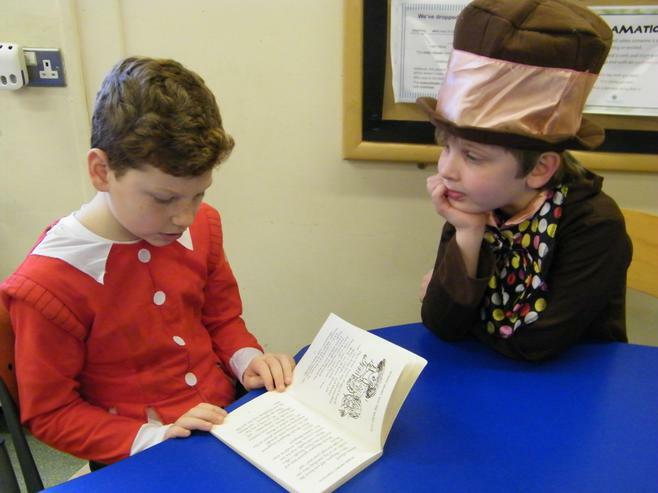 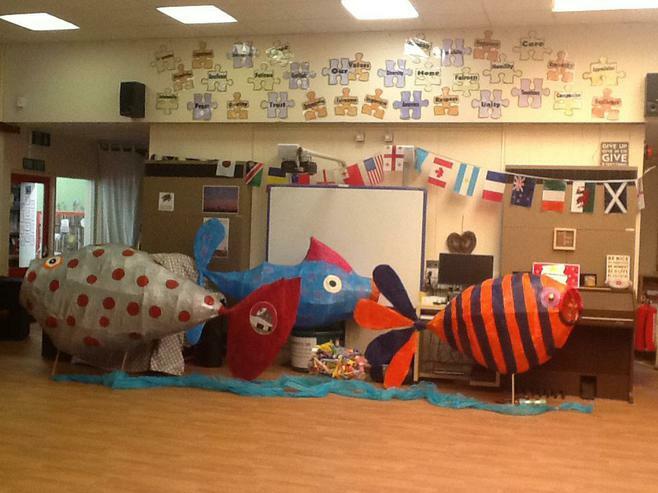 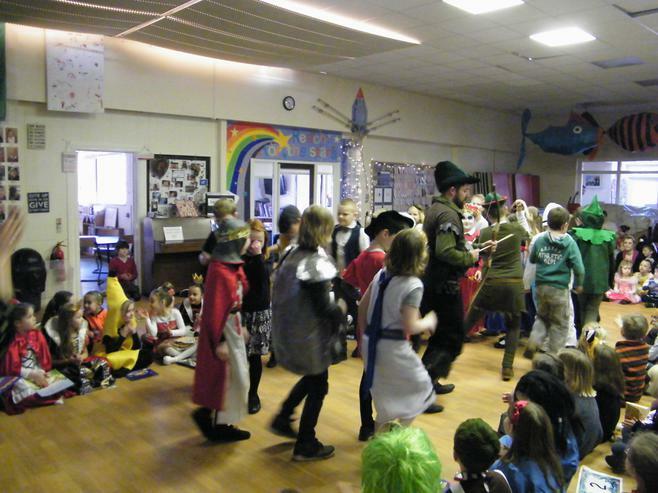 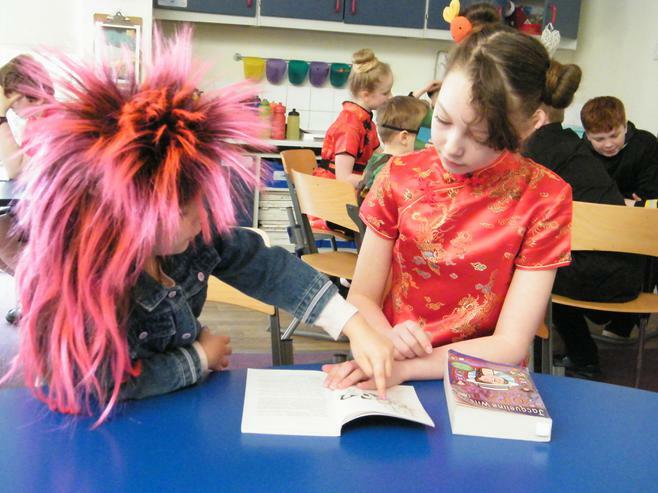 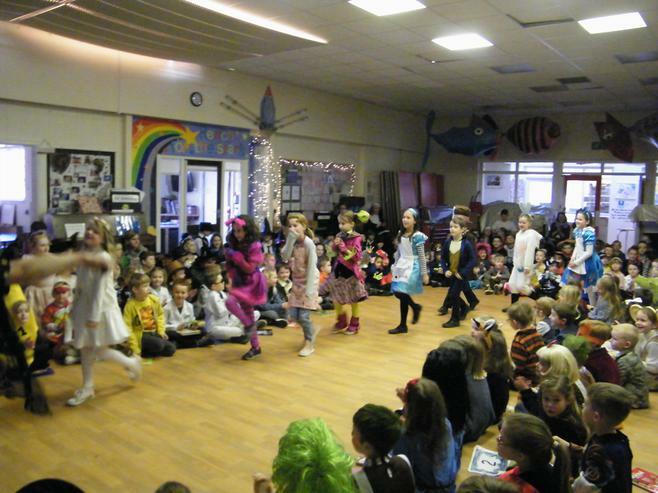 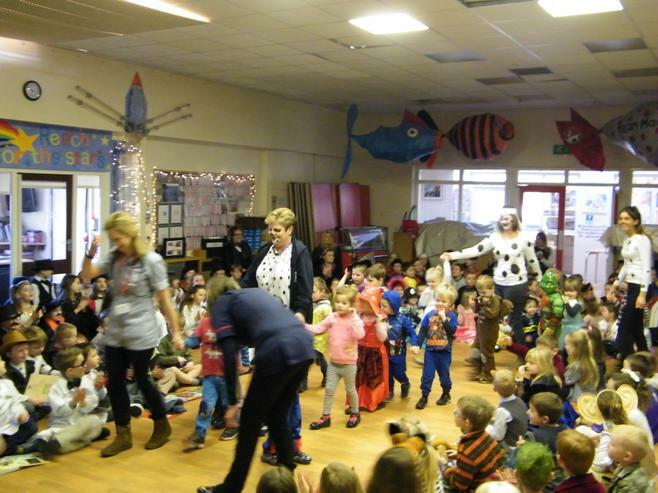 Madley celebrated world book day in style this year. 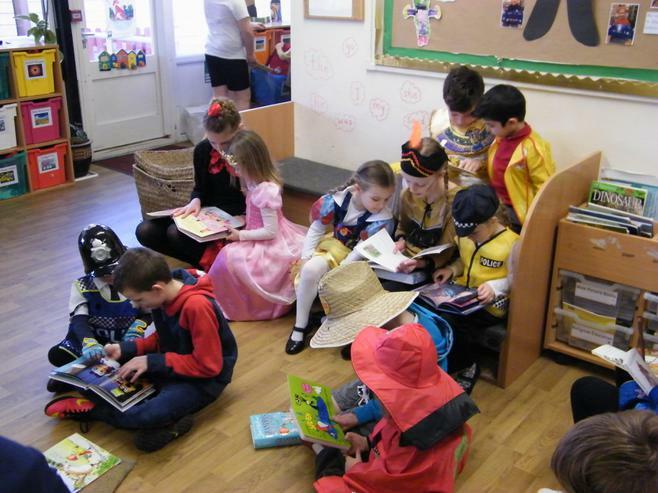 Each class dressed up to represent their class topic and a delightful day was spent sharing books , writing stories and reviewing books. 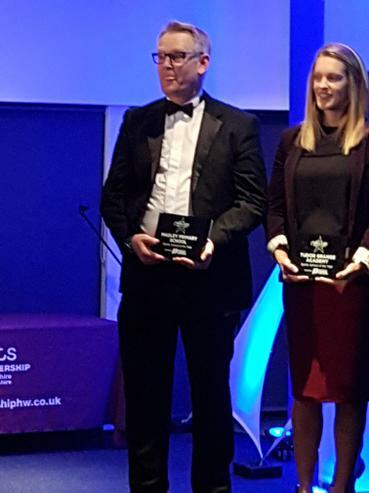 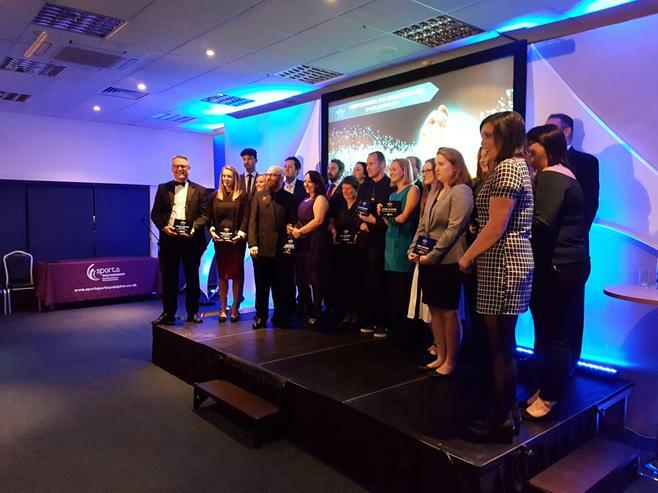 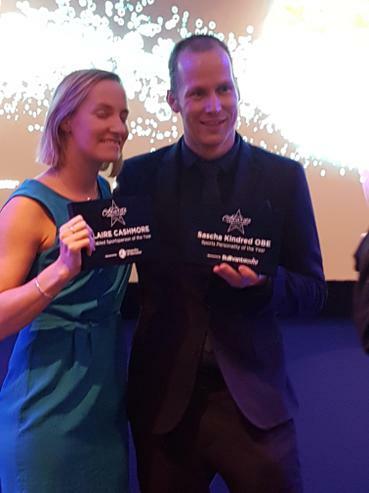 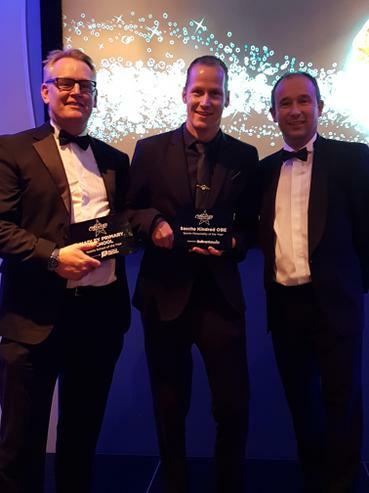 Meet the winners and runners up! 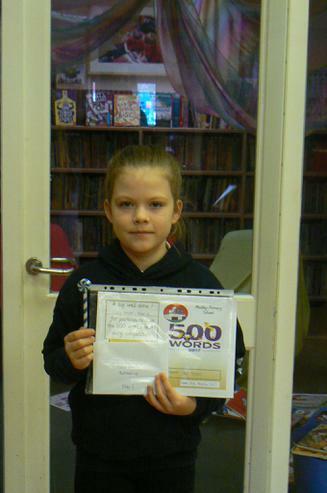 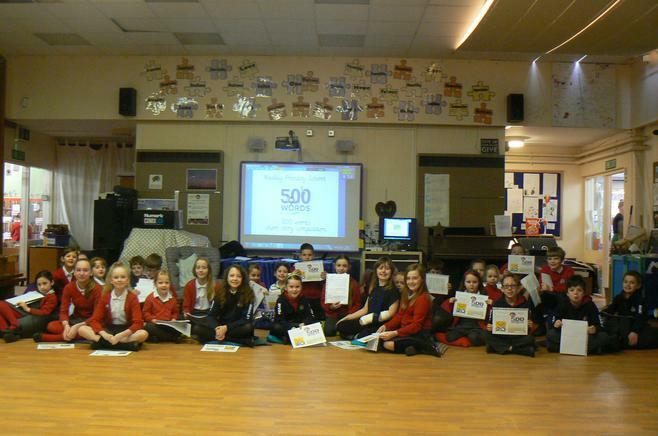 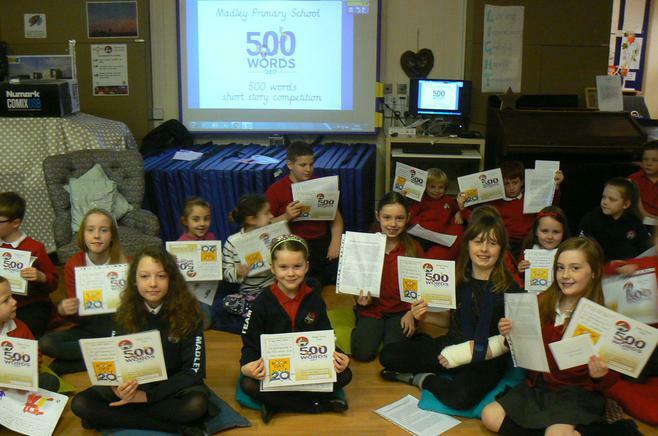 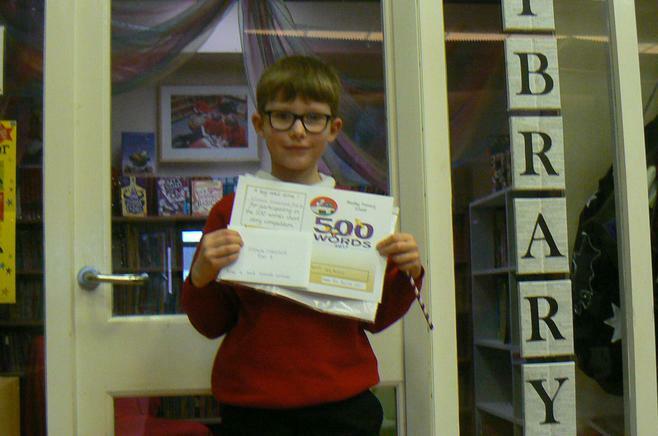 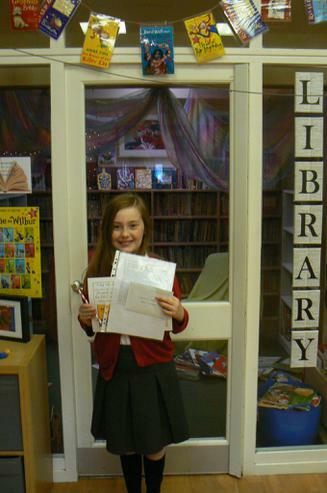 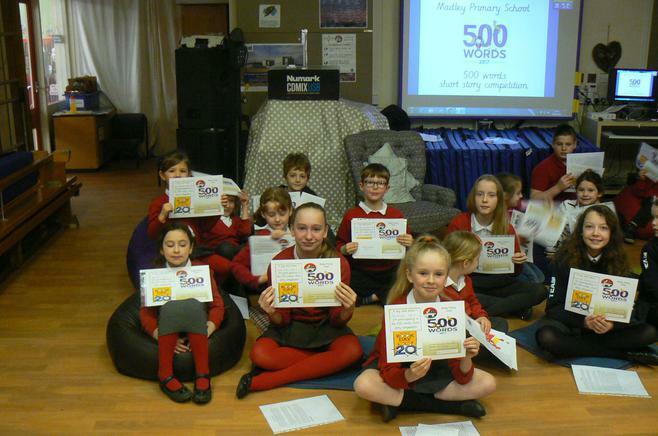 We had a record number of entries for our 500 words short story writing competition handed in on World Book Day on 2nd March. 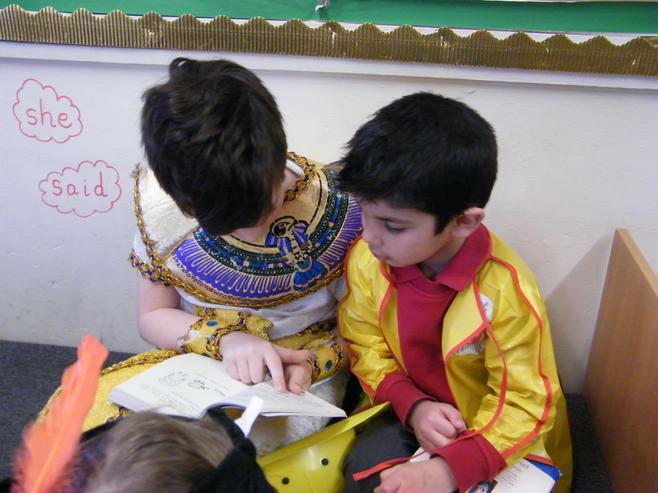 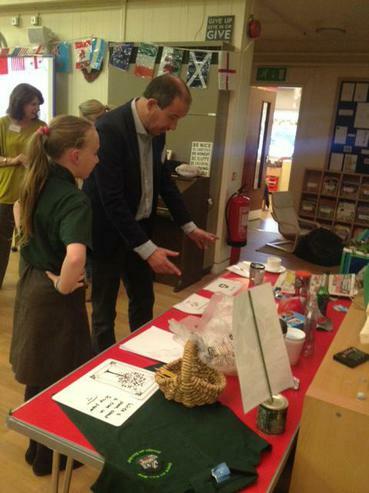 The quality of the children's writing and inspired ideas - from Reception to Year 6 - was superb! 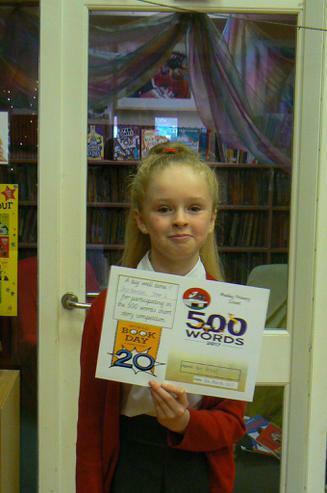 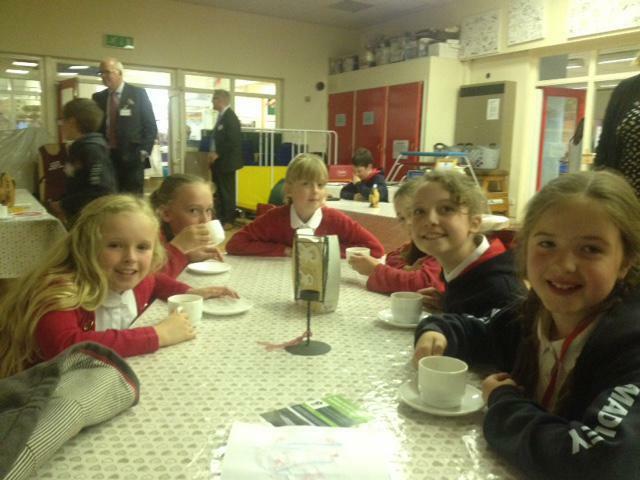 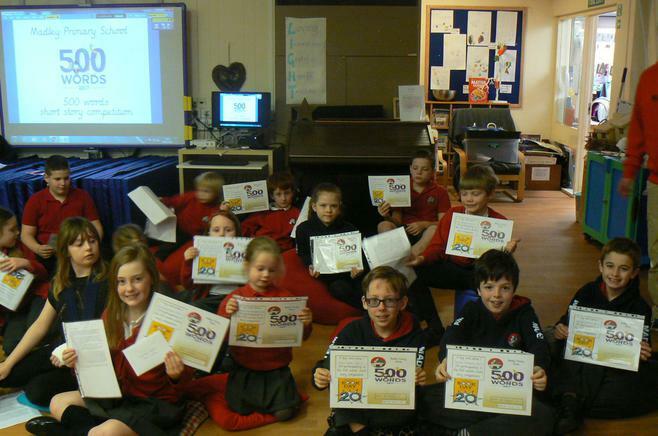 A very big well done to all children who entered the competition. 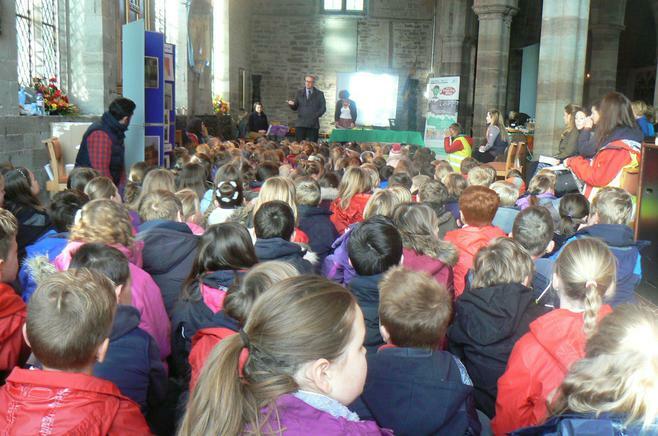 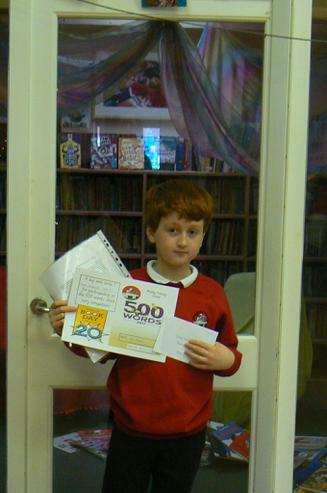 We celebrated in a special assembly on Wednesday when all the entrants received a certificate and a small prize. 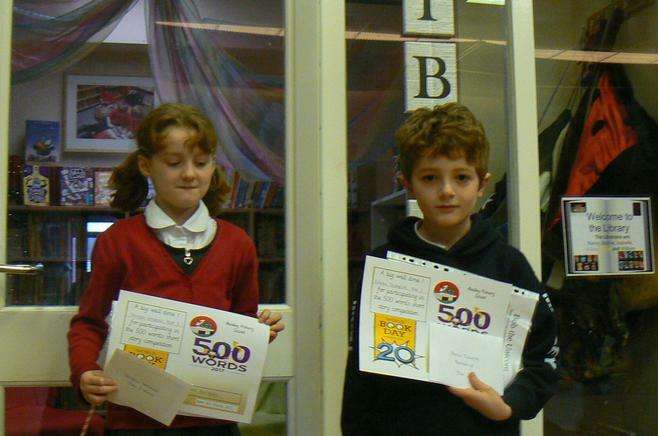 Our winners and runners up also received a book token. 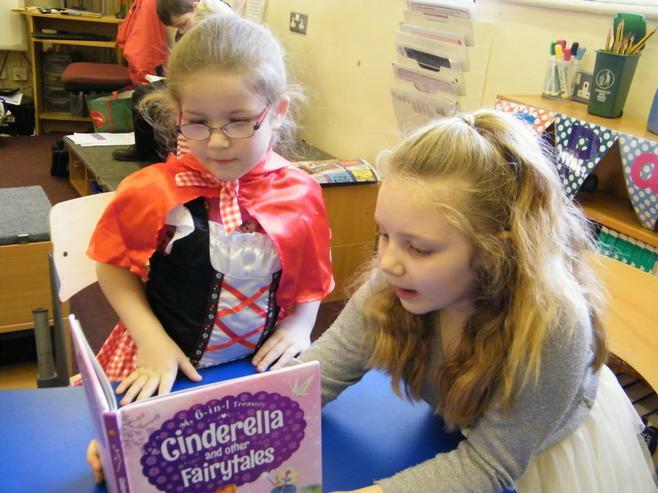 Enjoy reading some of their stories! 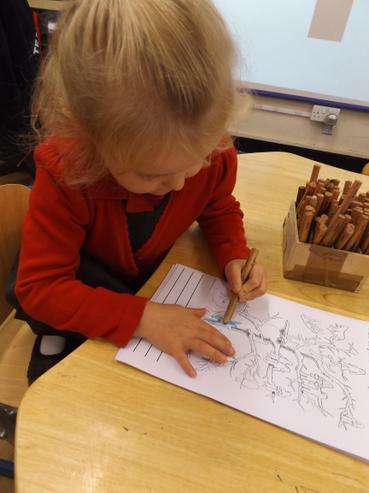 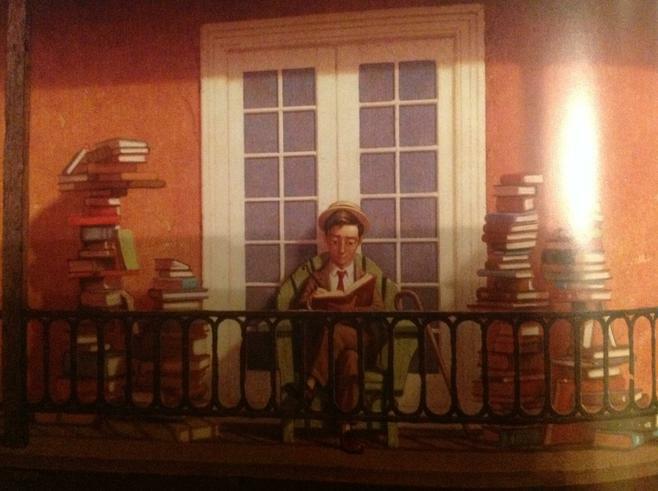 Monday Short Burst Writing -each week a different picture inspires creative and imaginative writing! 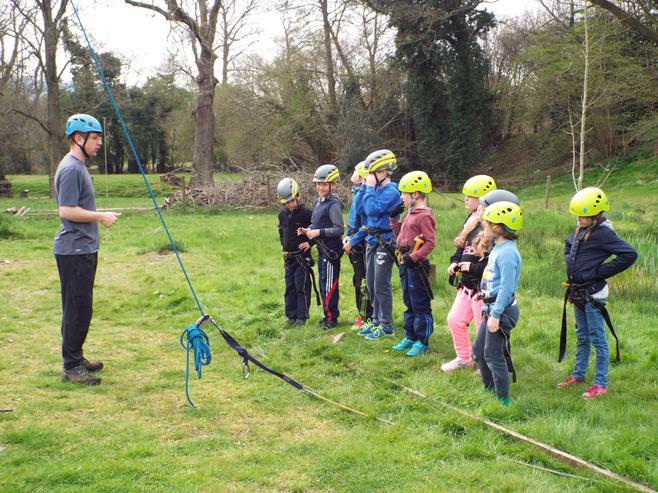 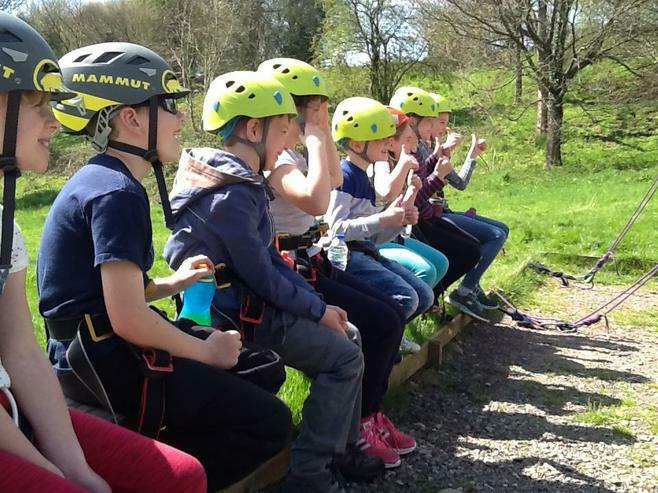 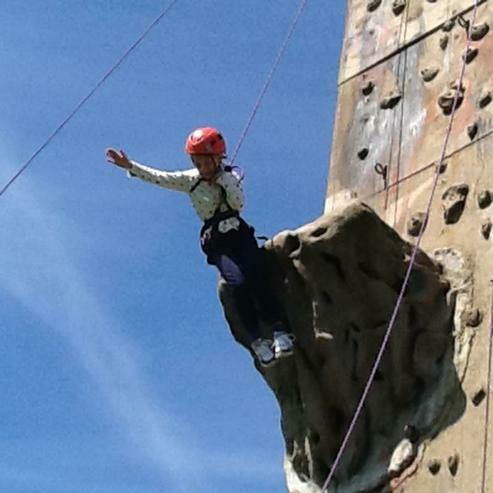 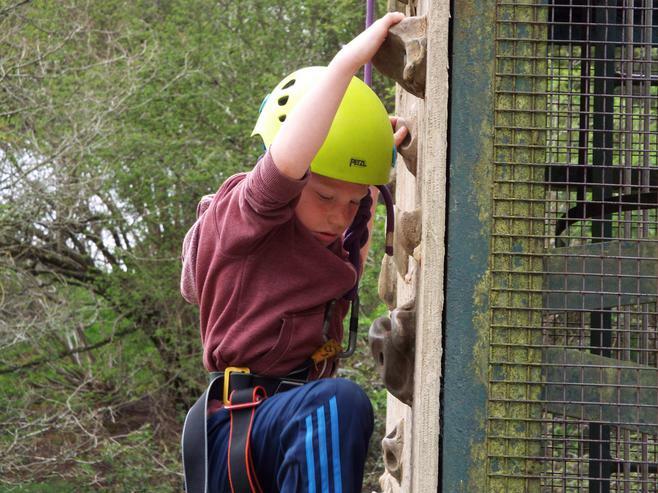 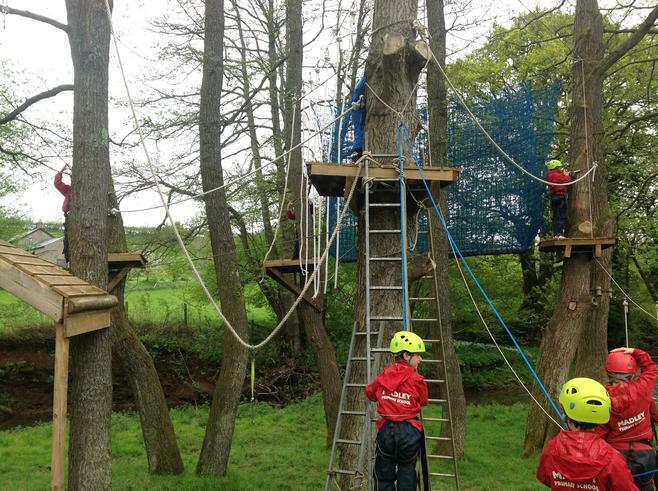 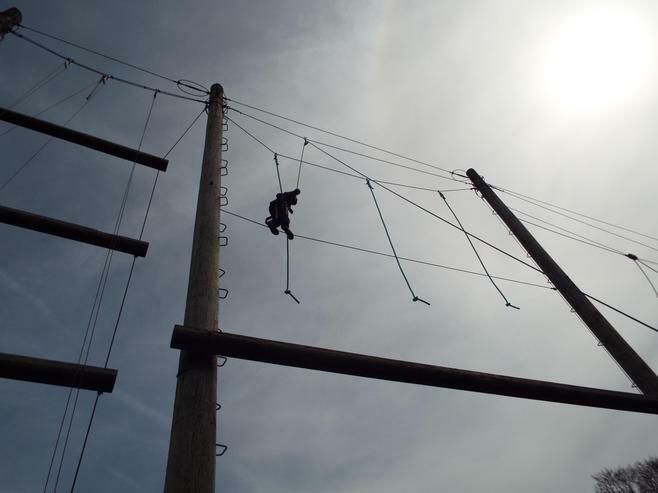 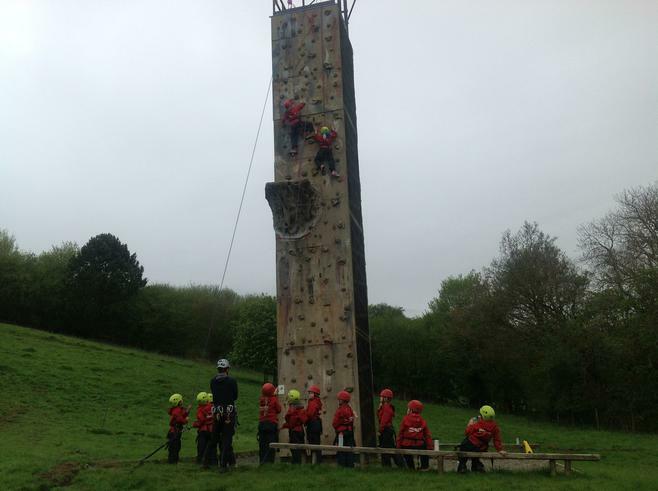 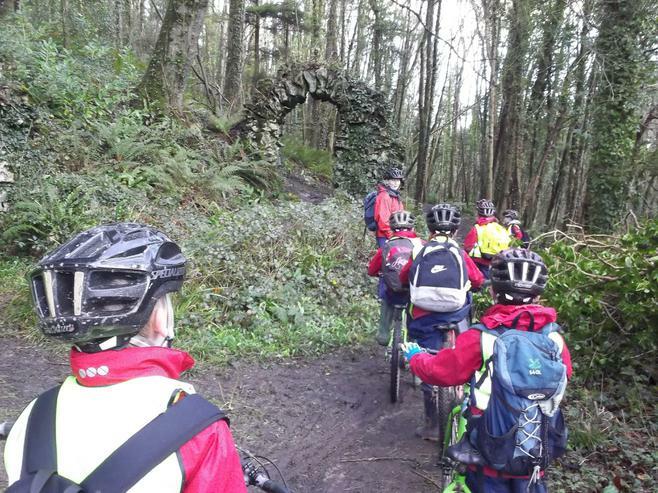 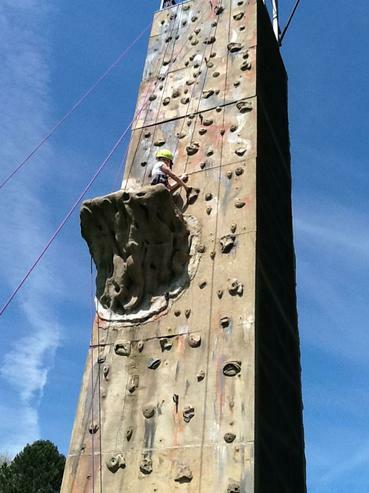 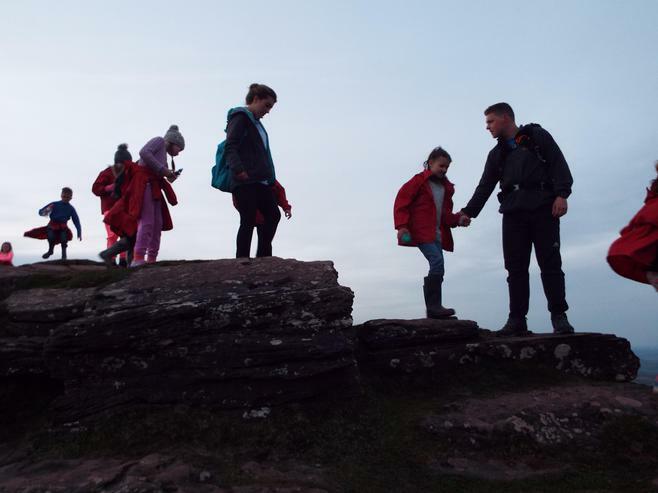 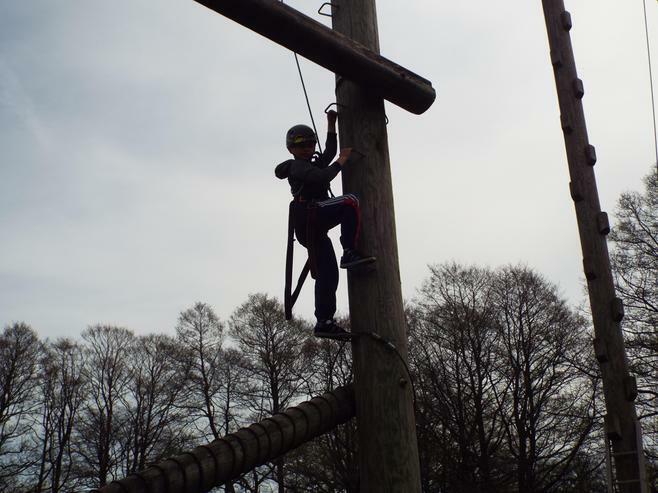 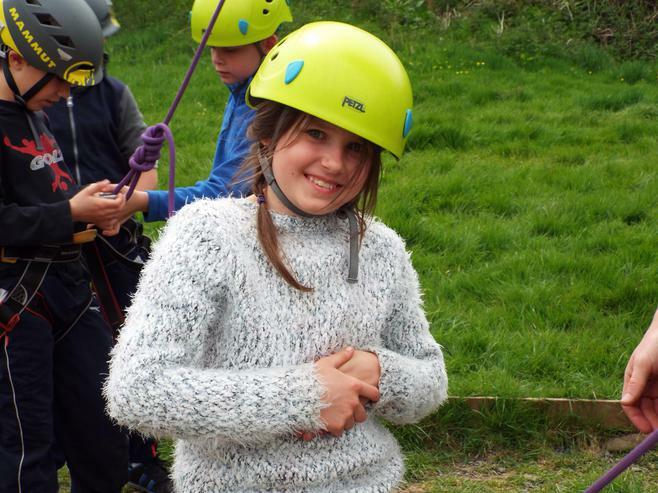 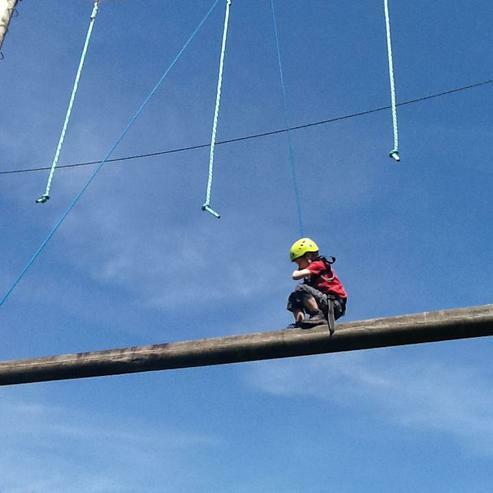 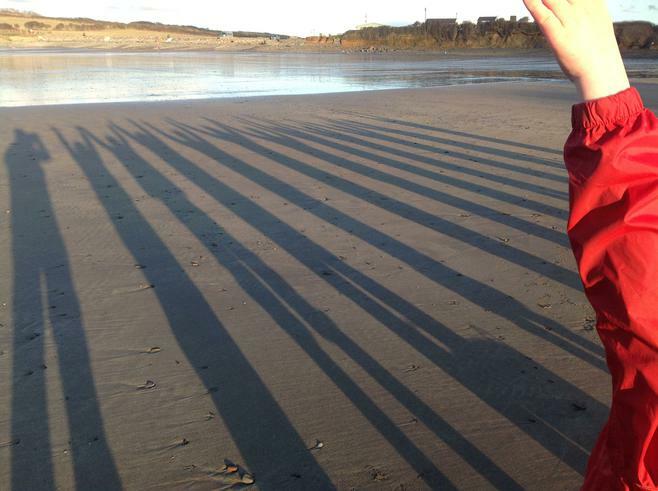 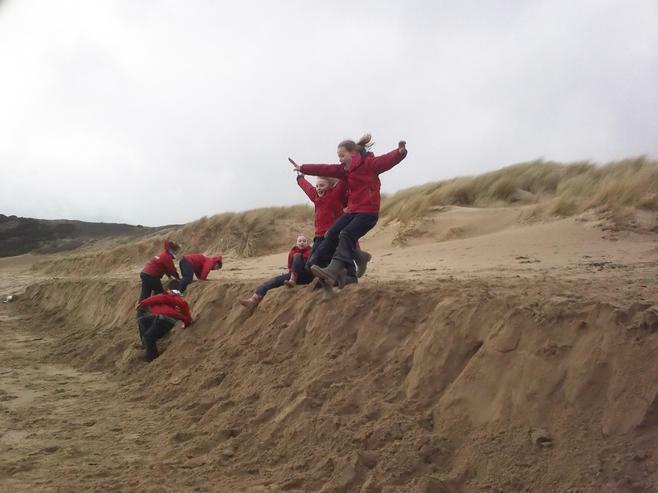 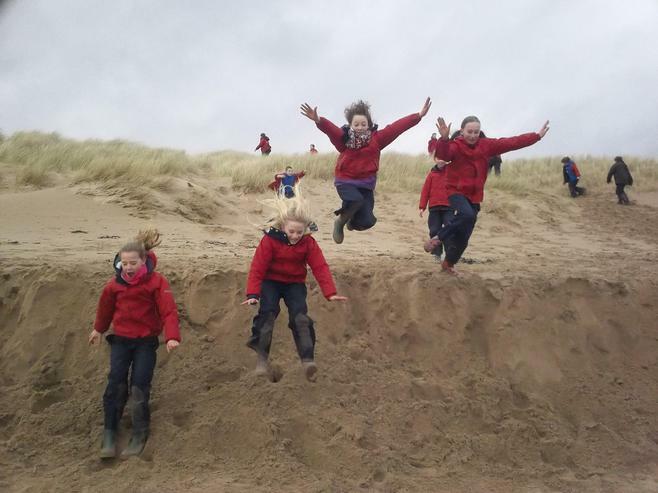 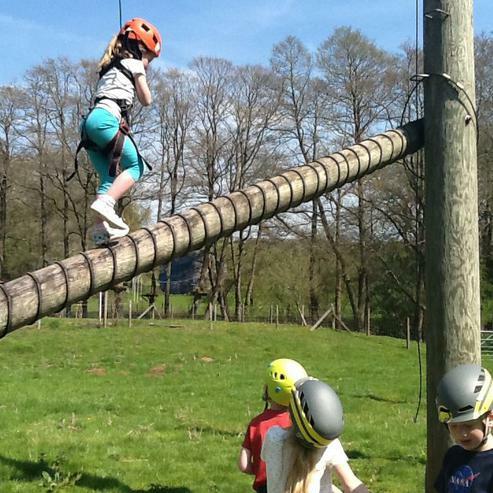 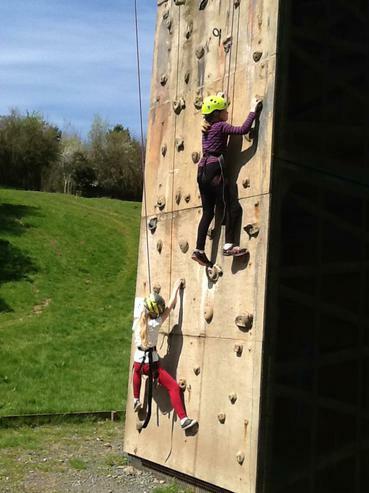 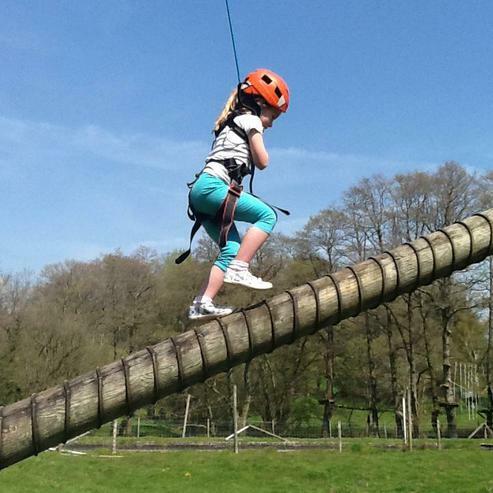 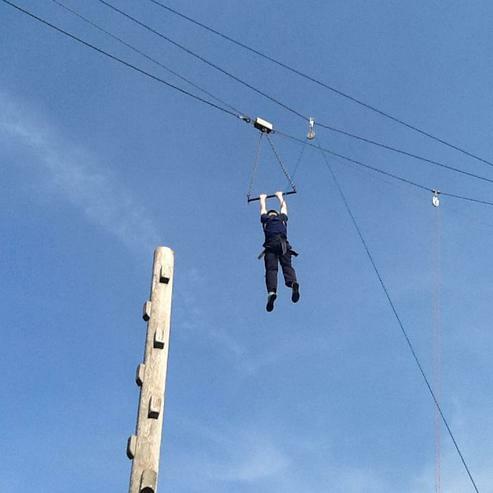 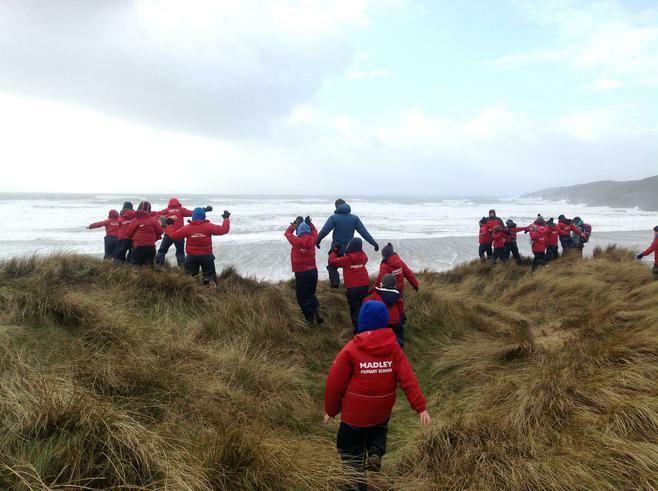 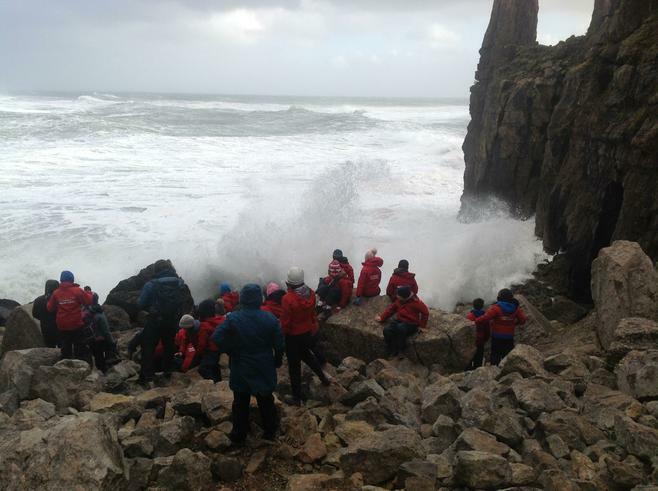 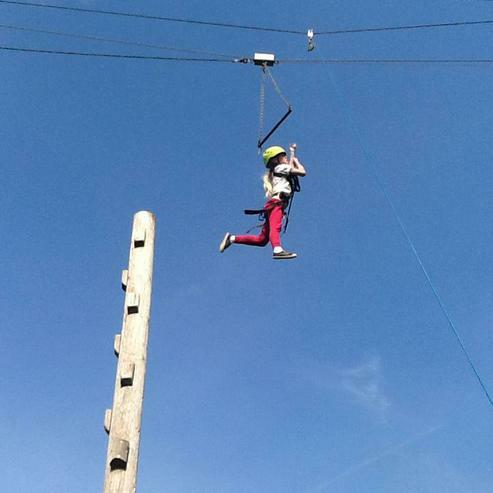 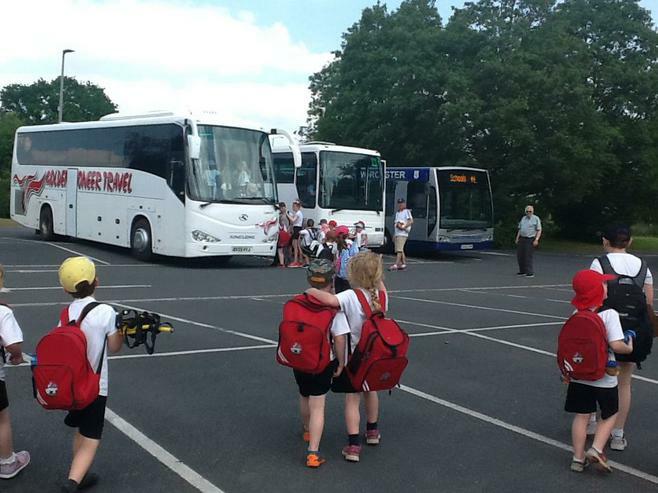 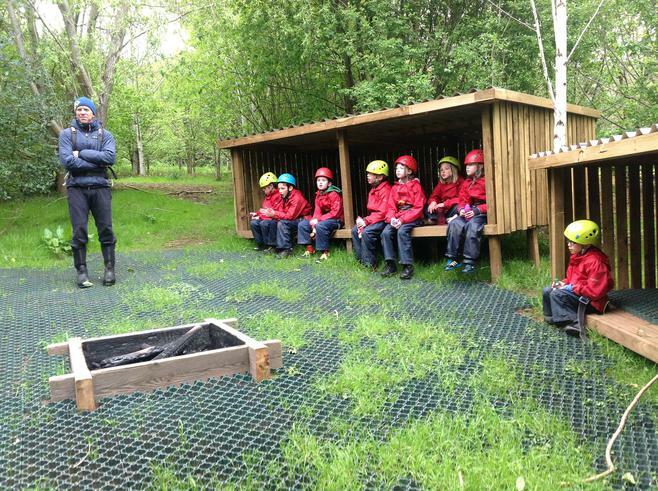 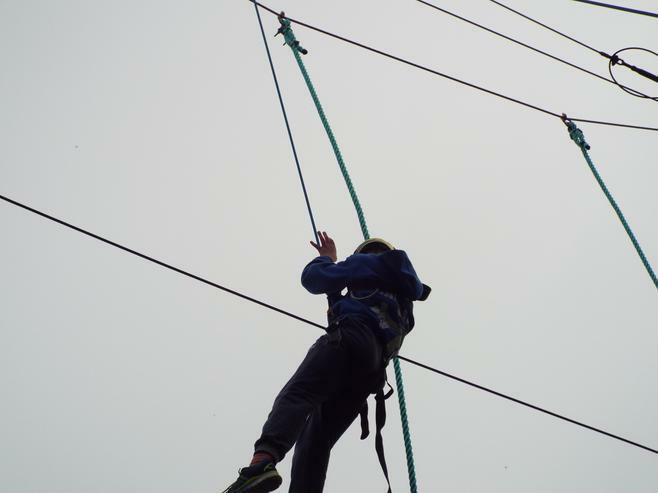 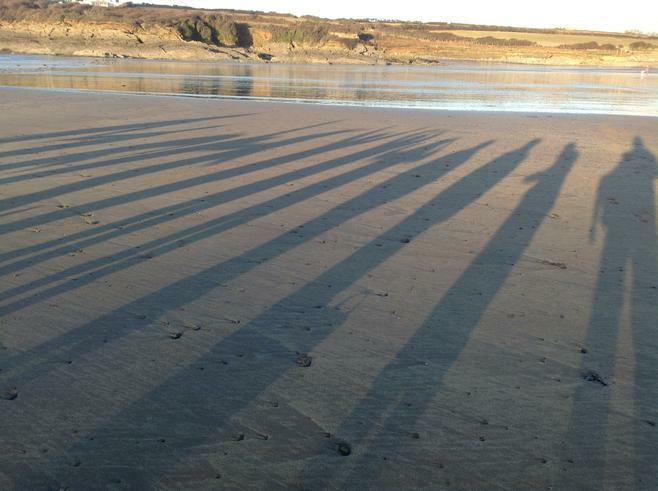 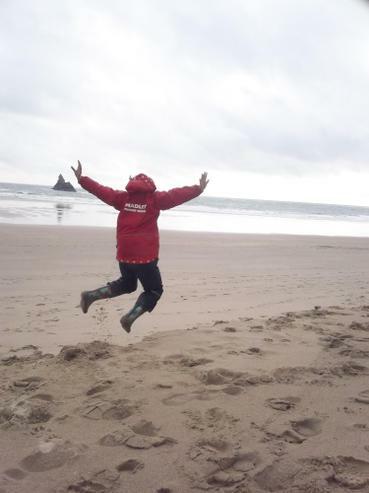 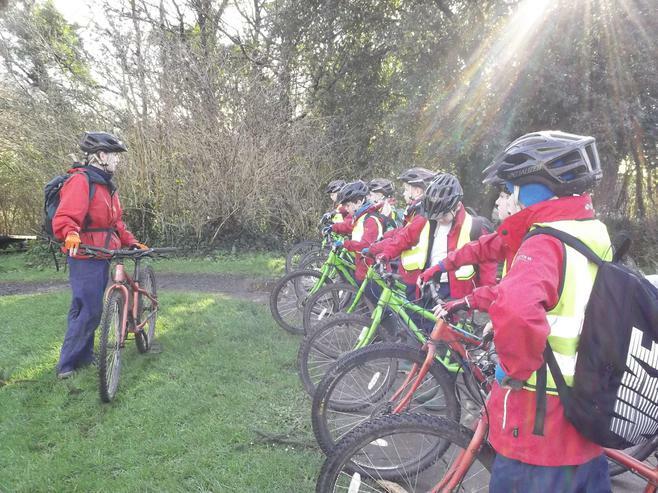 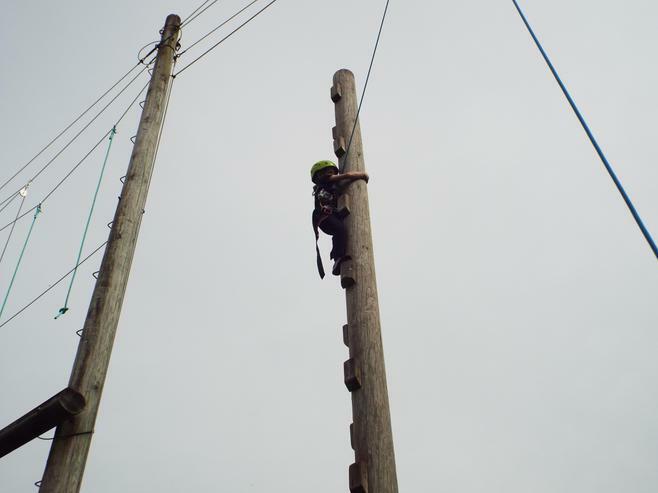 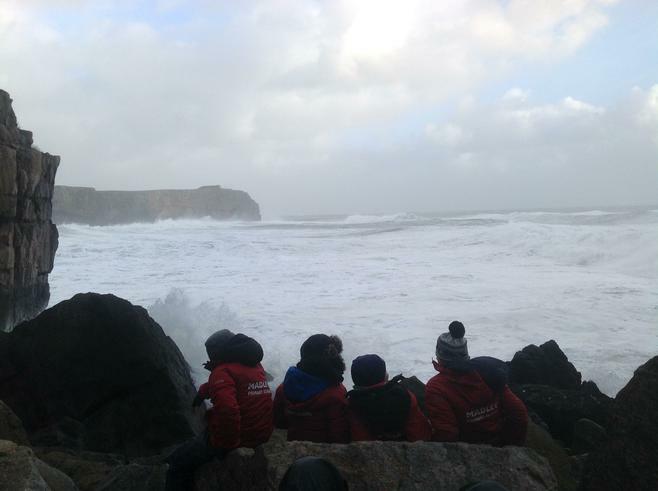 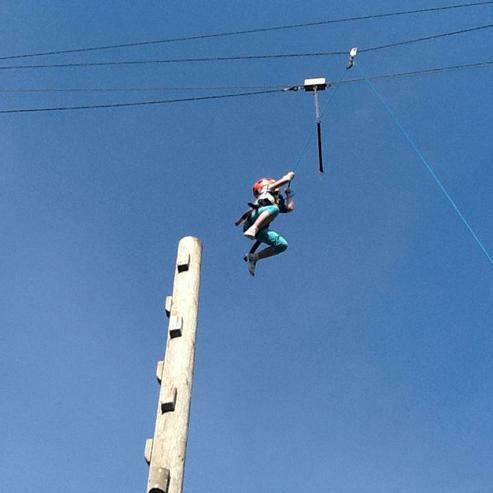 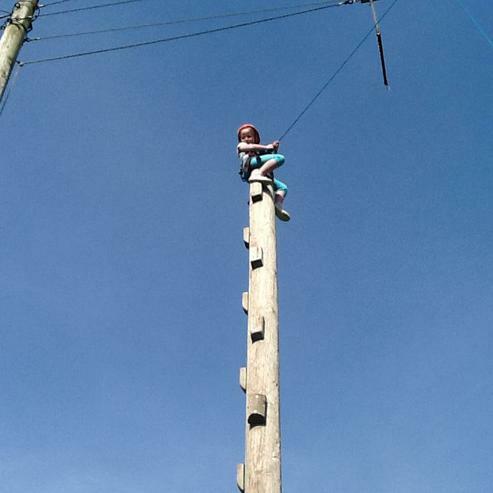 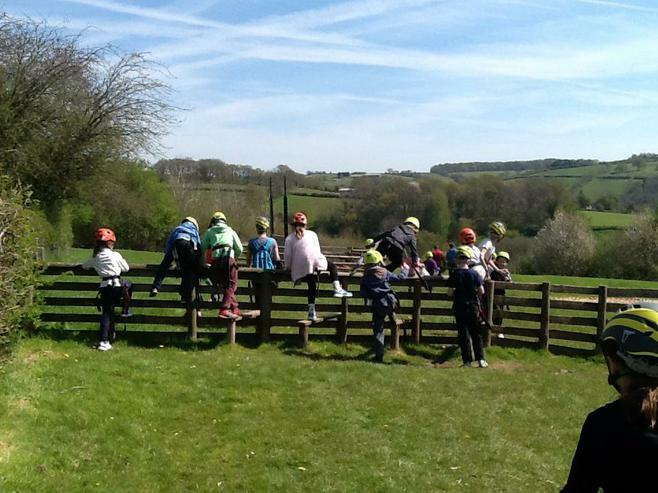 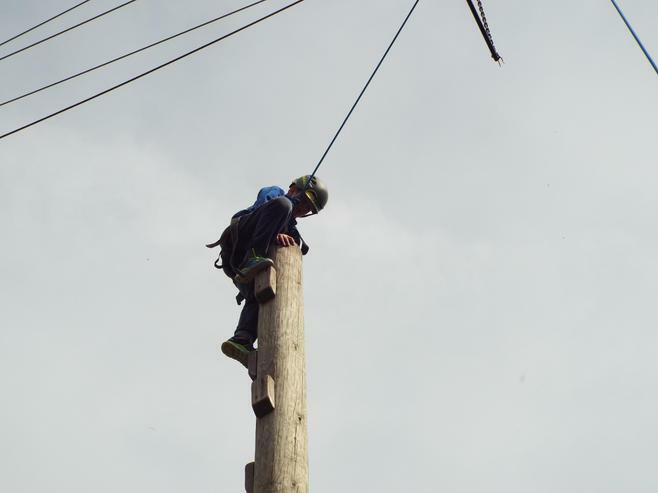 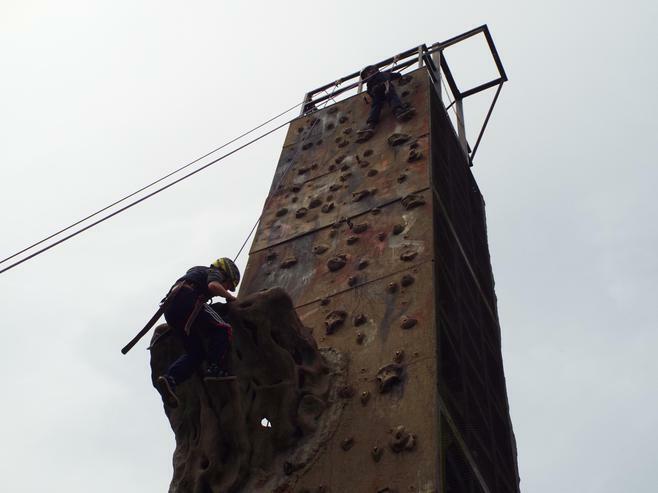 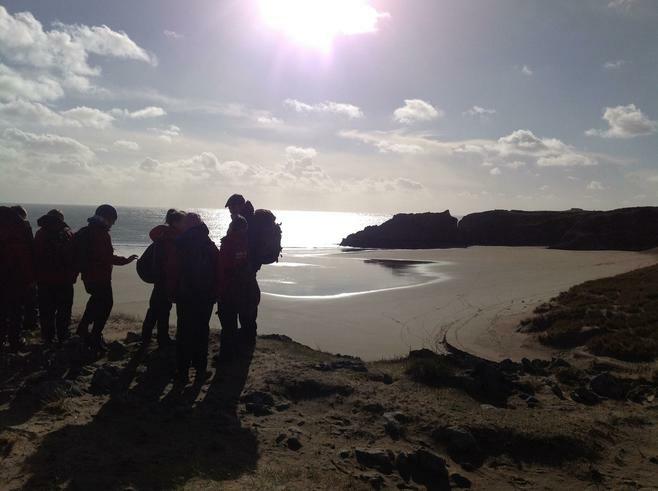 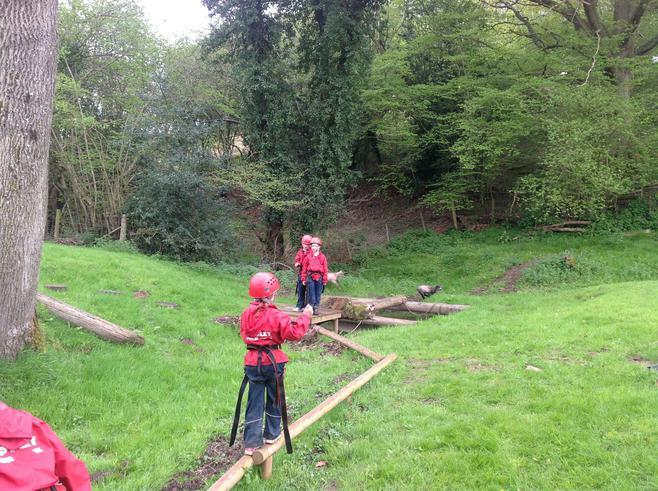 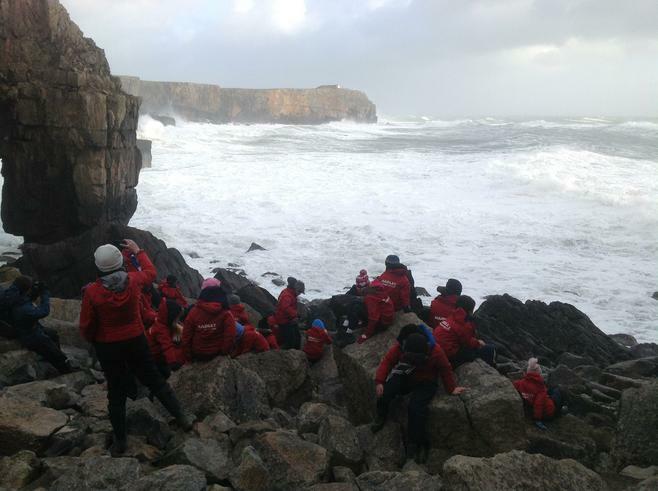 Tuesday - Groups have been climbing, mountain biking and exploring the coast. 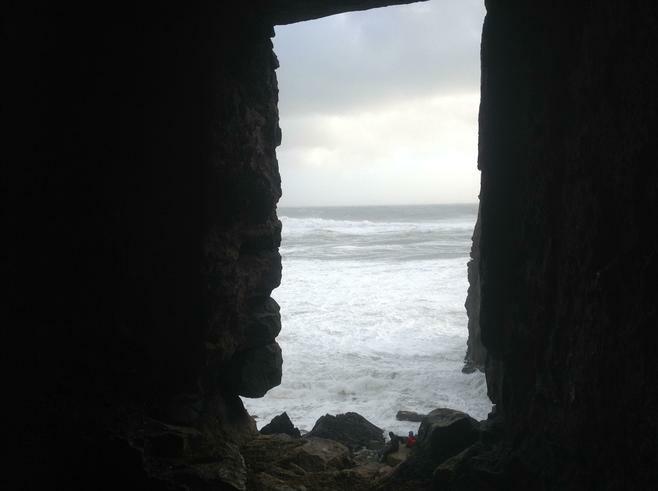 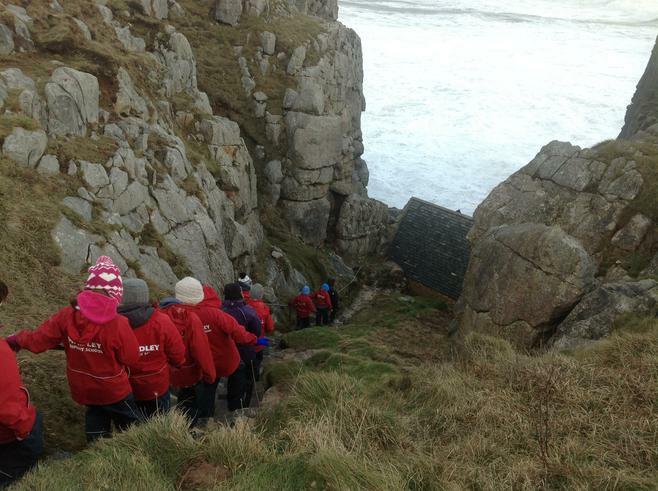 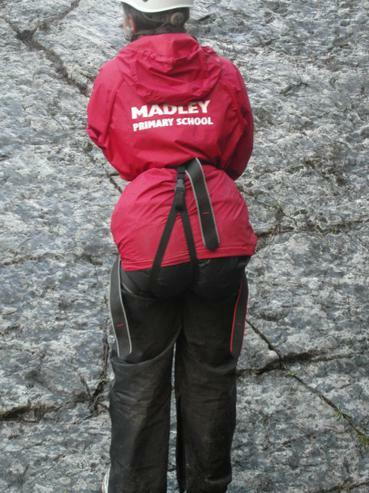 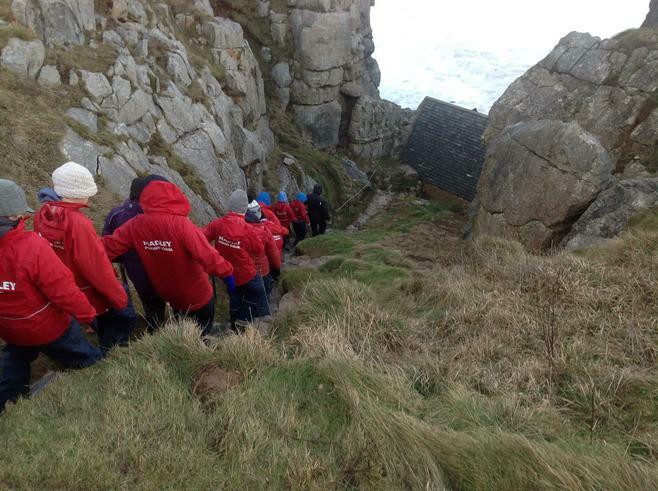 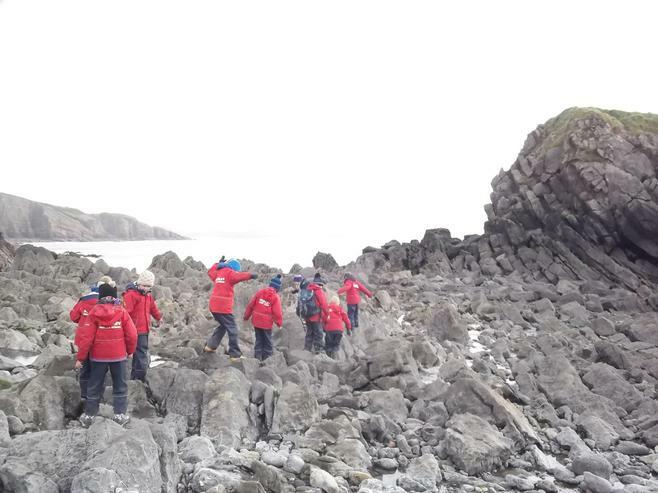 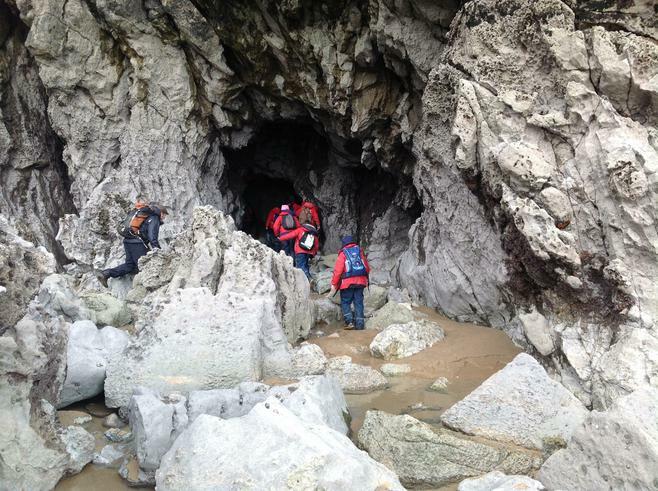 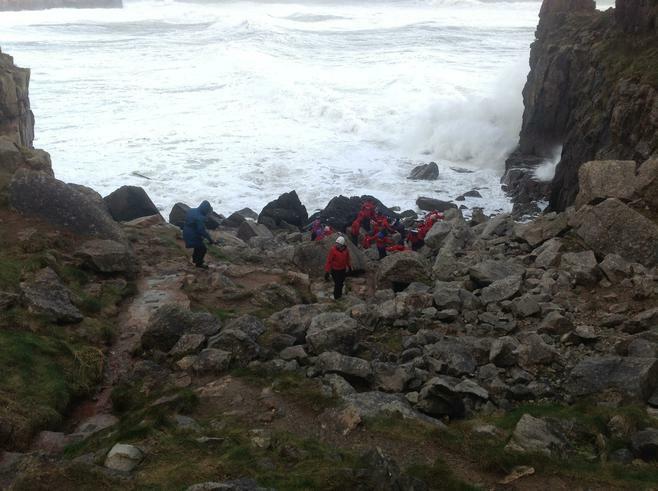 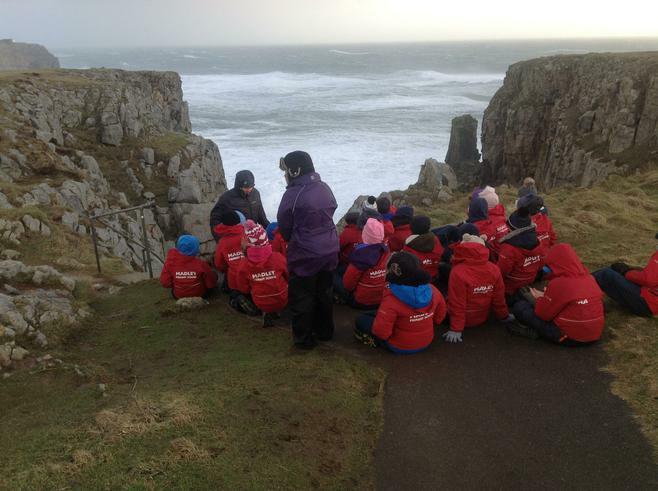 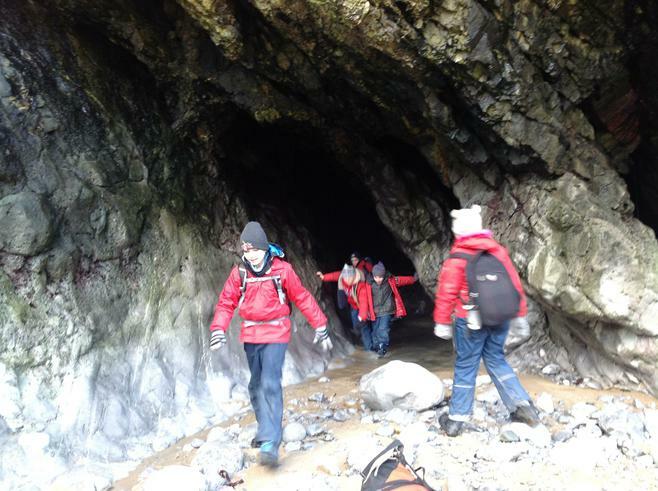 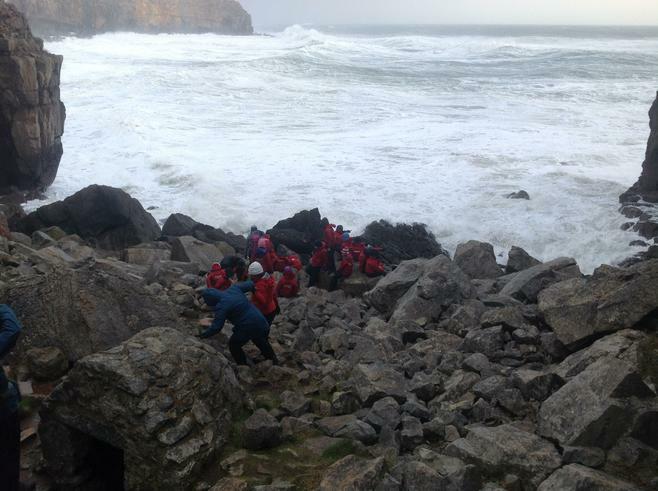 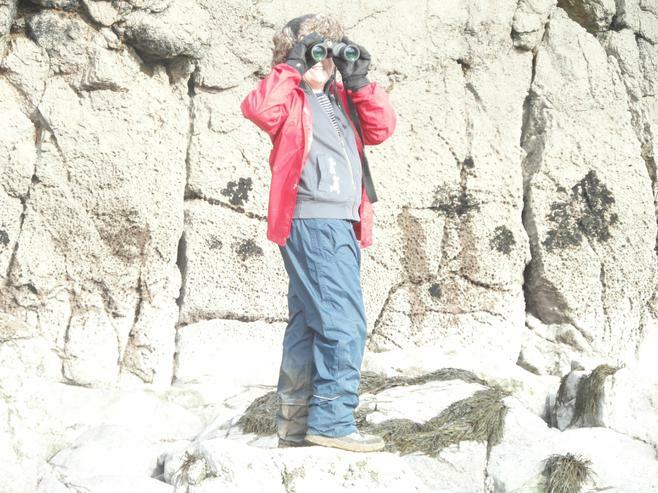 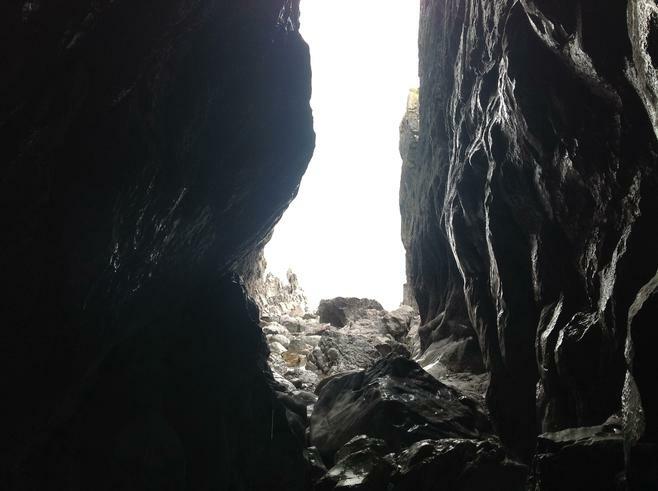 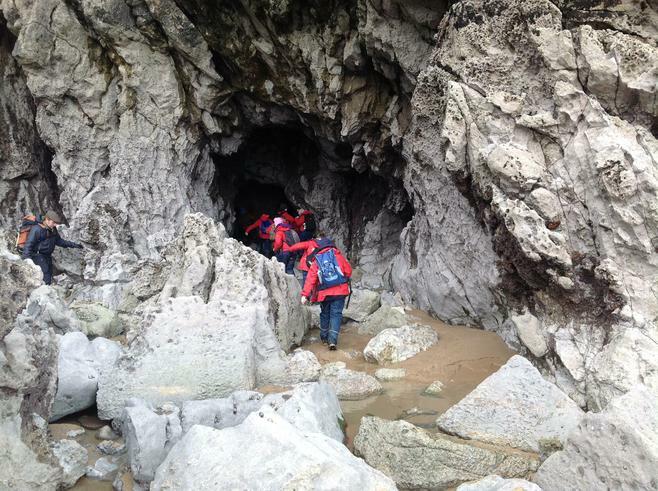 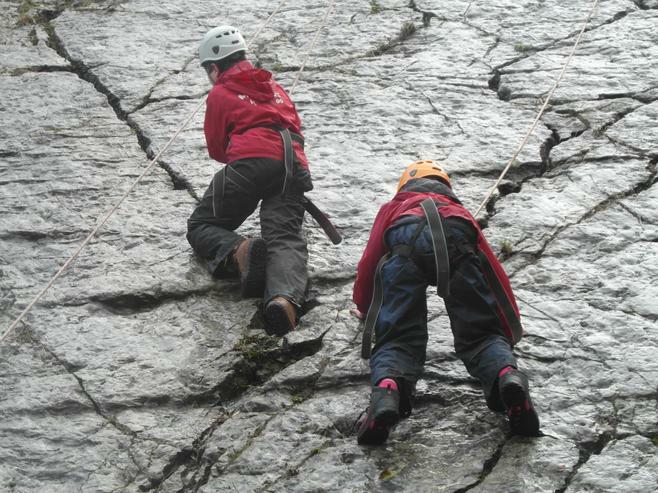 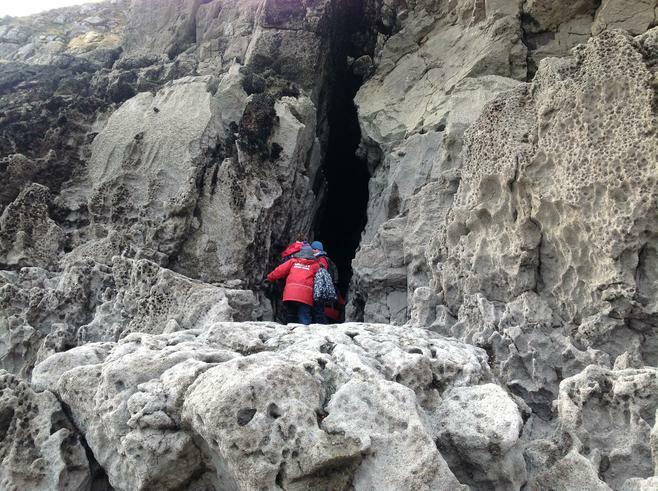 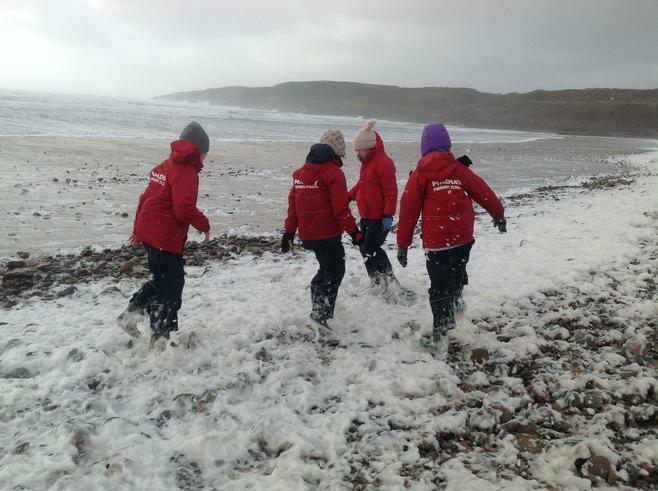 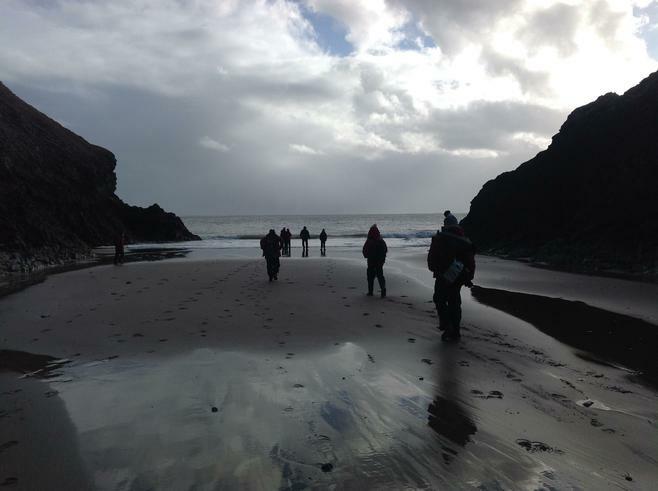 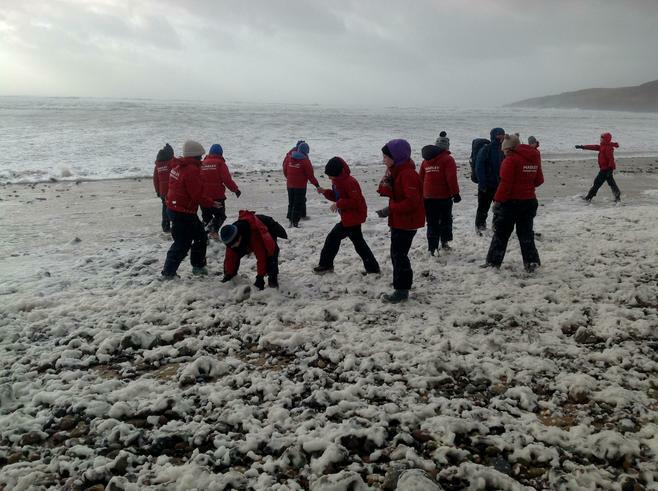 A group explored some coastal caves and then climbed (even blind fold climbing) whilst another group did the reverse. 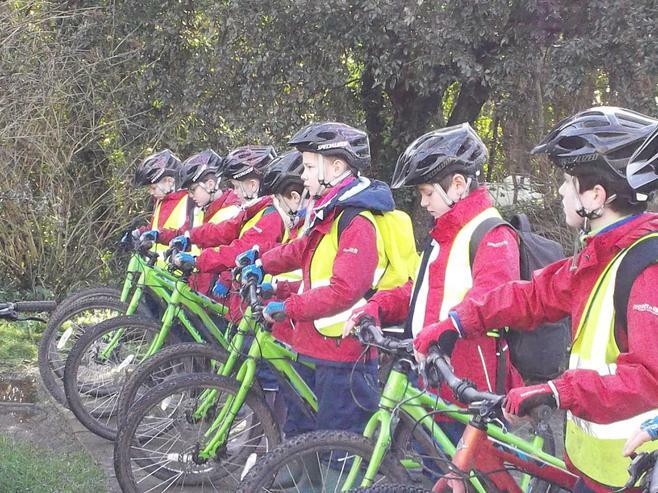 The final group were out on the mountain bikes. 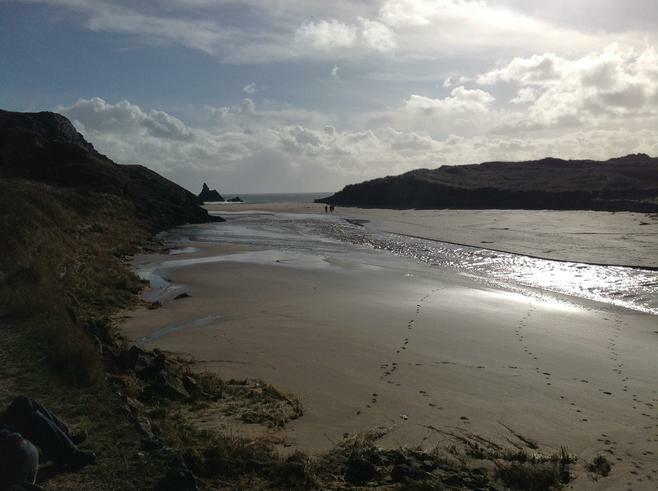 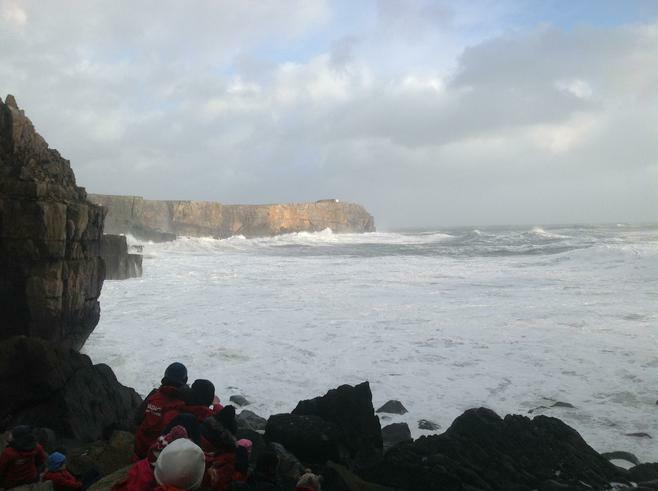 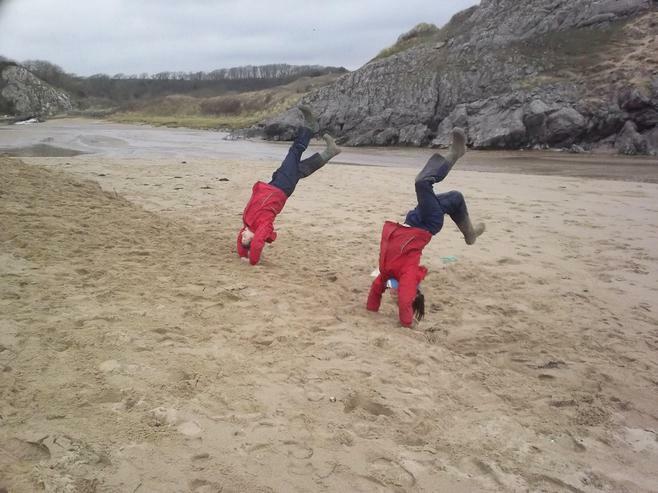 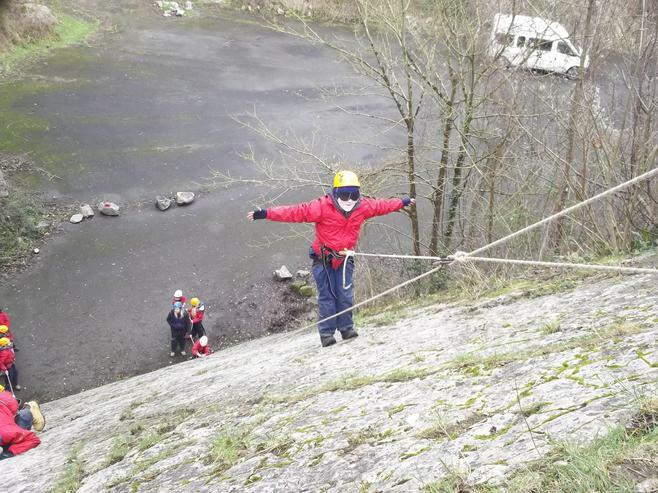 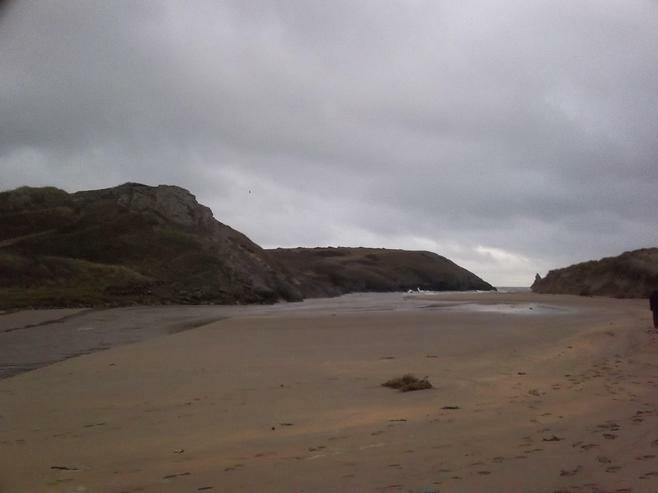 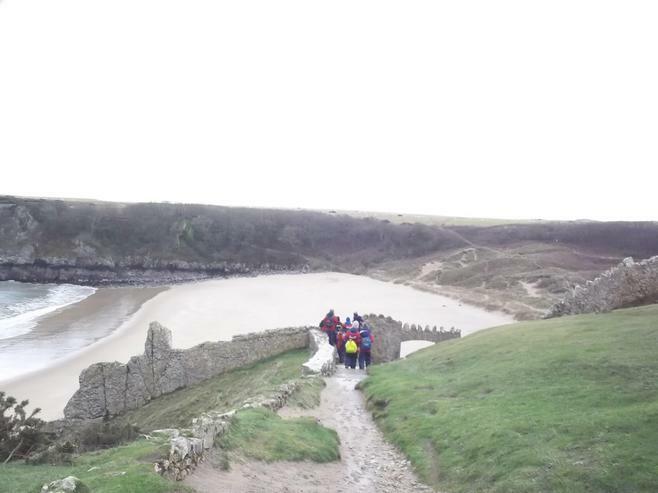 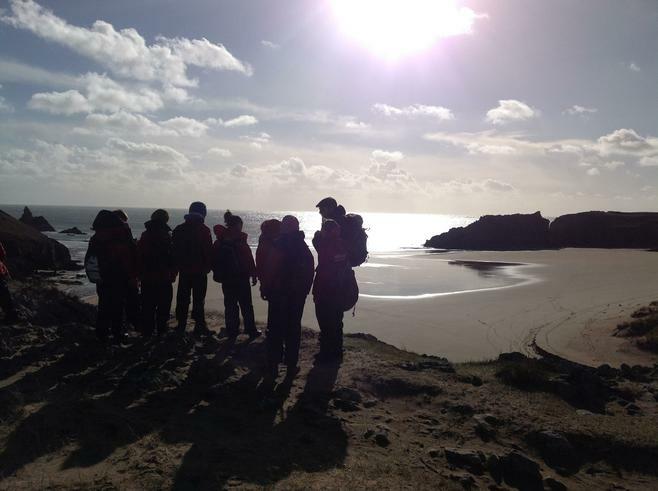 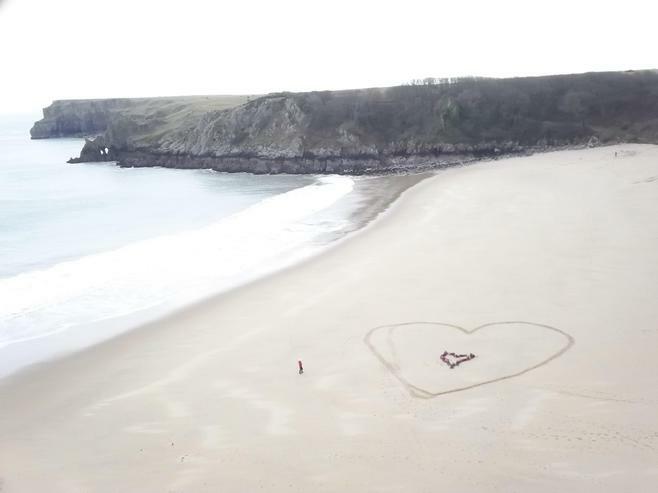 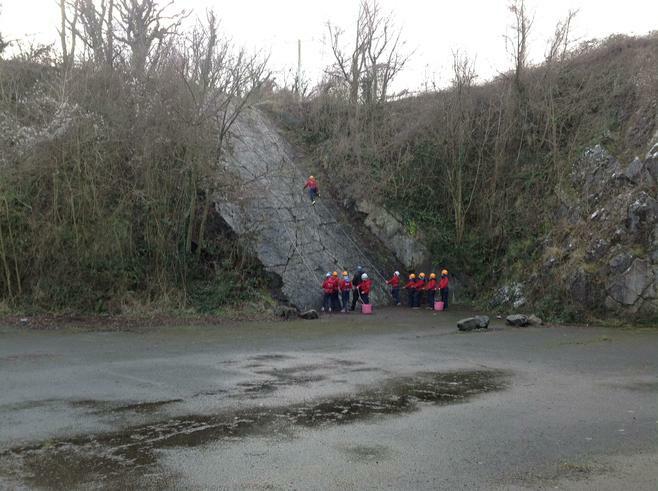 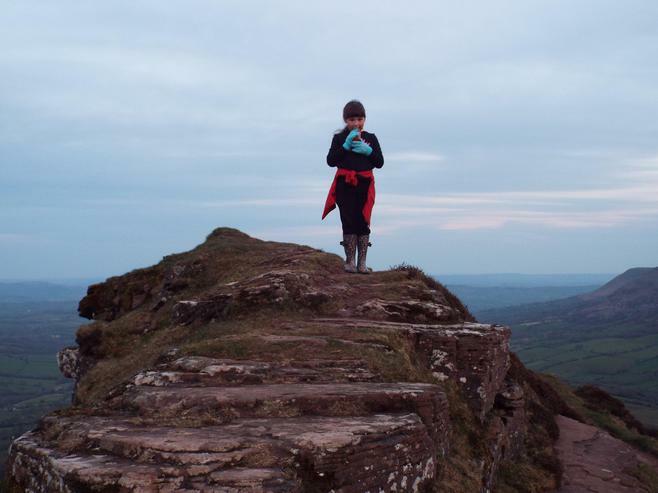 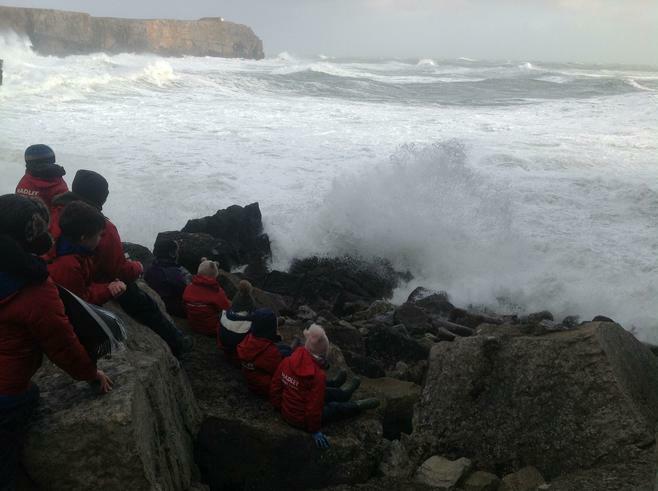 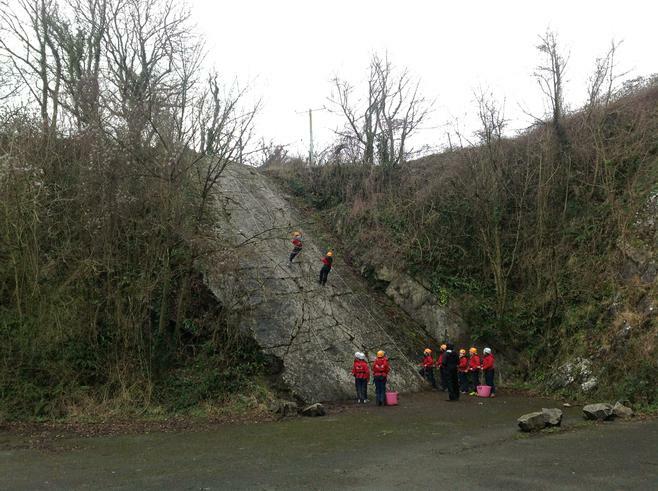 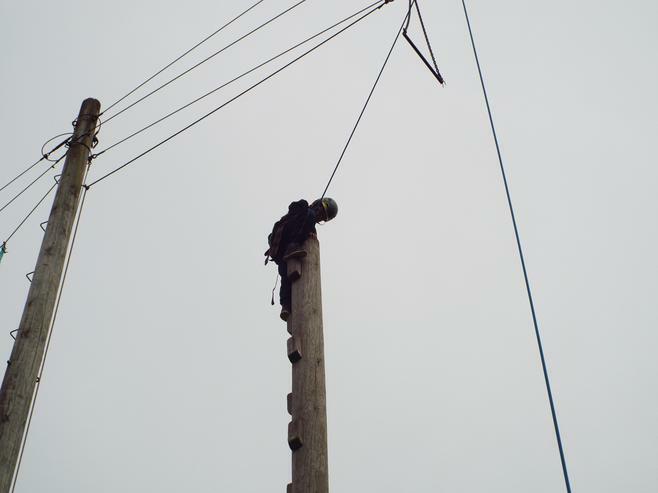 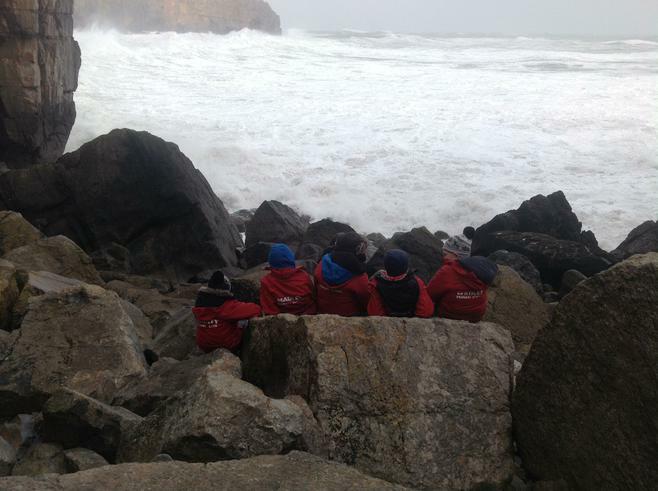 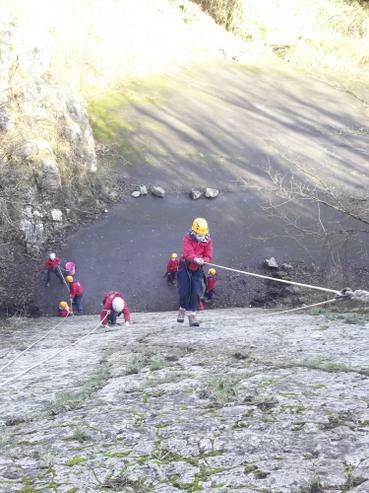 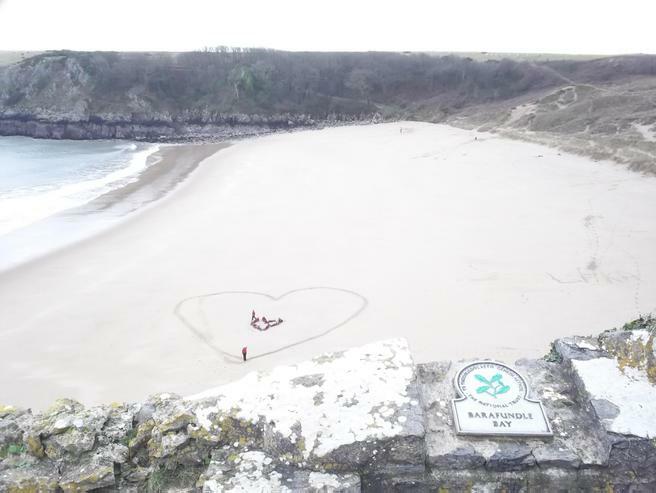 The climbing was in the quarry at Stackpole Quay. 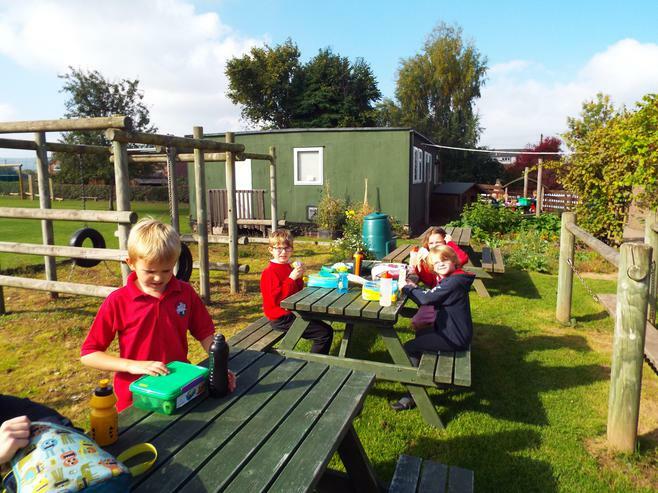 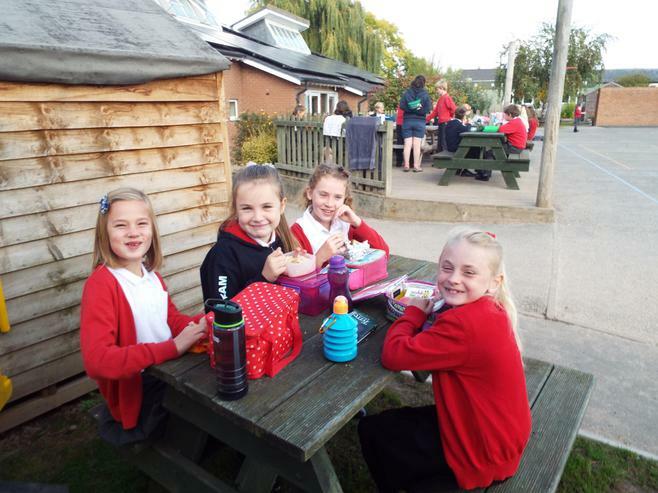 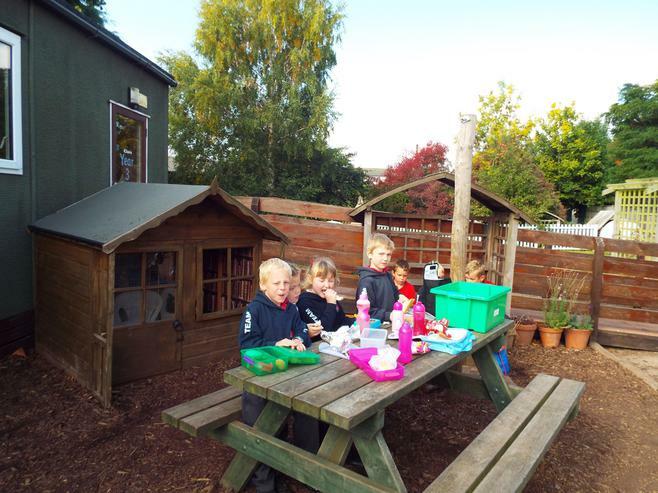 All the children cleaned and organised their rooms properly this morning and got high scores (the standard has been set) and they have all eaten well. 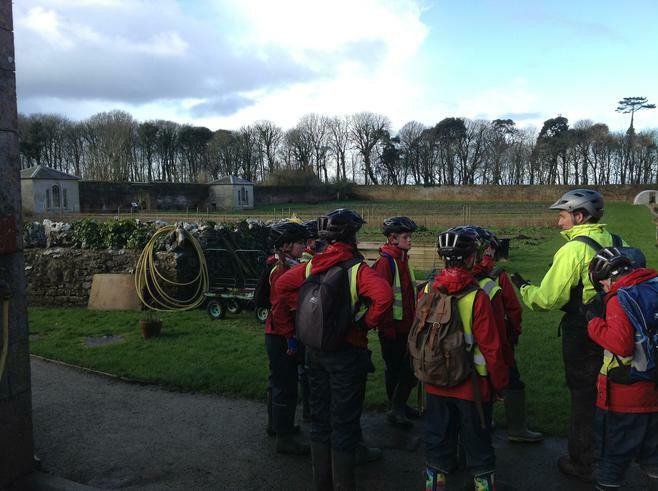 Wednesday - all slept really well and had to be woken. 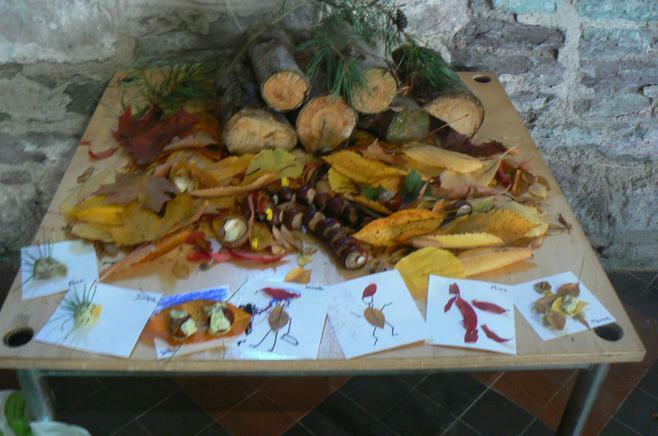 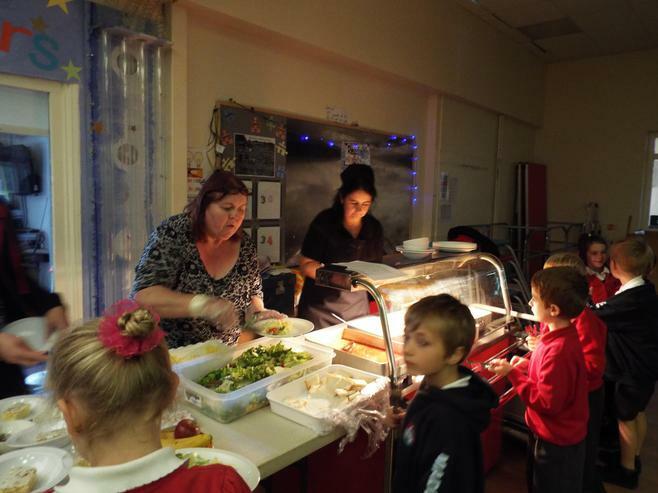 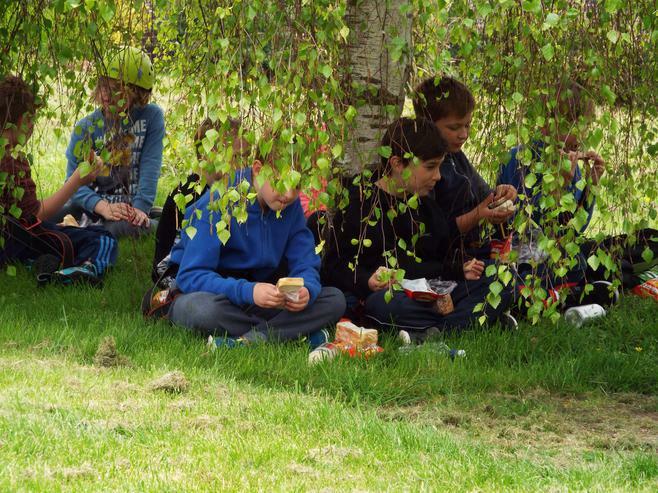 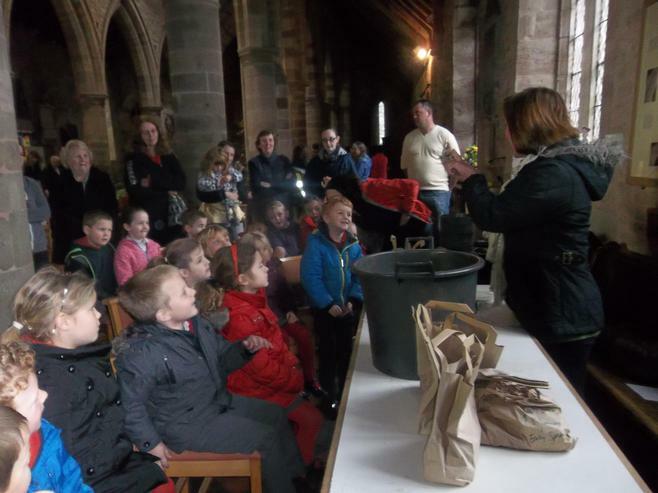 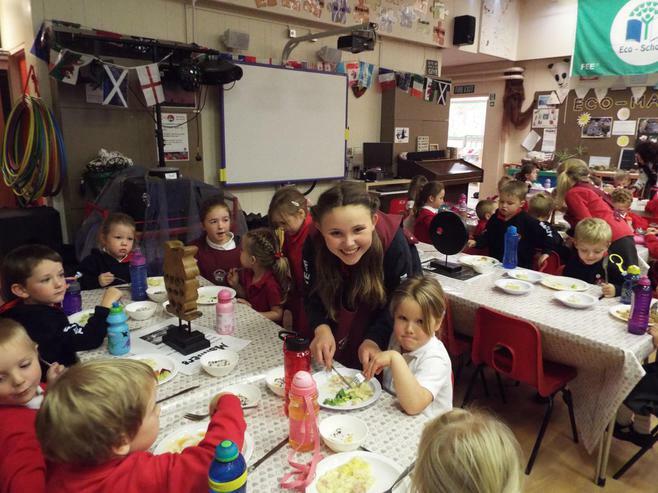 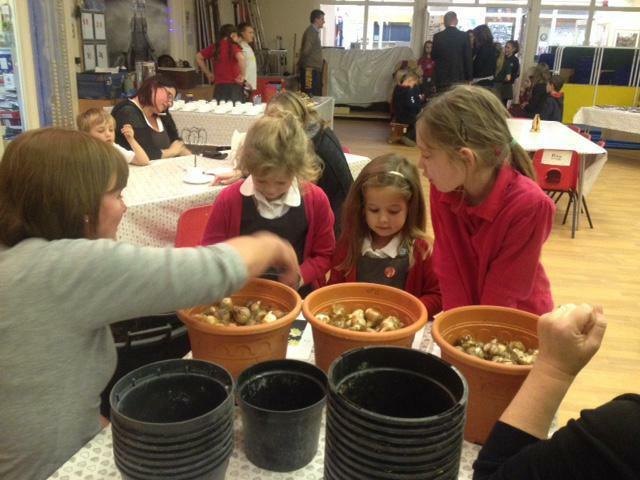 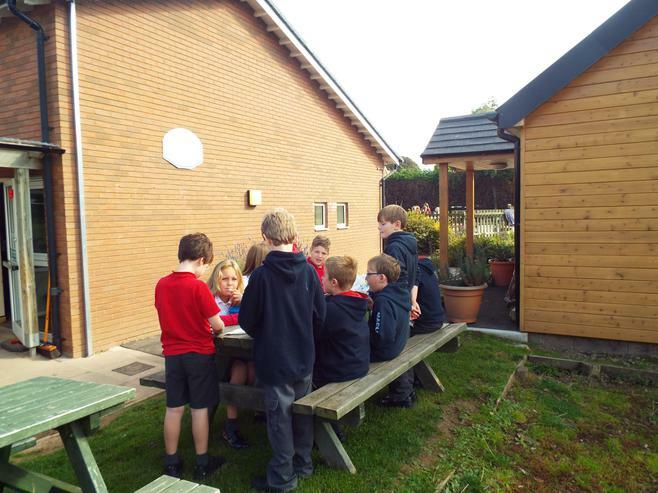 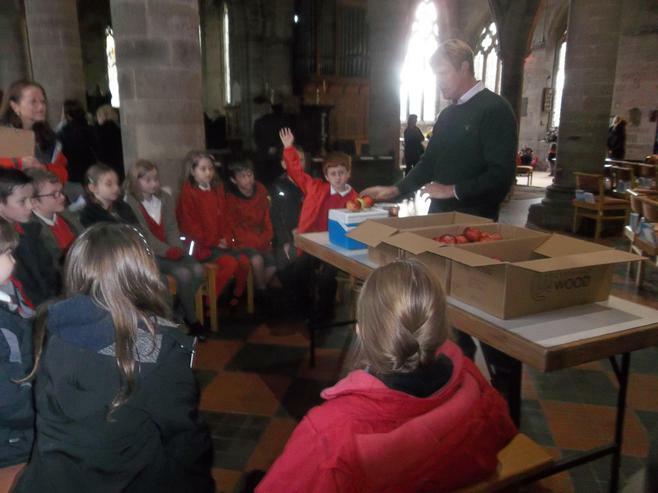 A full day of activities yesterday and all ate really well (only 0.1 g of food waste for 28 children from three meals - amazing !). 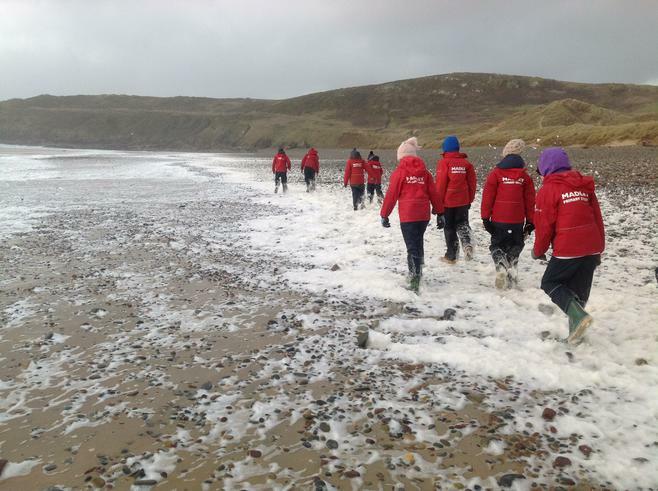 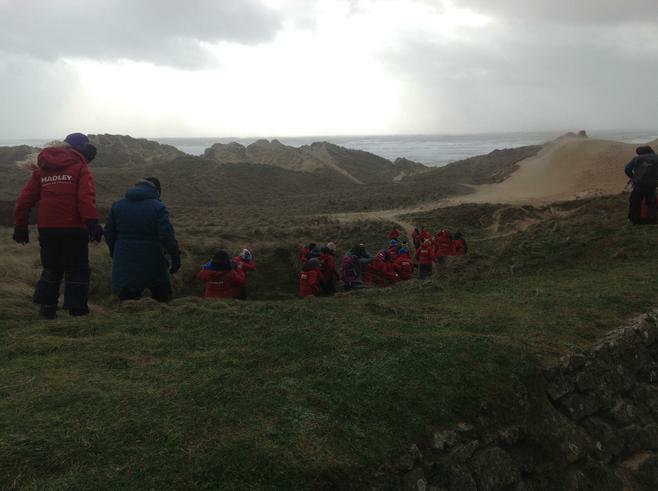 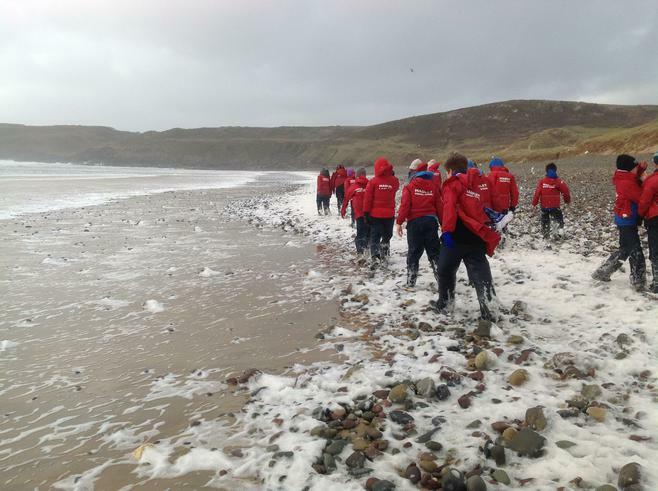 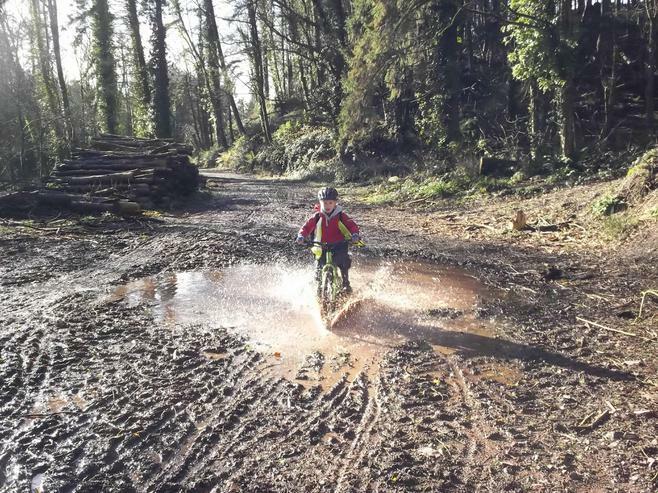 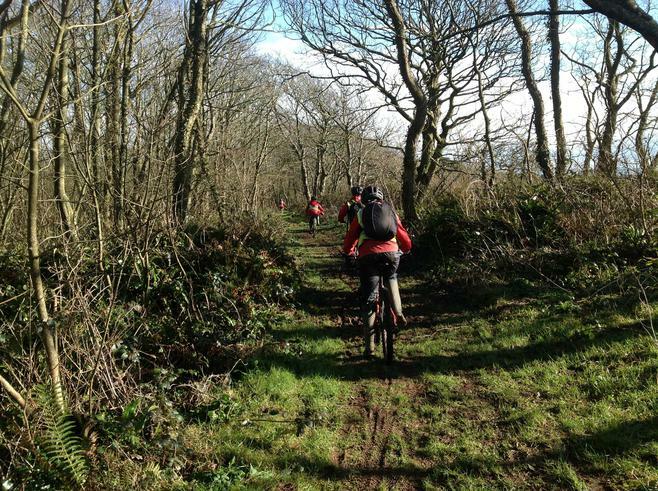 Mountain biking, climbing, coastal exploration and conservation work all undertaken yesterday. 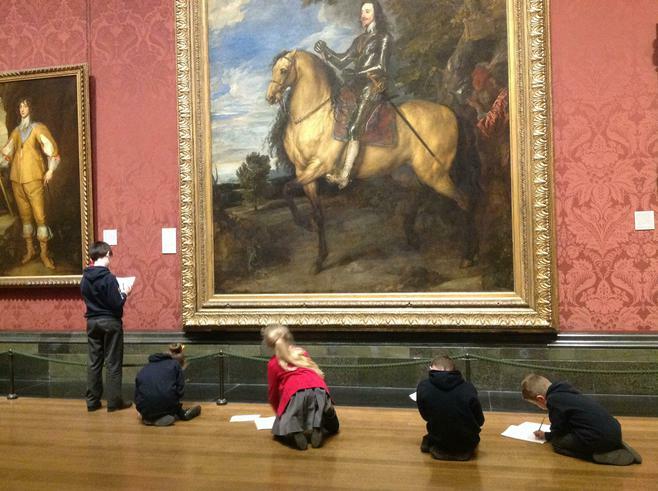 High room scores for organisation and cleaning on Tuesday morning so high standards set. 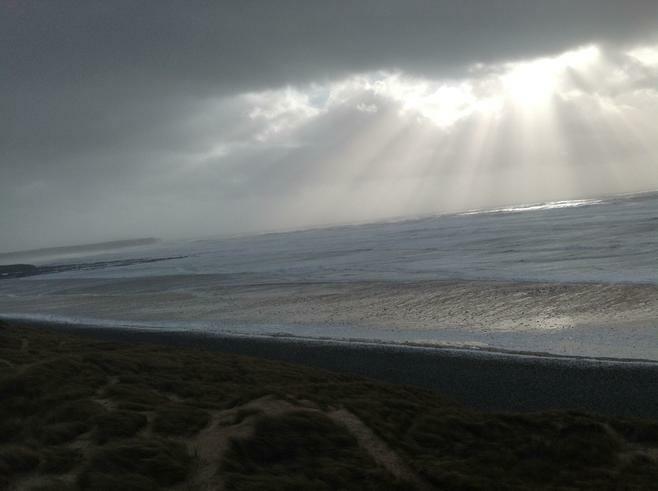 Thursday - all well. 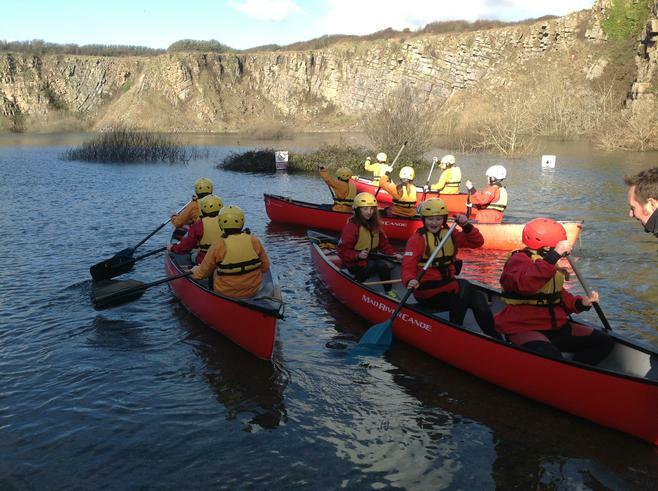 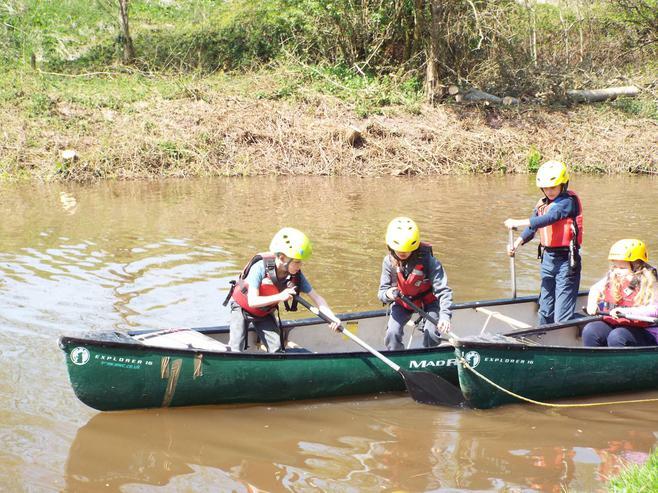 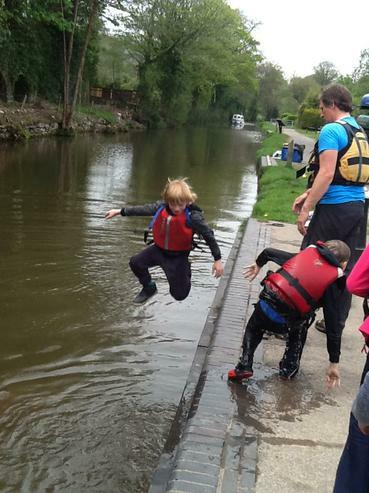 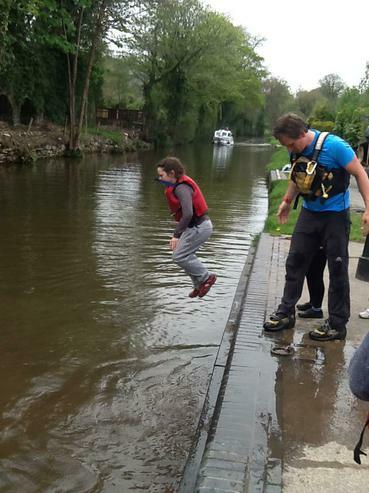 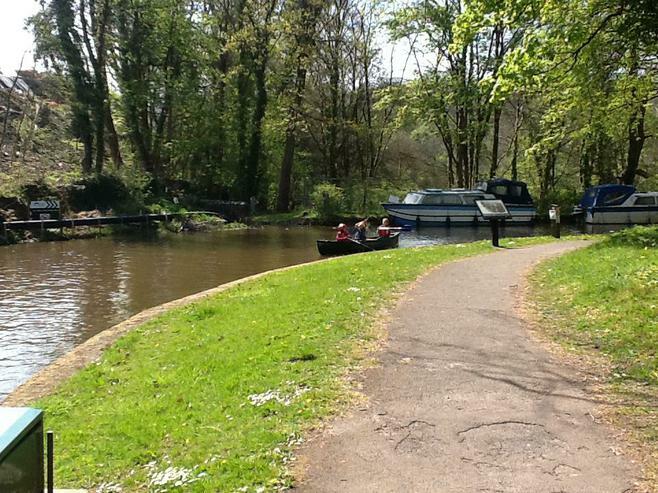 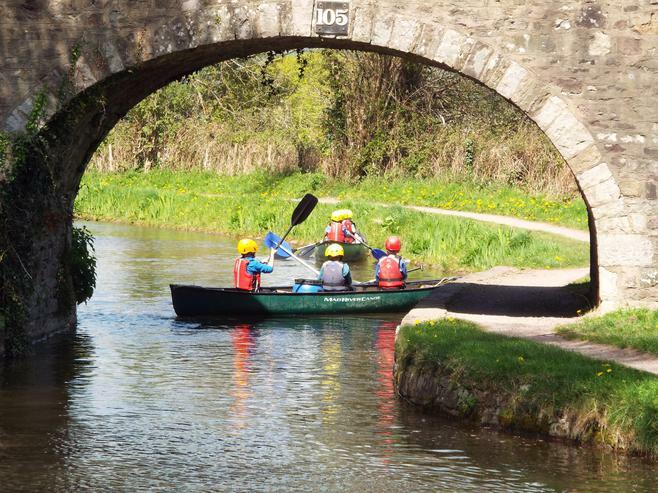 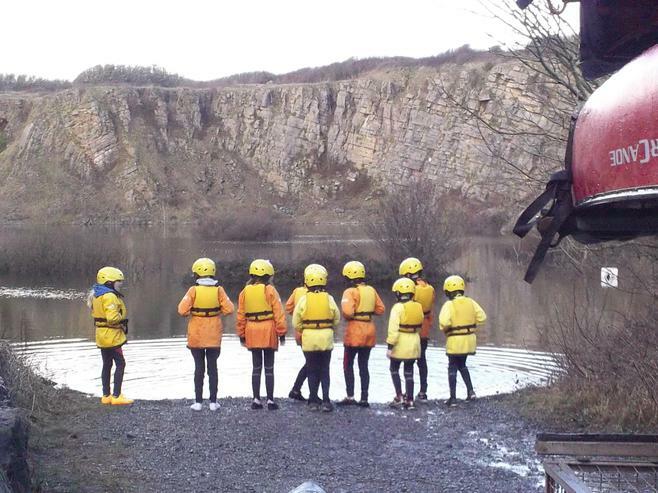 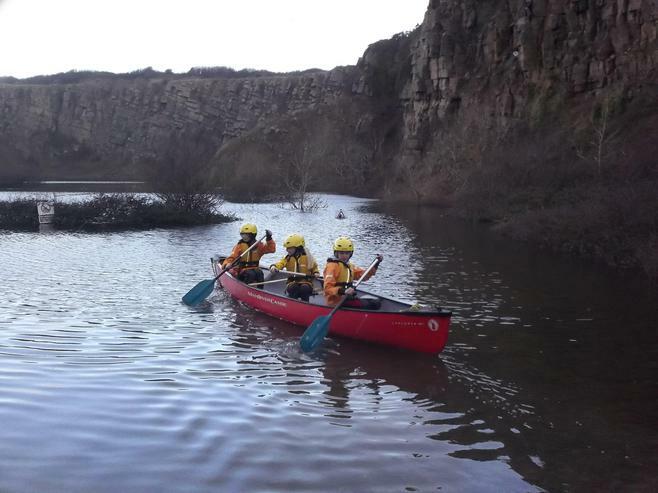 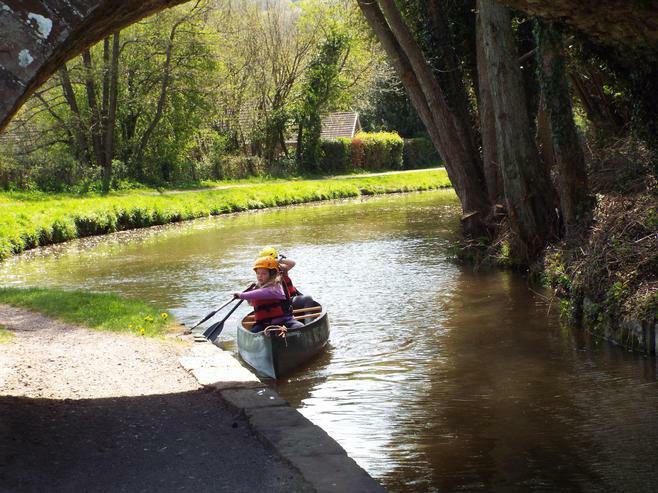 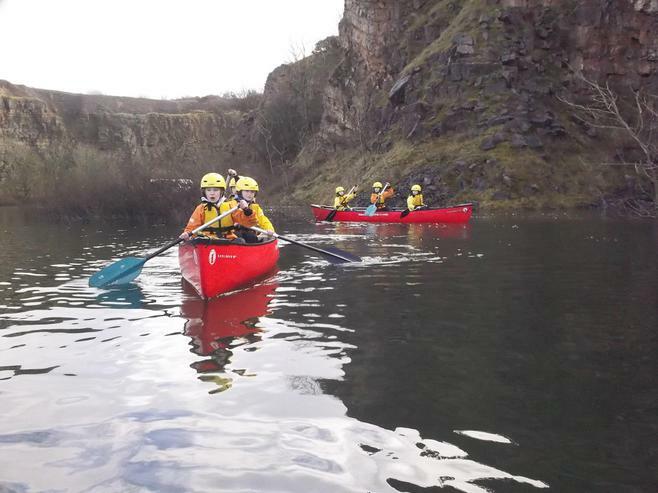 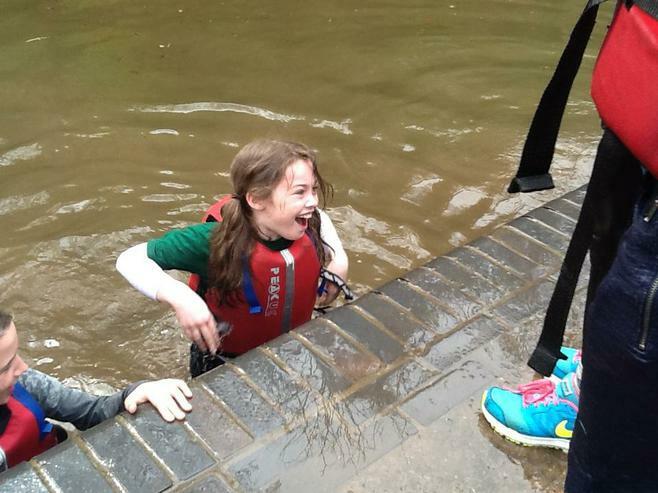 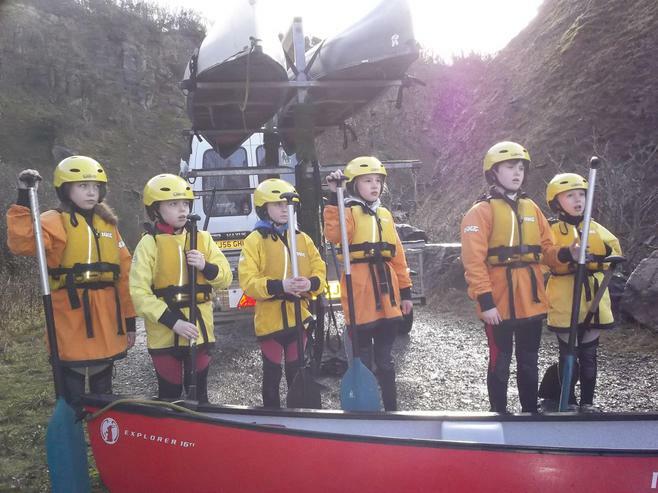 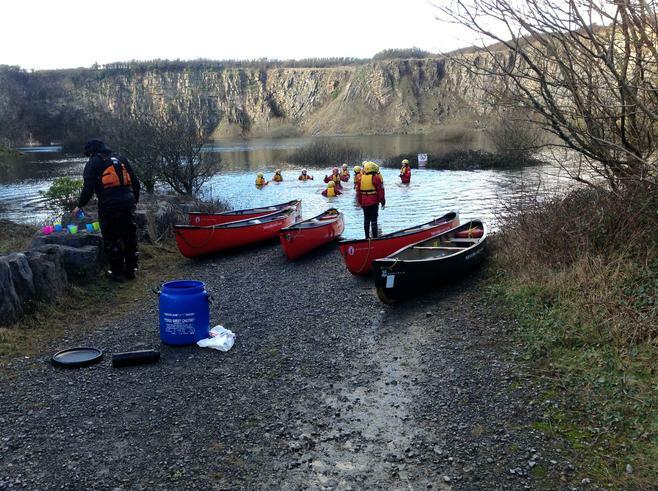 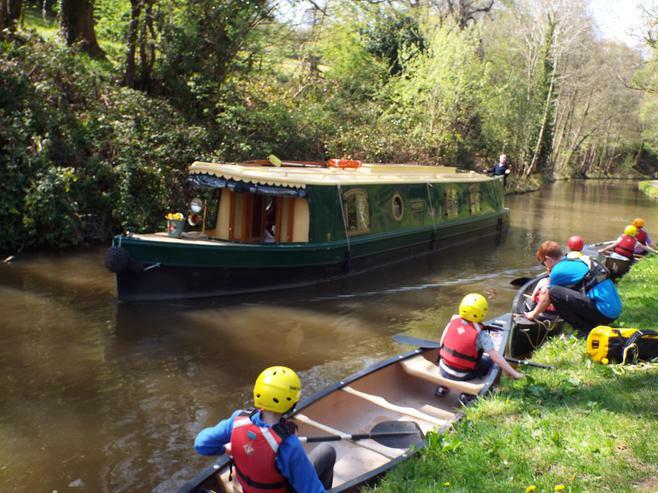 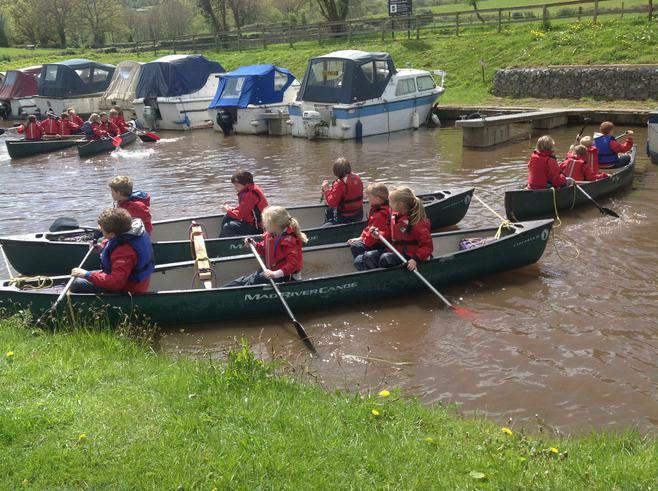 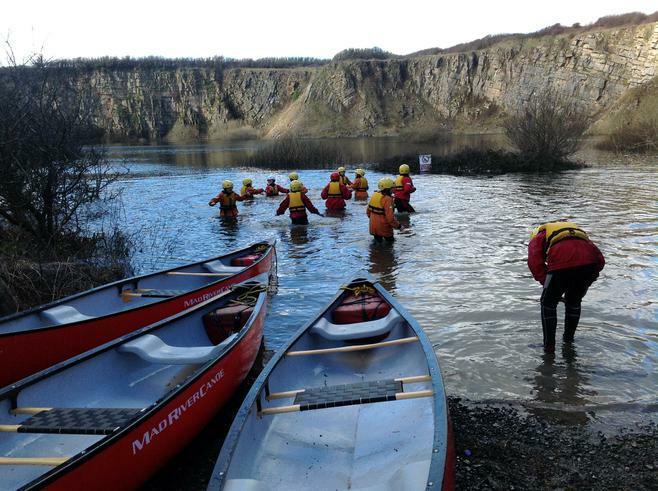 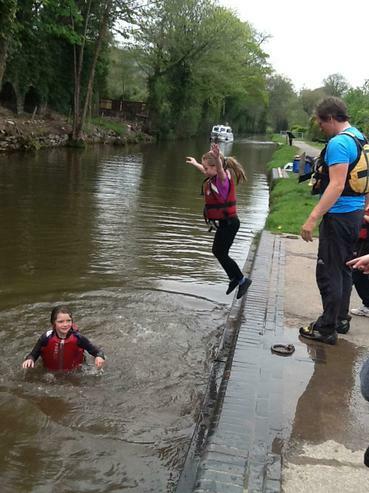 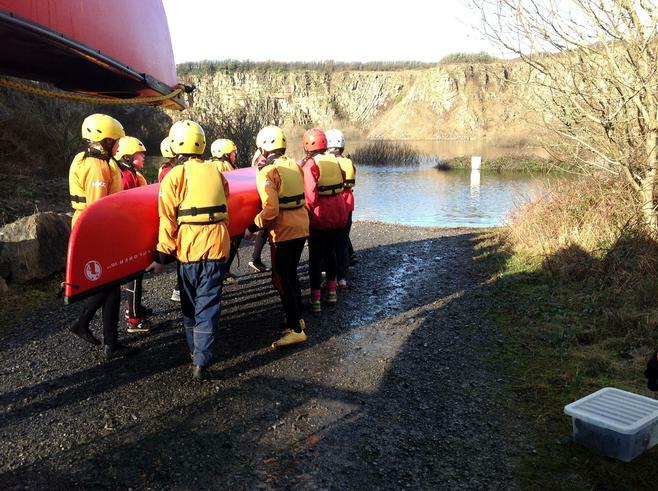 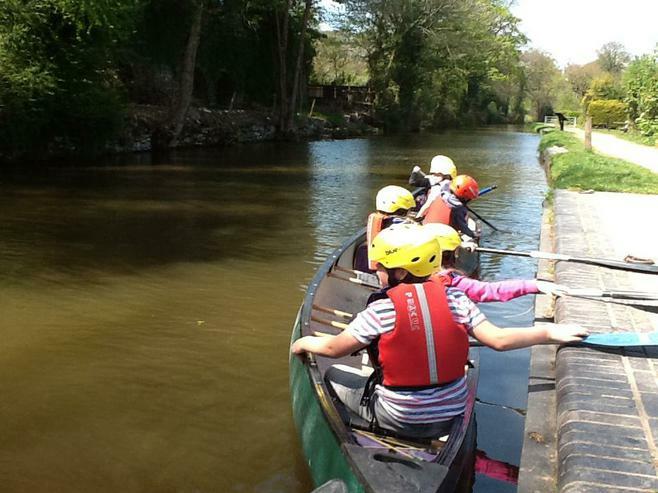 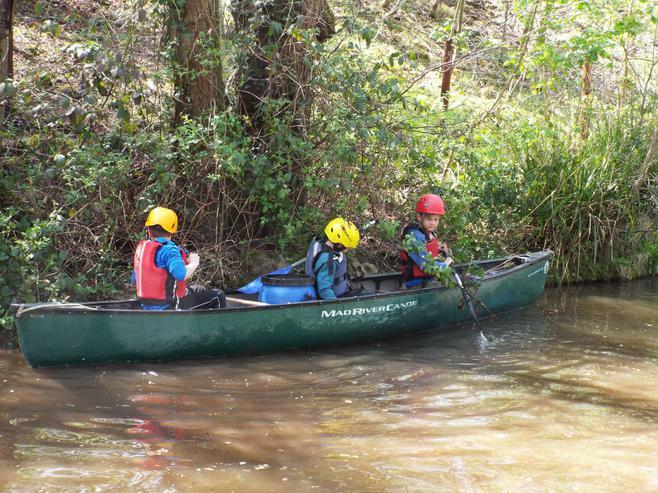 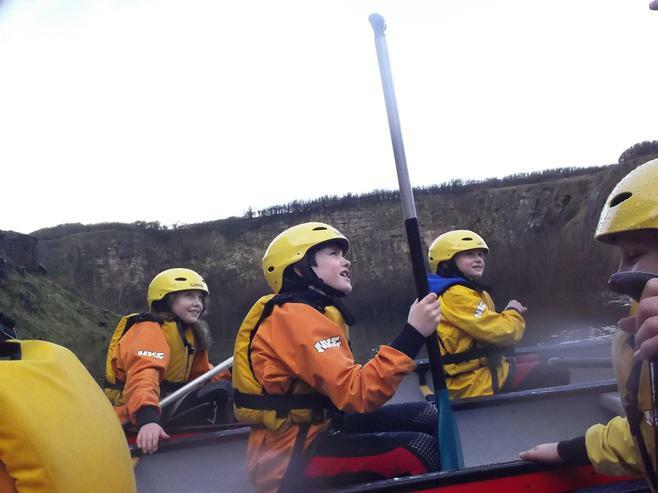 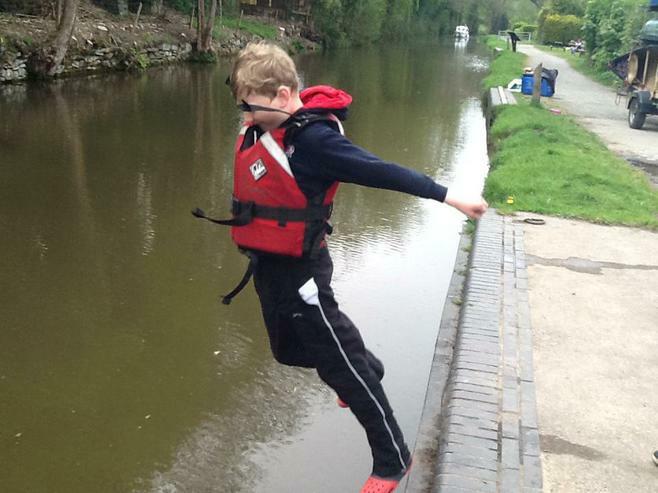 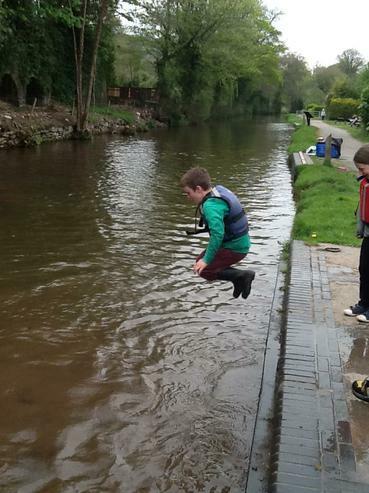 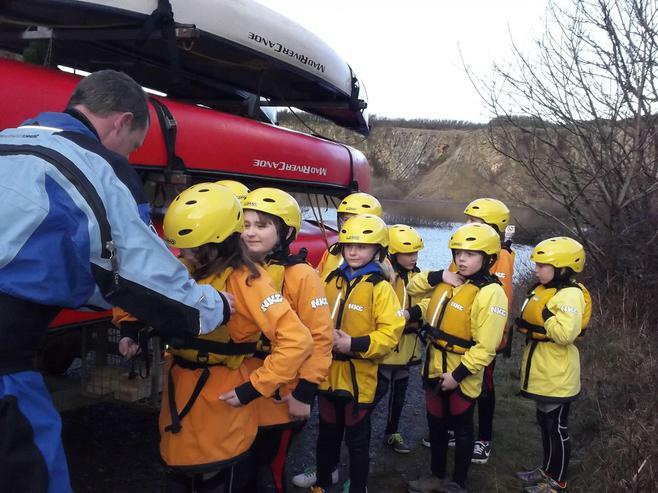 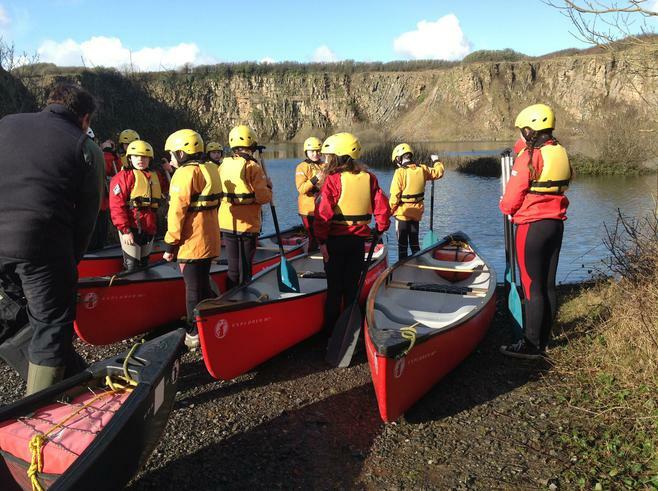 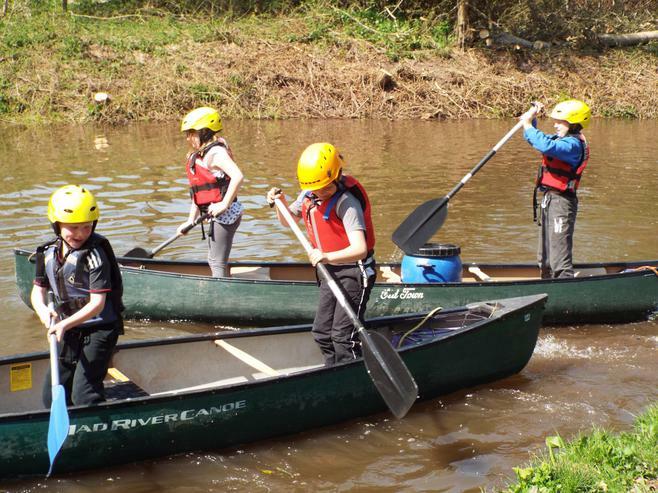 Canoeing yesterday in the quarry, all had a great time. 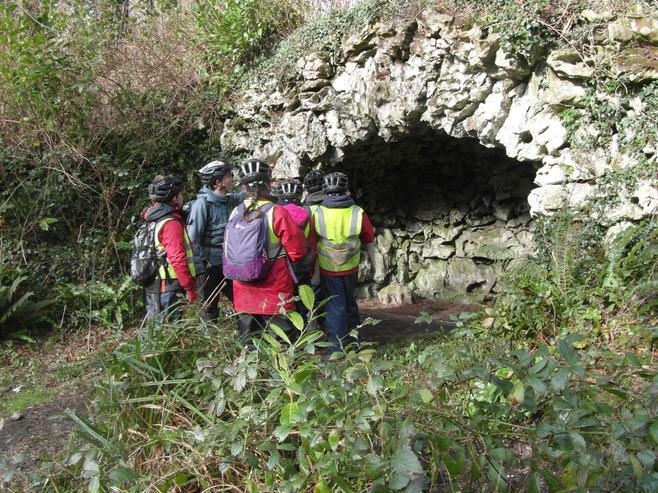 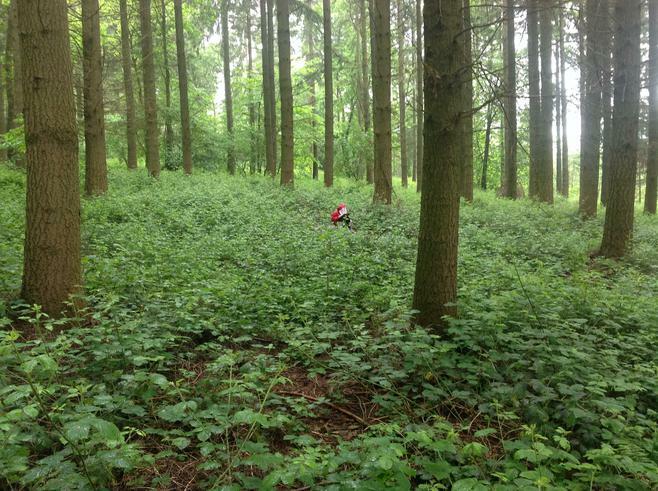 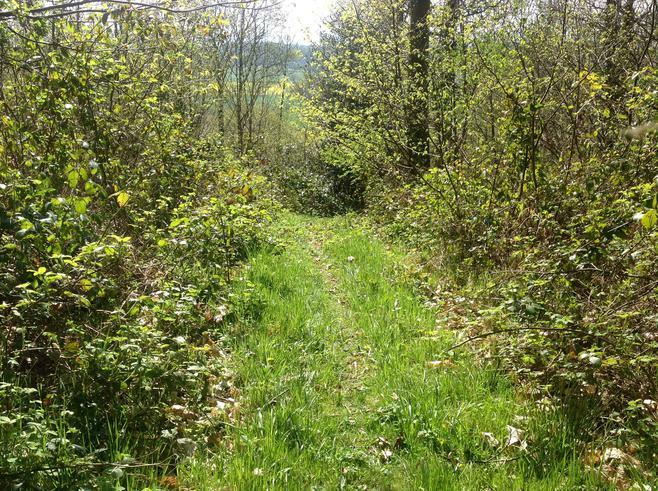 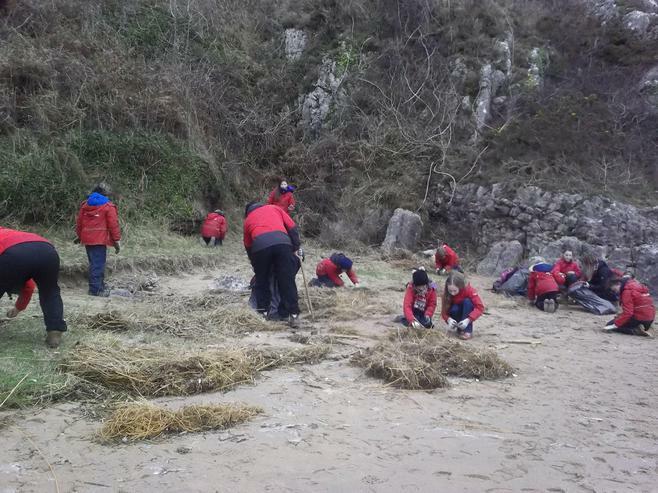 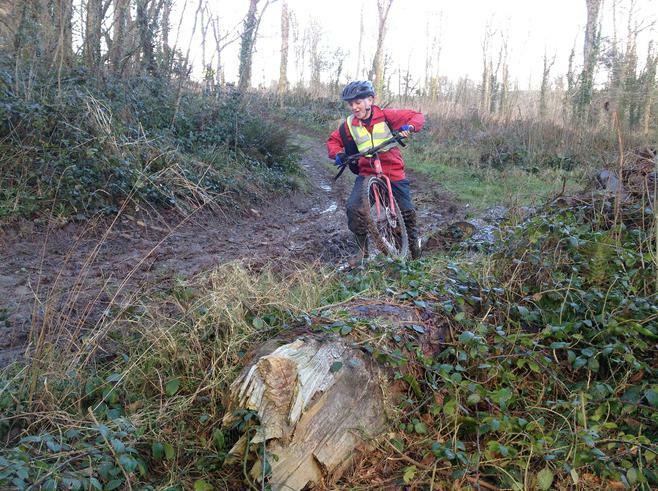 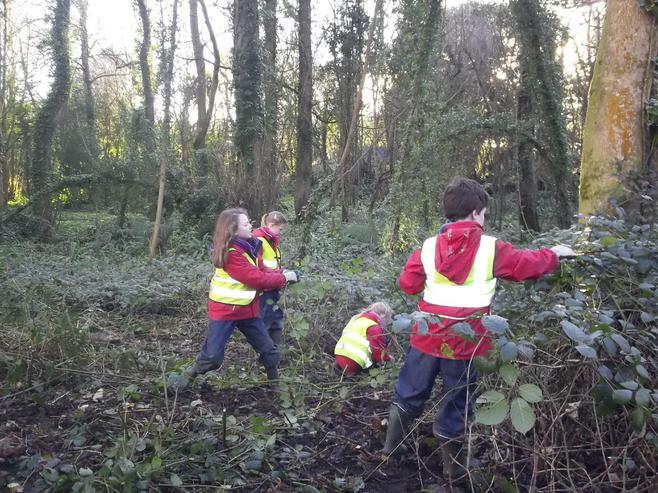 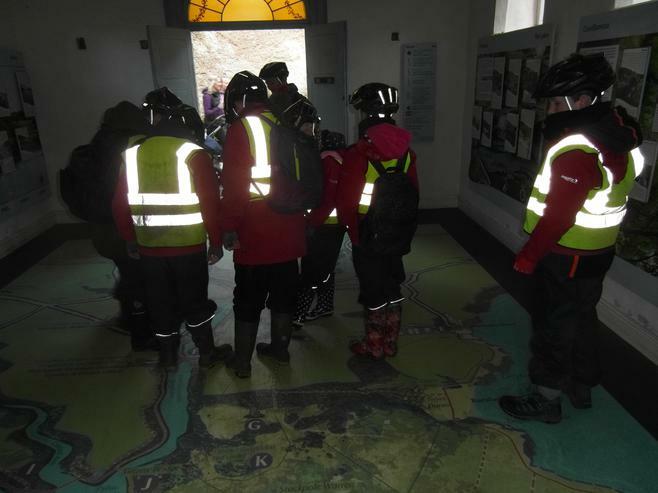 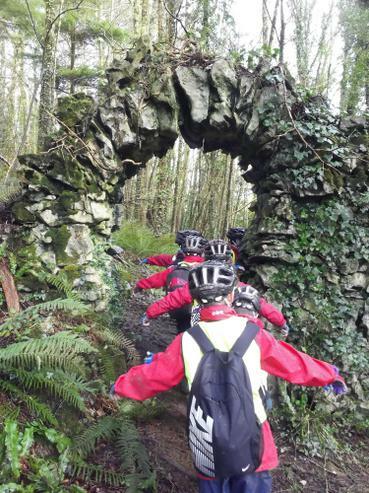 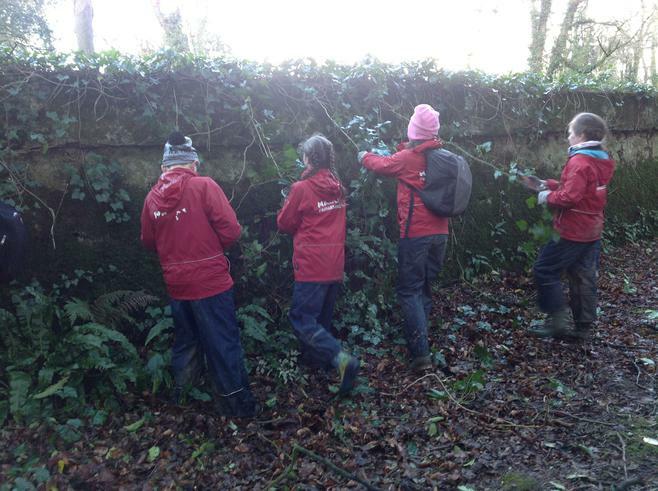 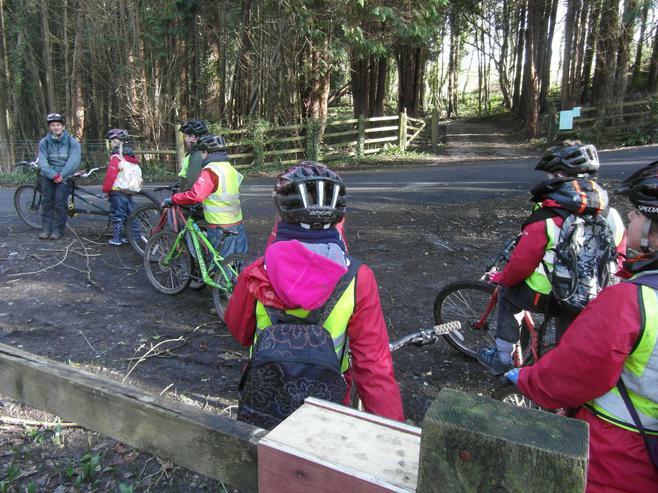 A group were out mountain biking most of the day and also did some conservation work on the Stackpole Estate. 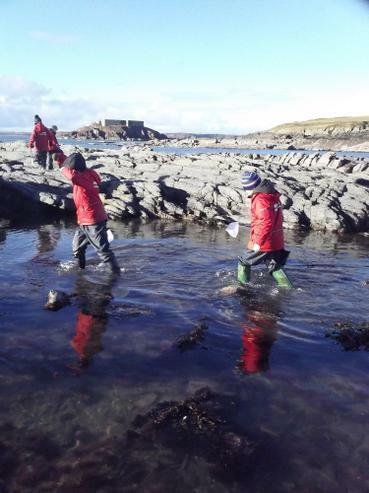 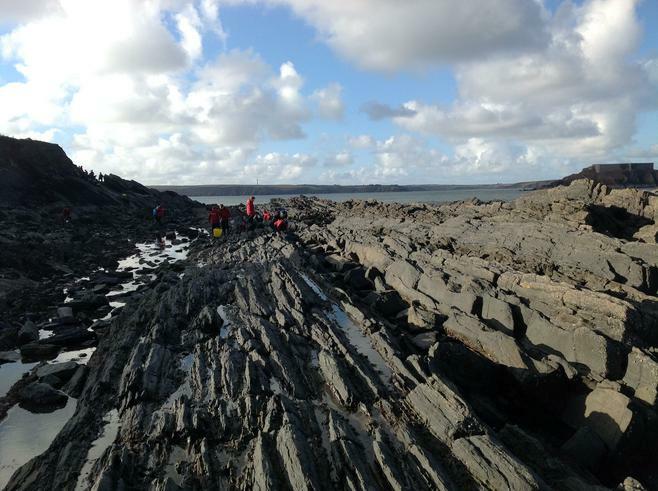 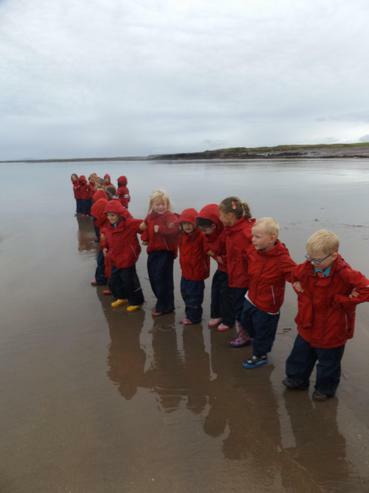 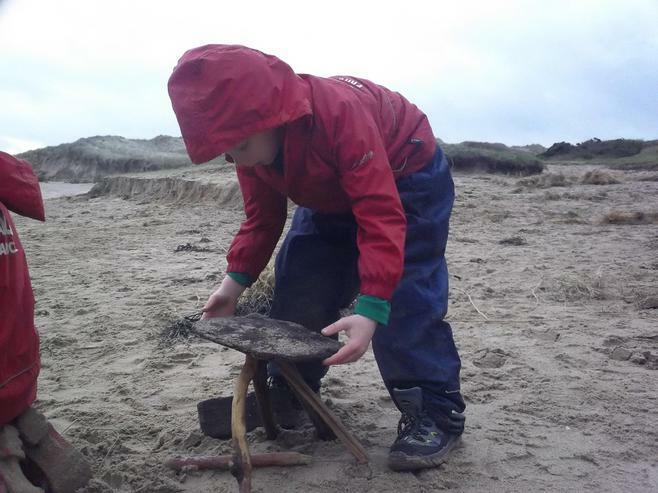 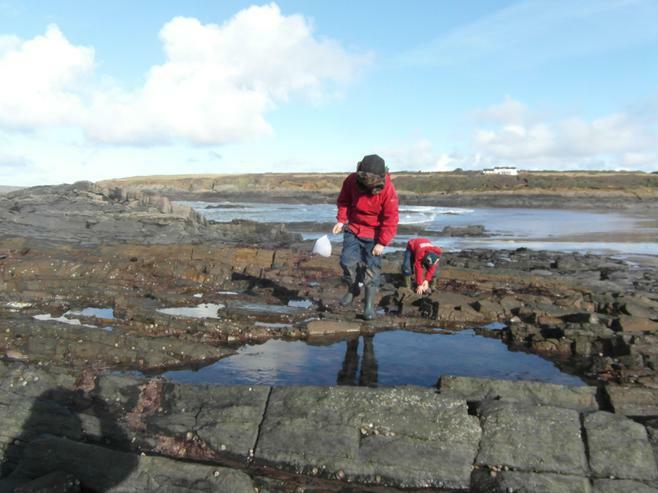 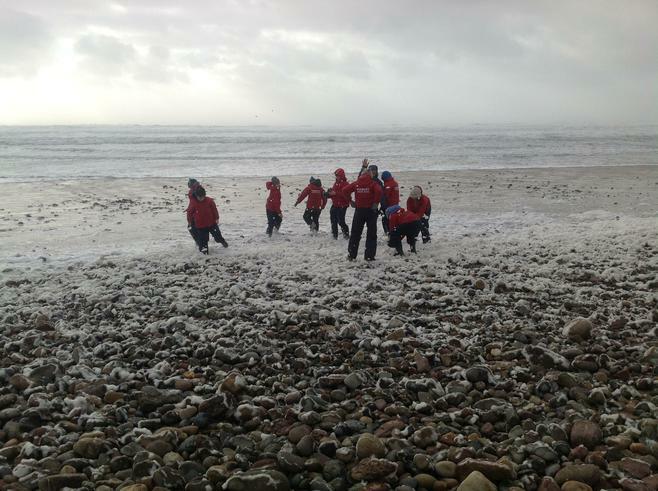 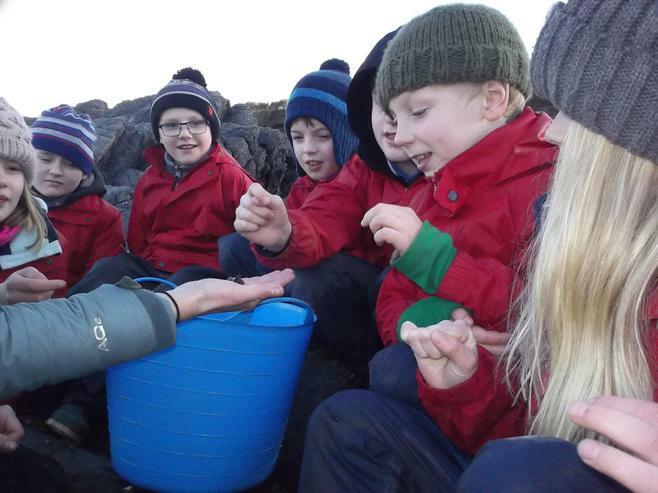 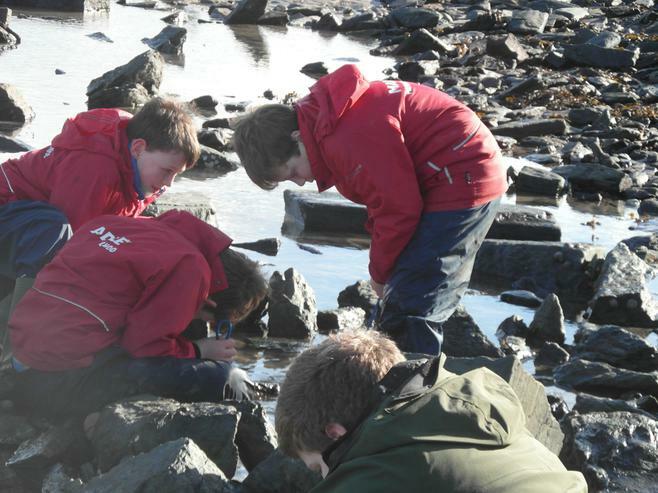 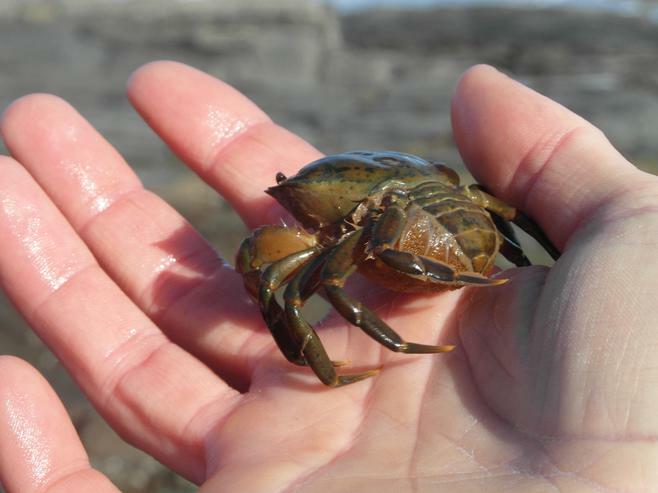 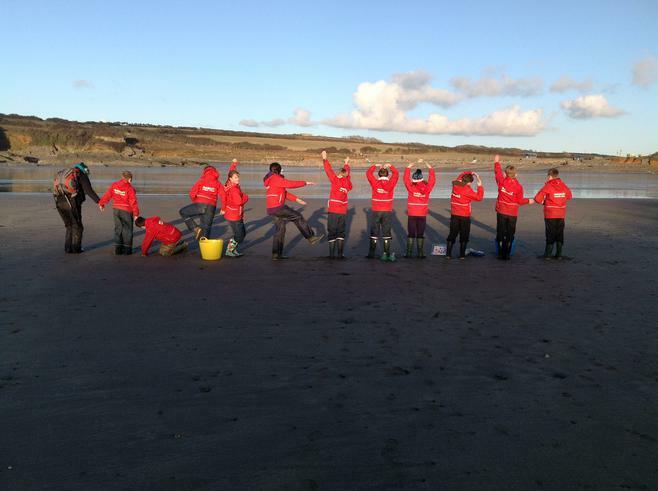 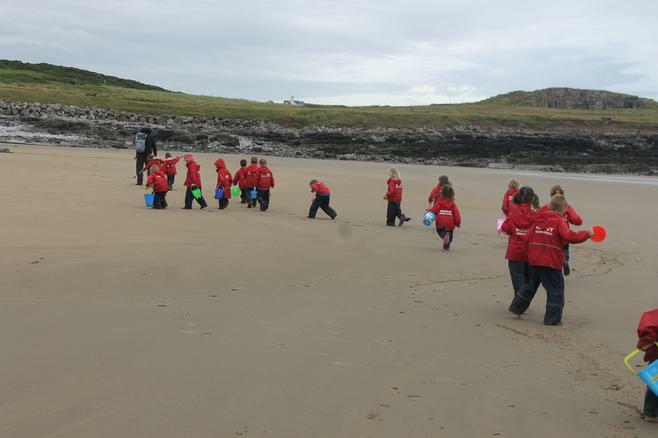 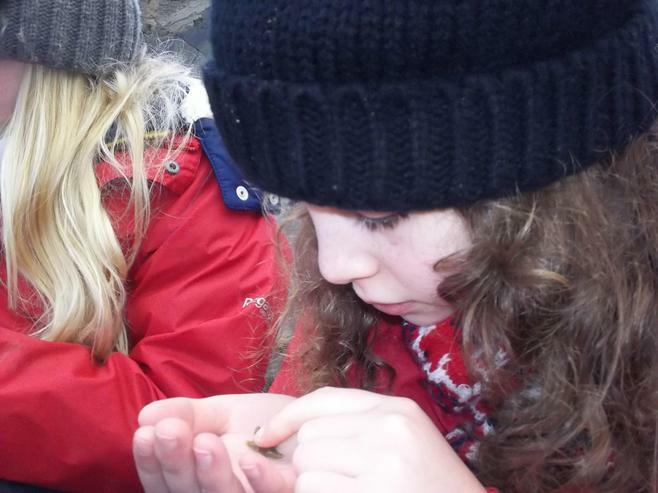 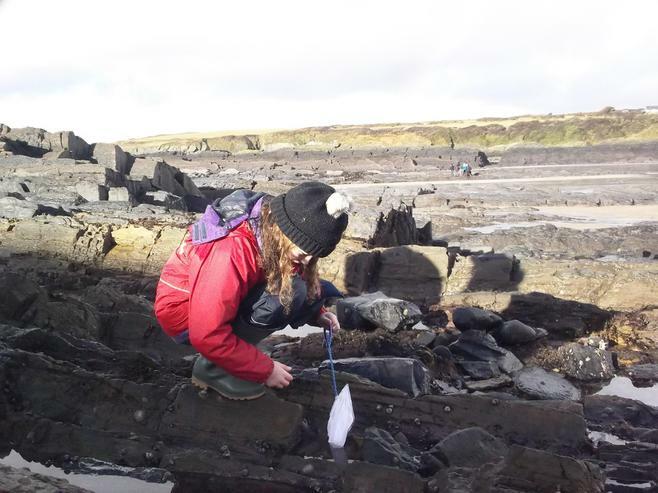 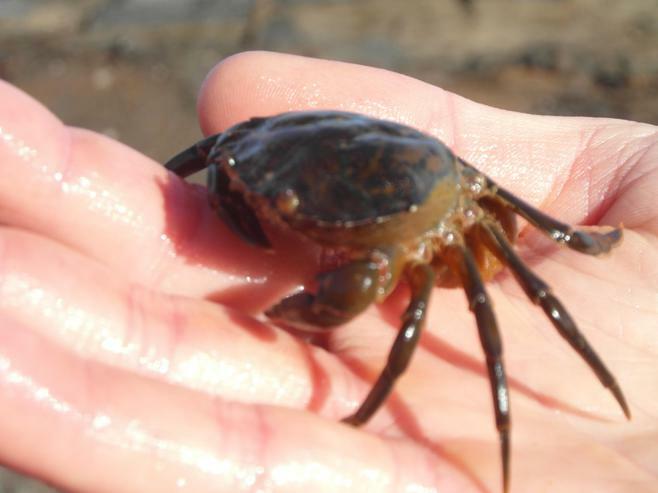 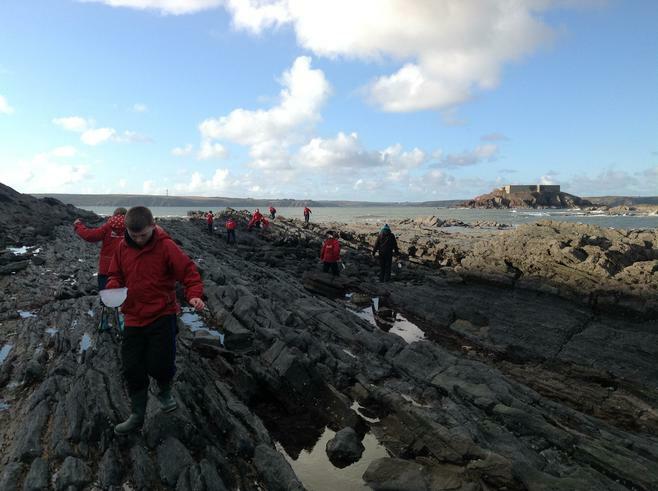 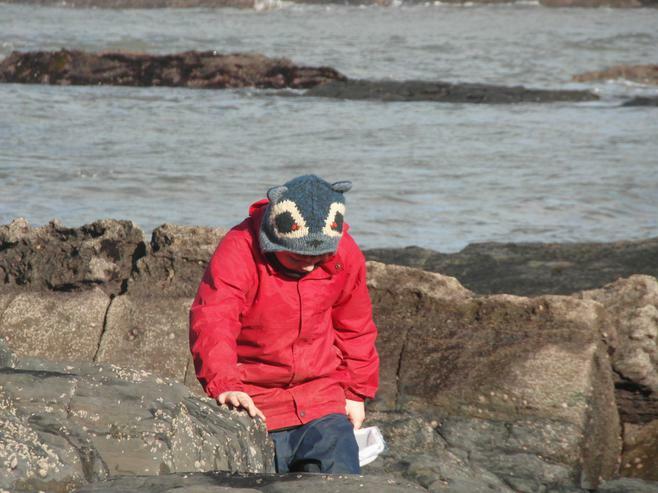 Another group went to Angle to rock pool and found a range of crabs and other creatures. 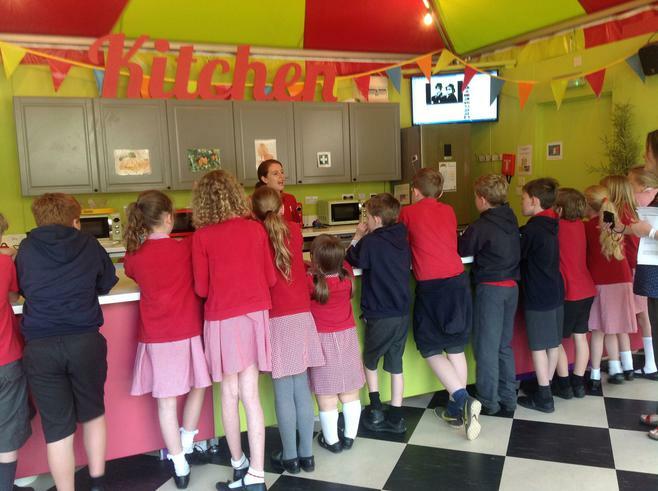 Food waste is 0.25kg a day for all meals (brilliant) and the children are taking real pride in their rooms and the room competition. 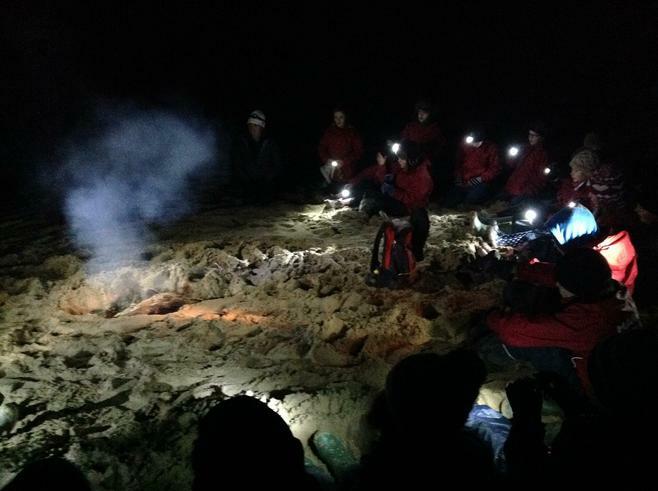 Everyone enjoyed a fire and night walk on the beach and the. 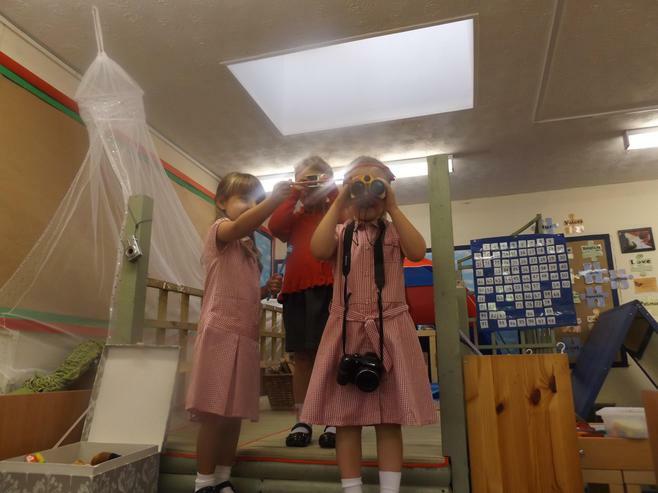 Some star gazing as it was a perfect, clear, still night. 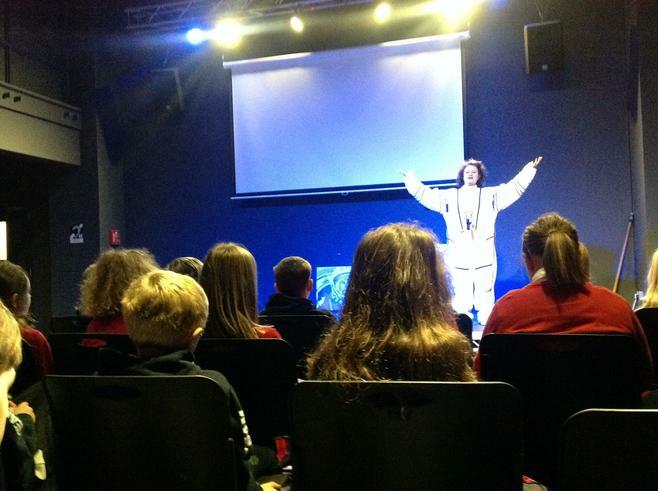 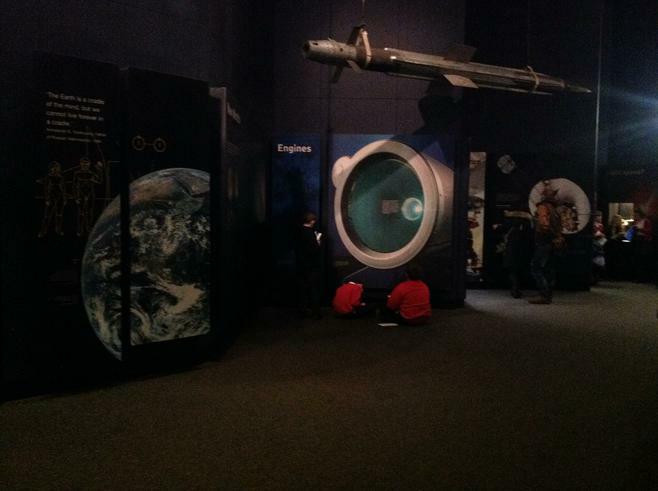 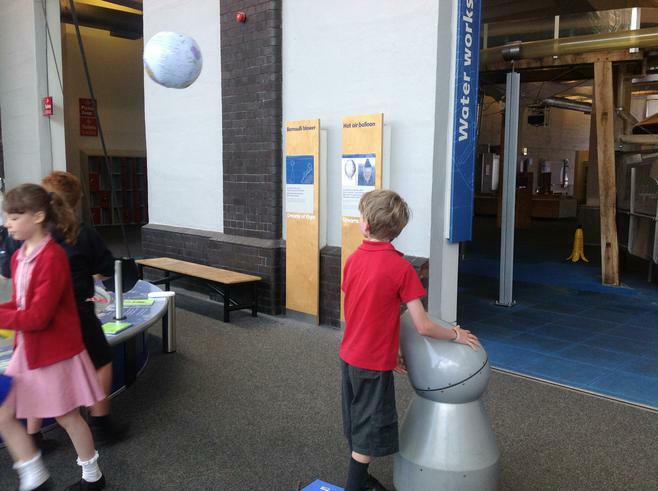 Our Madley astronaut on his first mission. 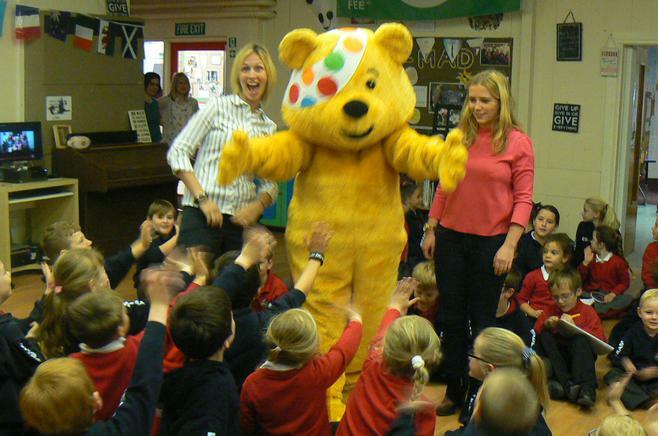 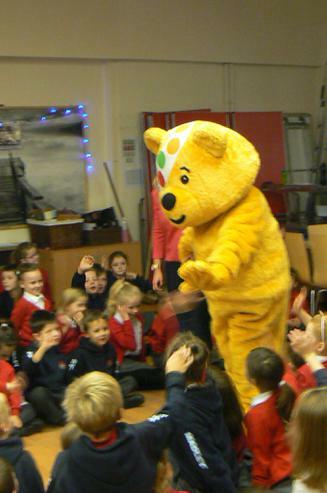 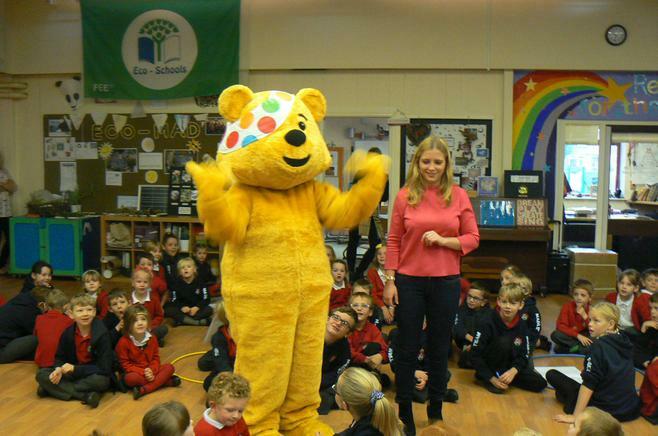 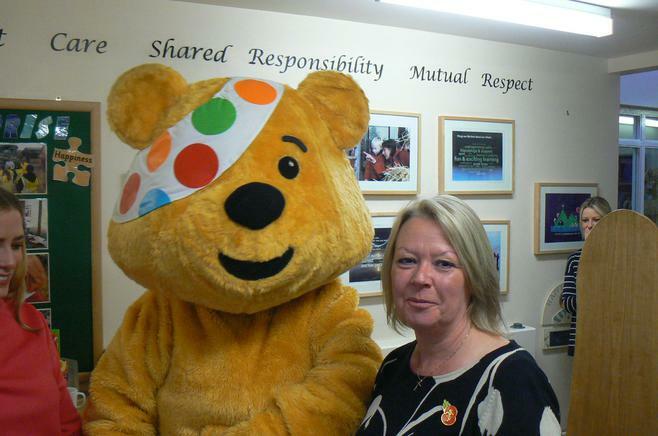 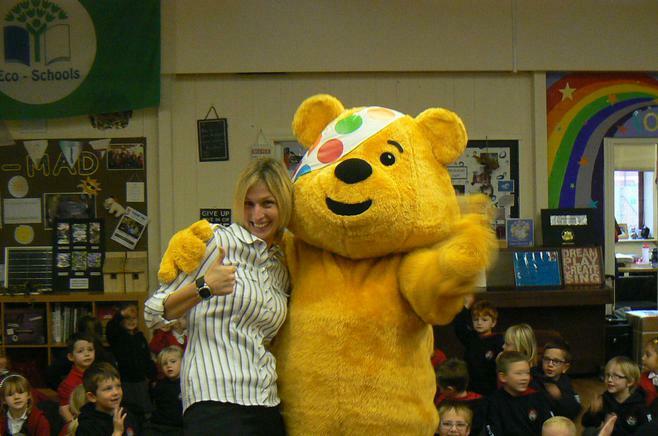 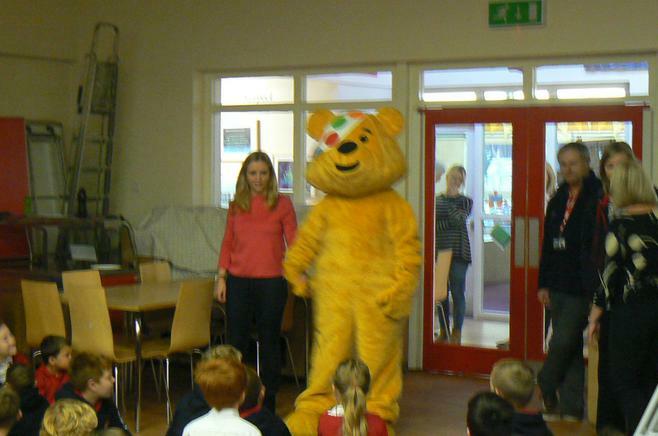 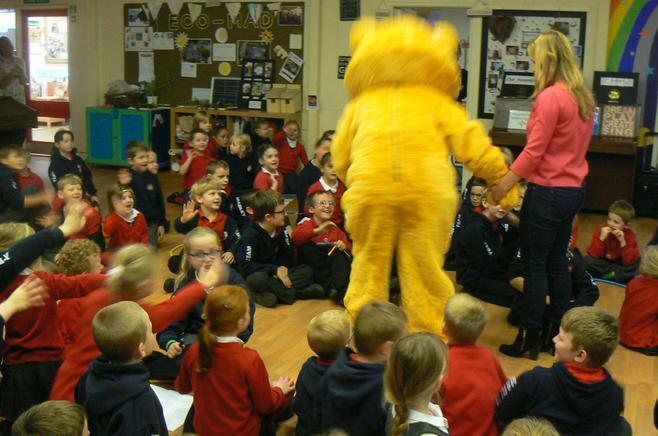 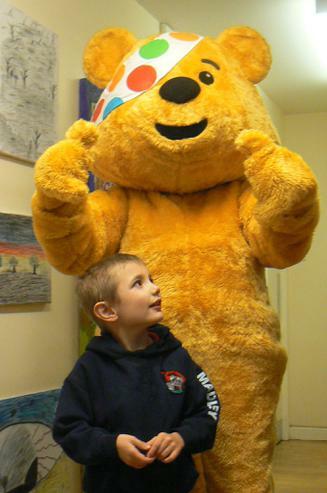 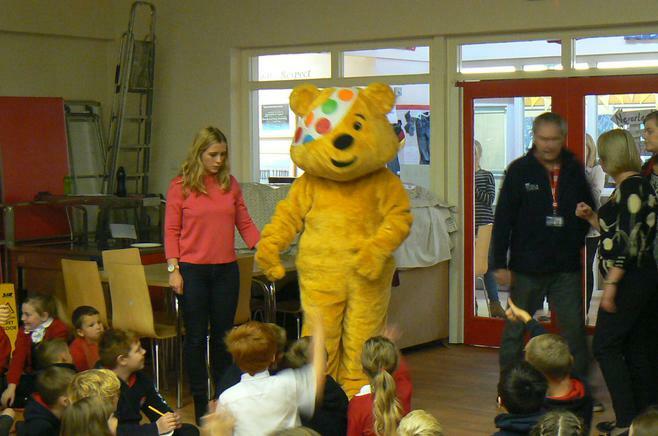 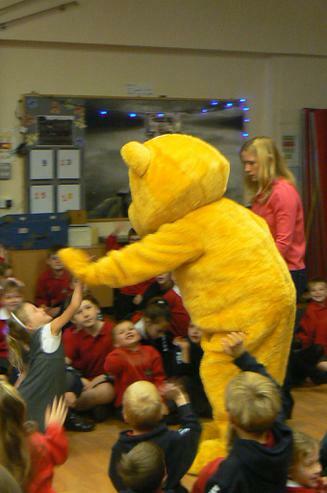 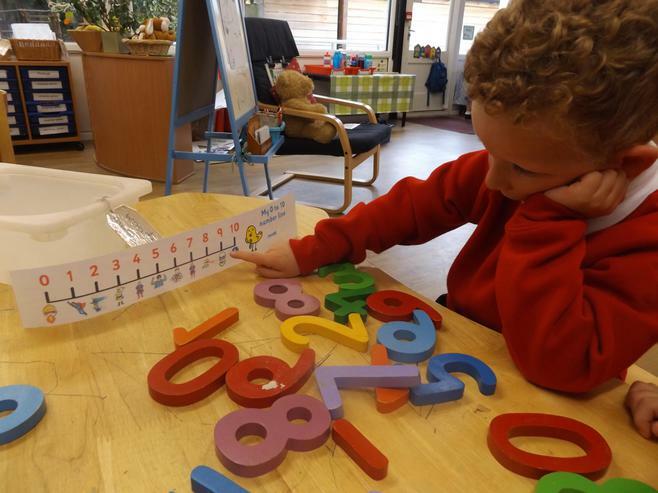 Pudsey Bear visits Madley Primary Shool!